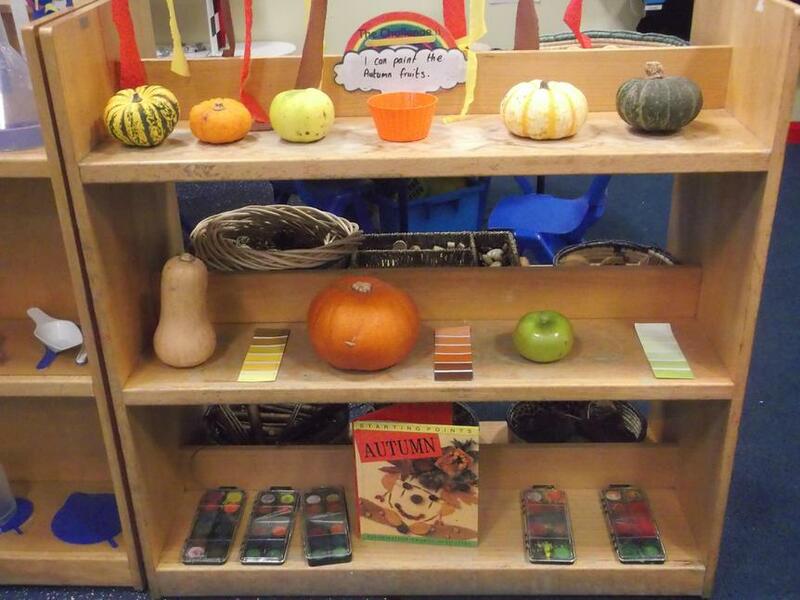 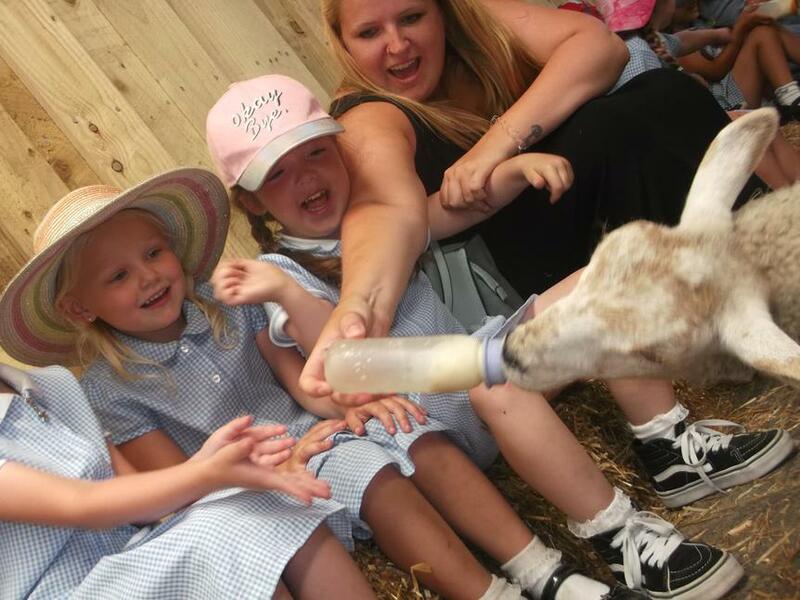 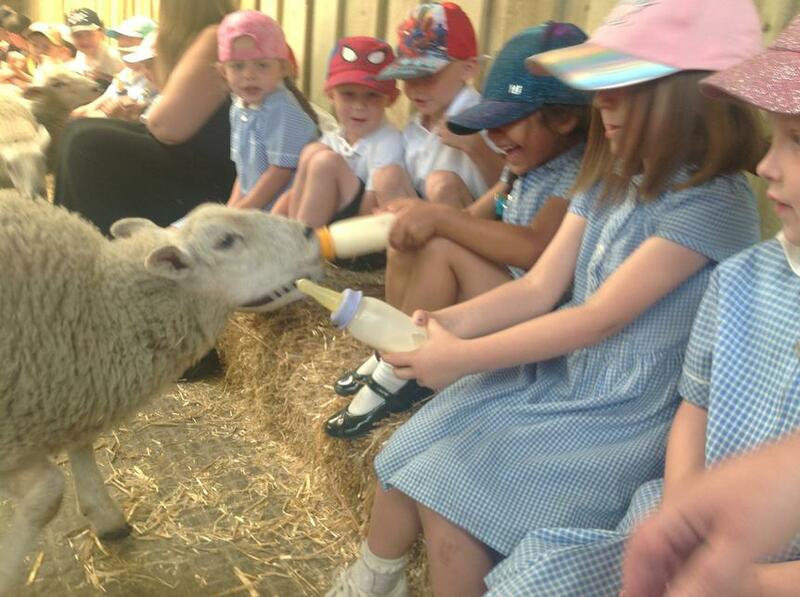 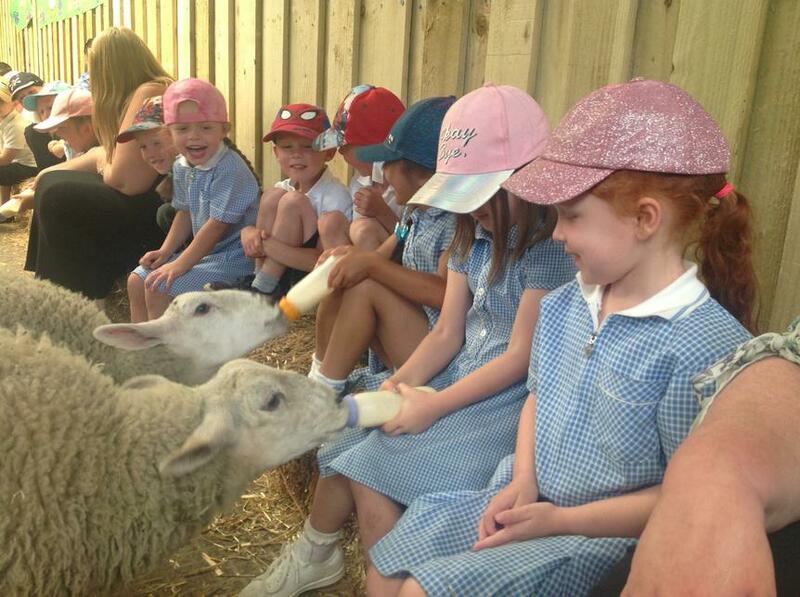 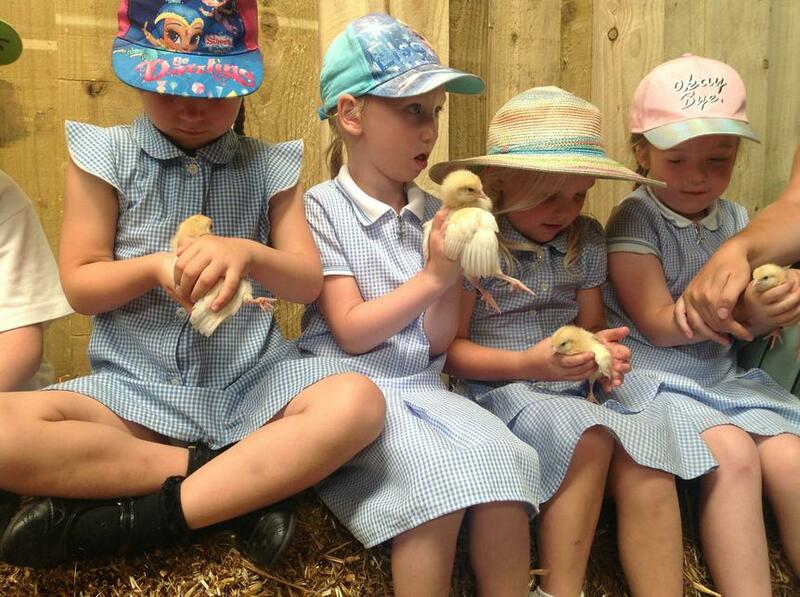 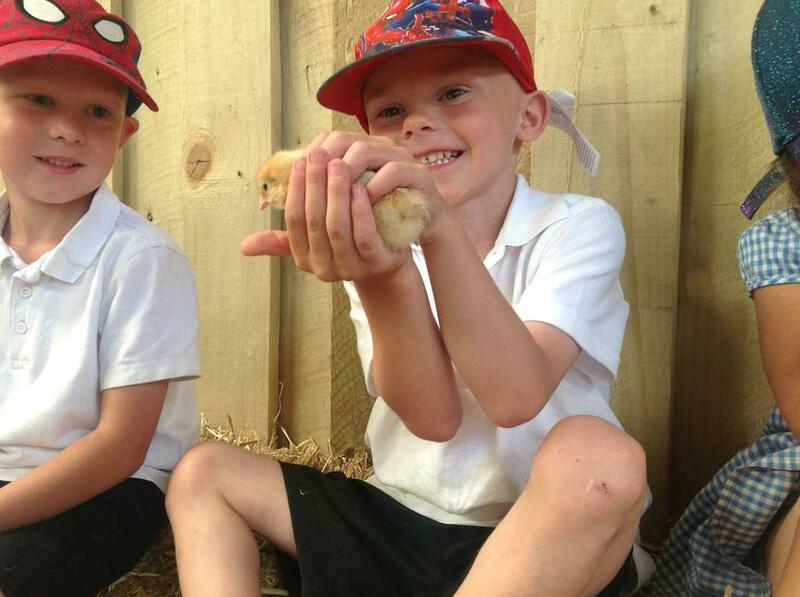 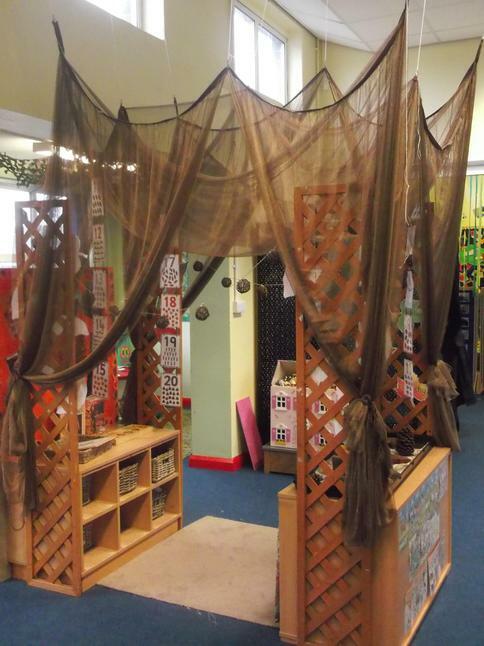 WELCOME TO THE EYFS CLASS PAGE! 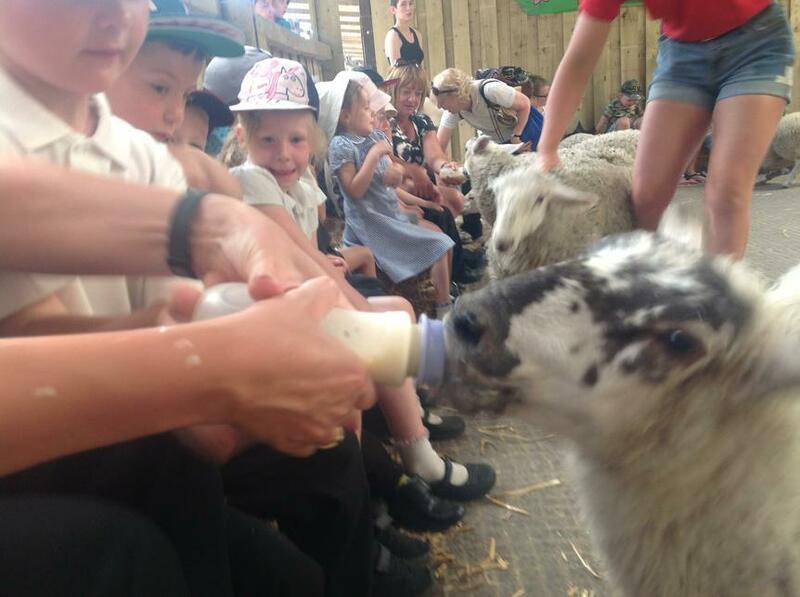 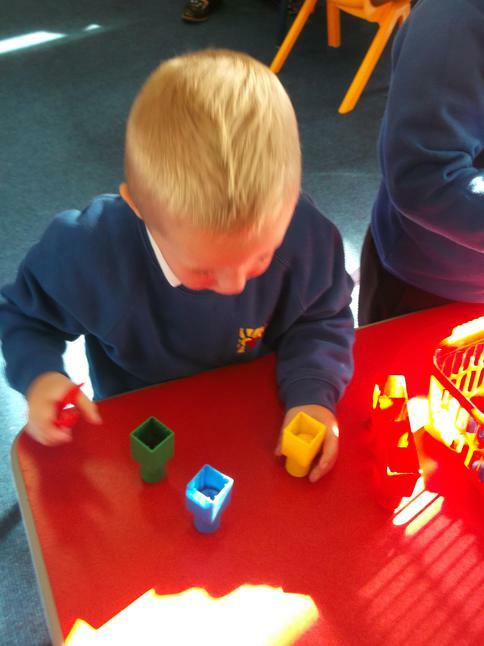 This year we have 32 children in our EYFS class. 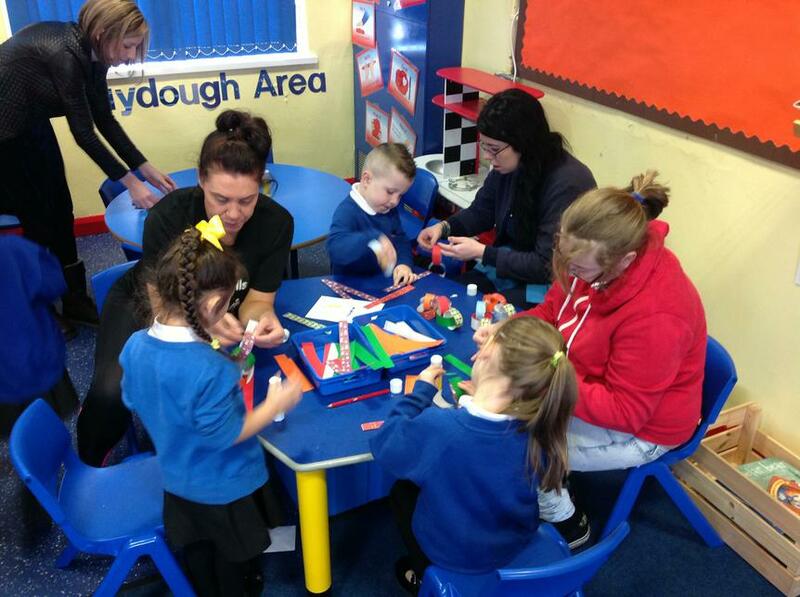 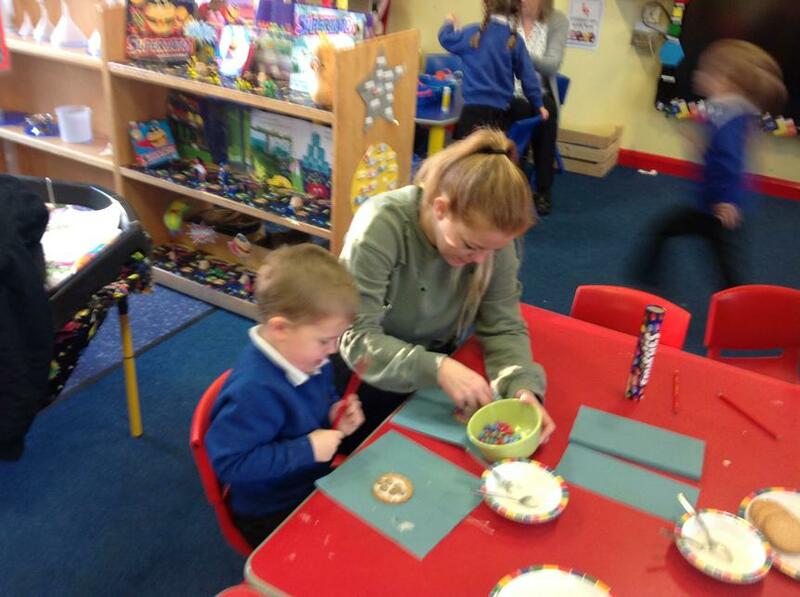 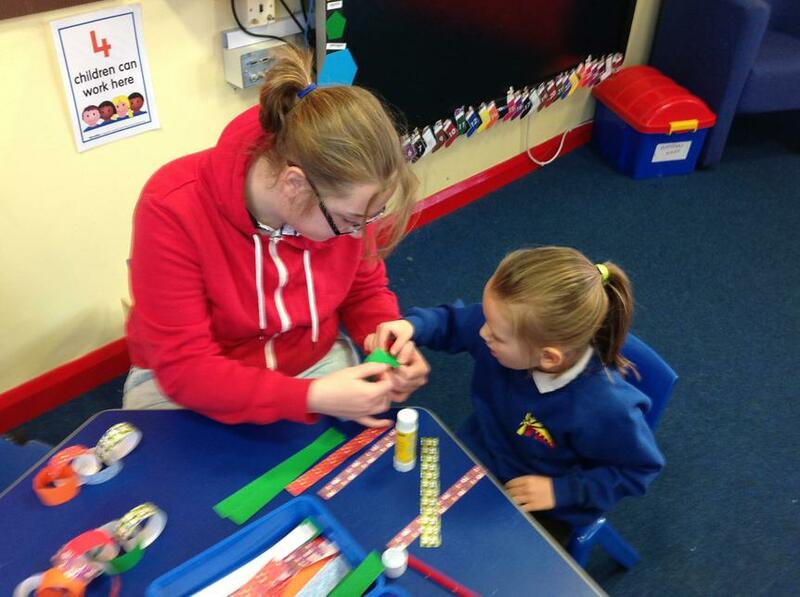 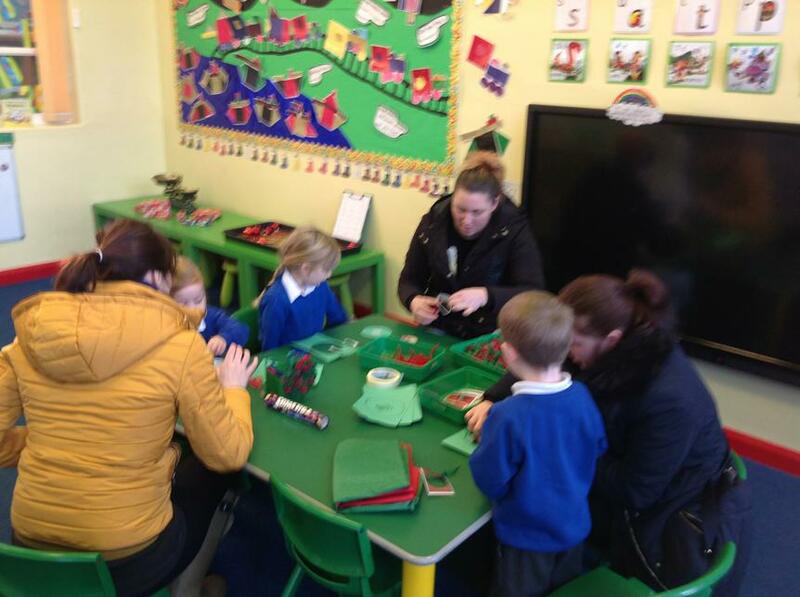 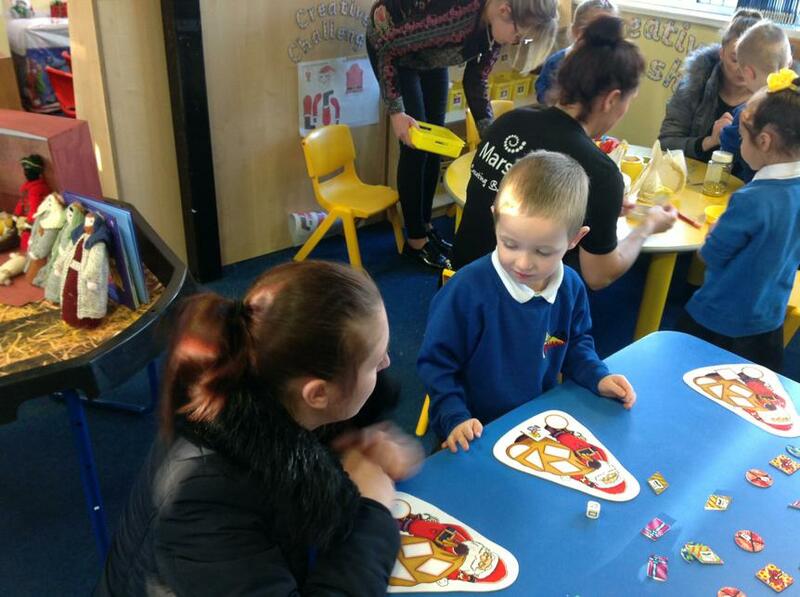 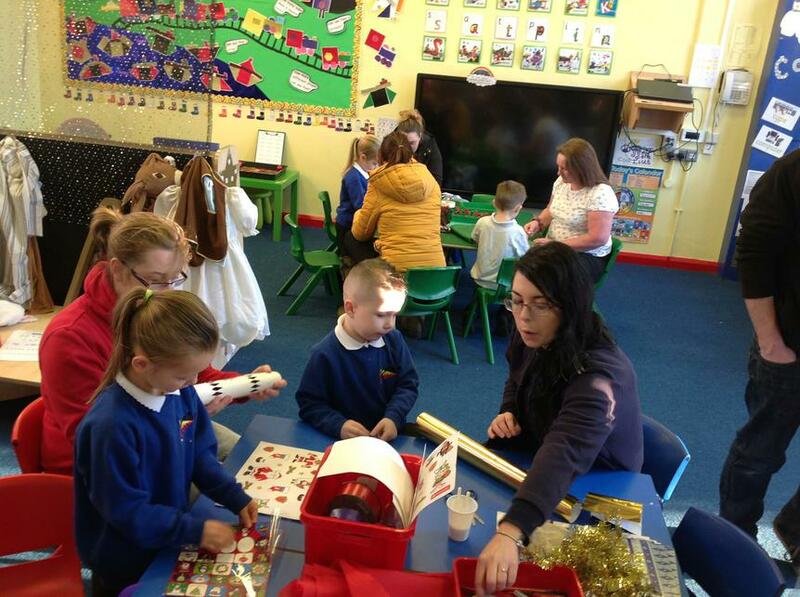 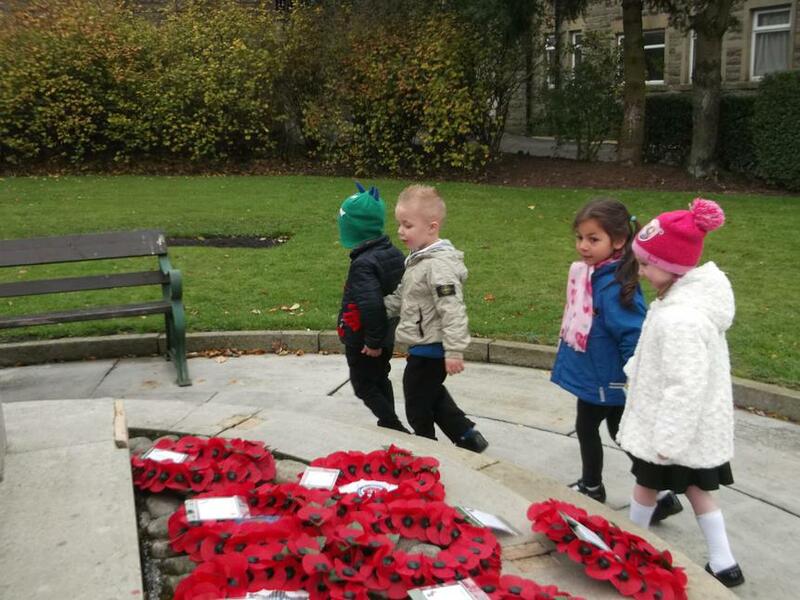 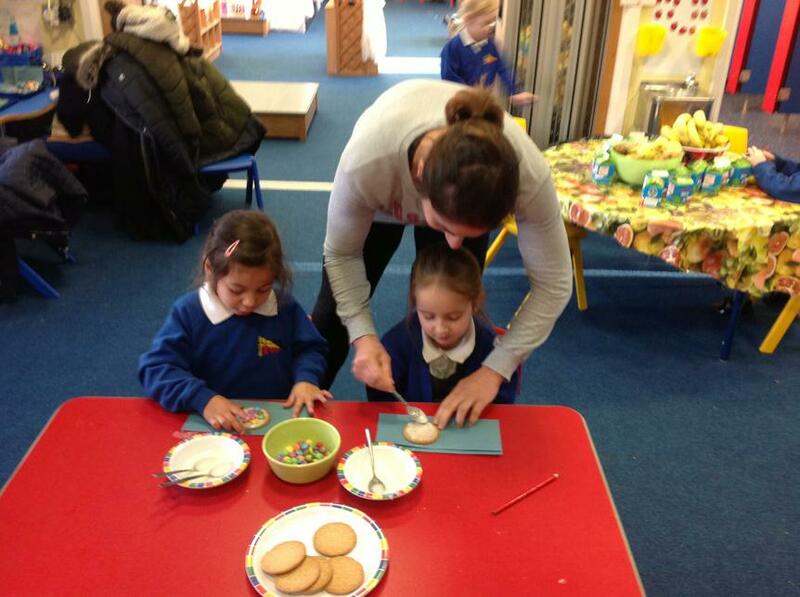 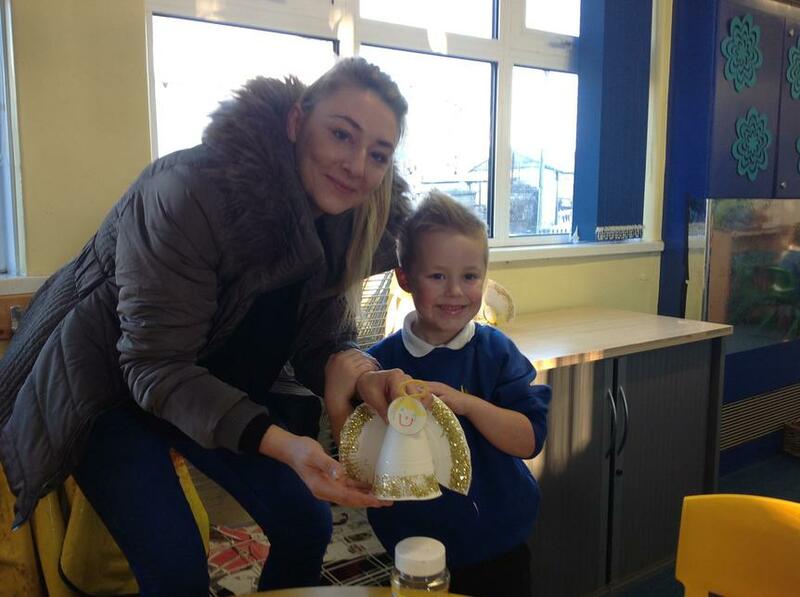 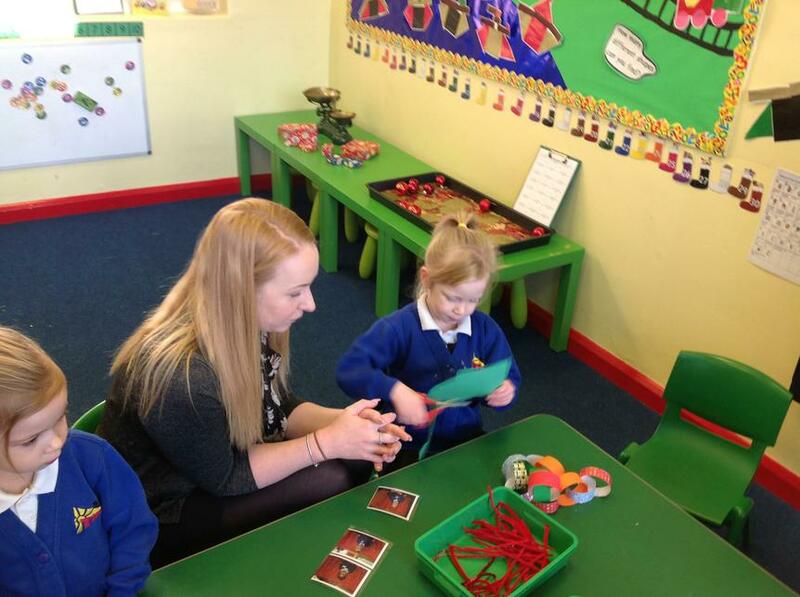 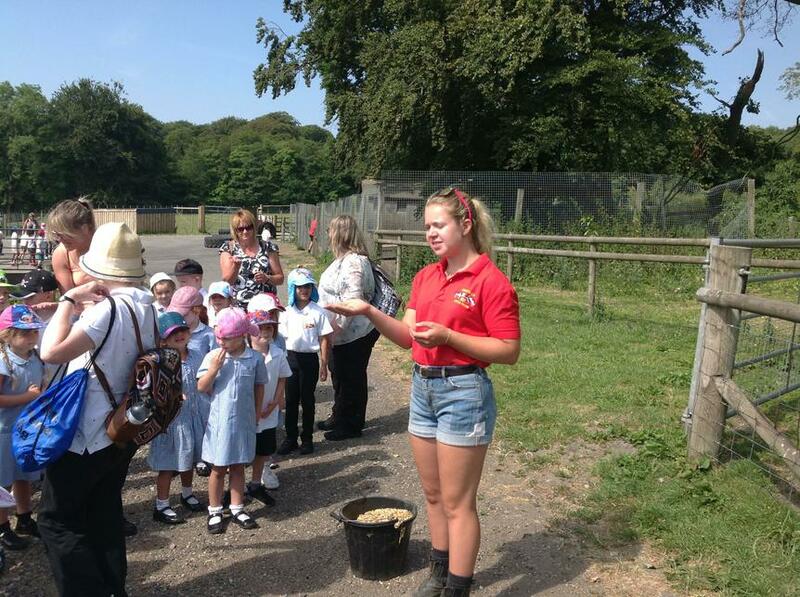 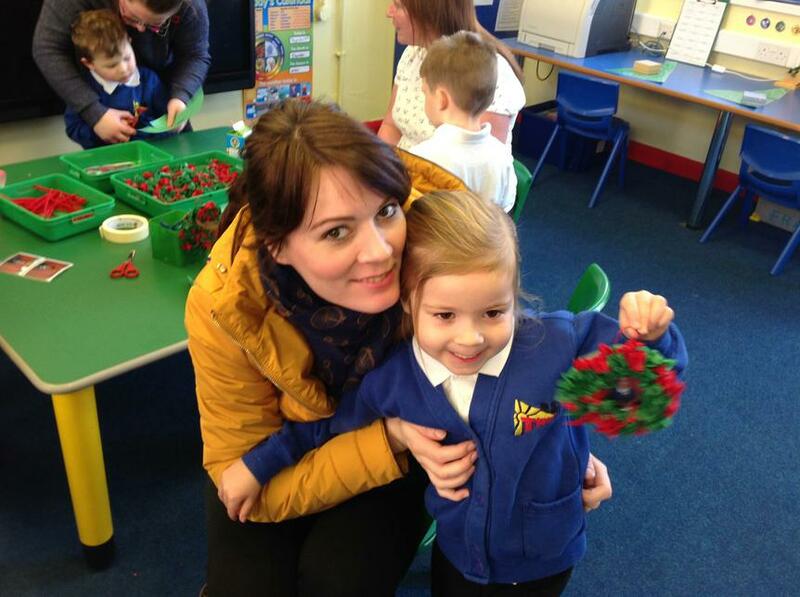 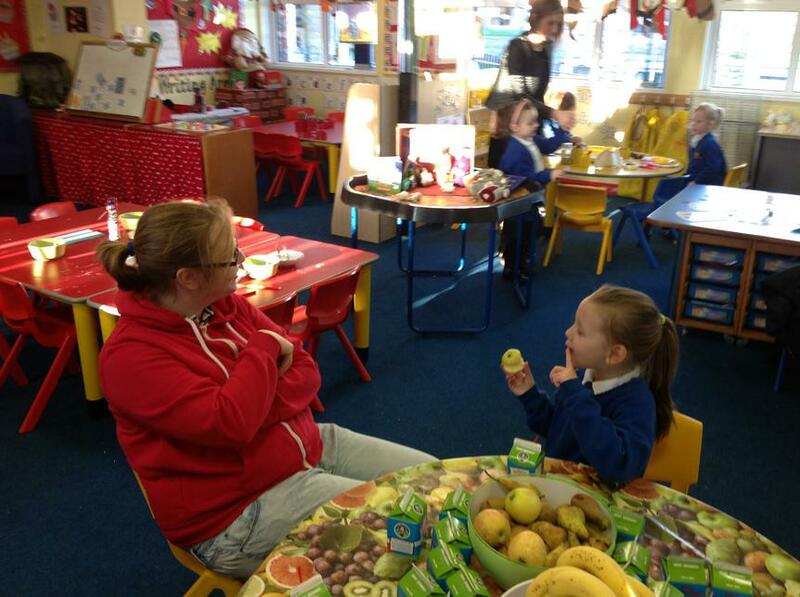 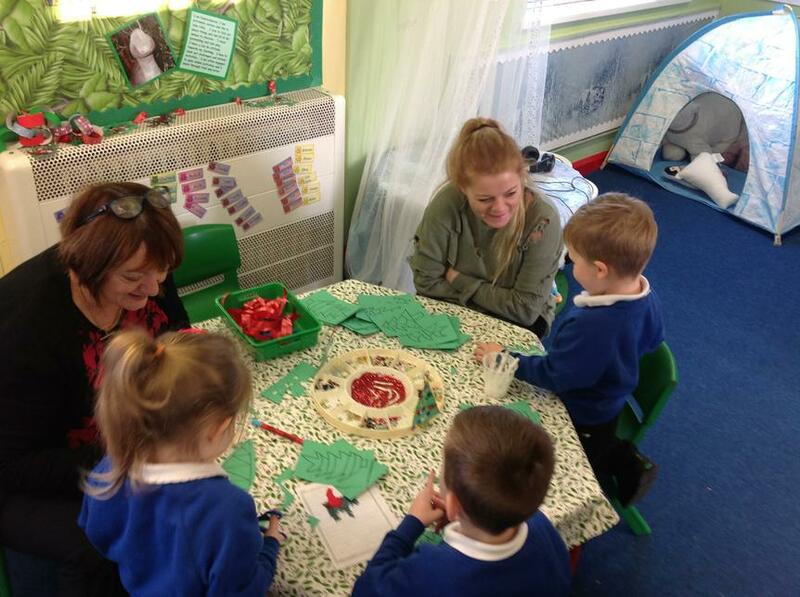 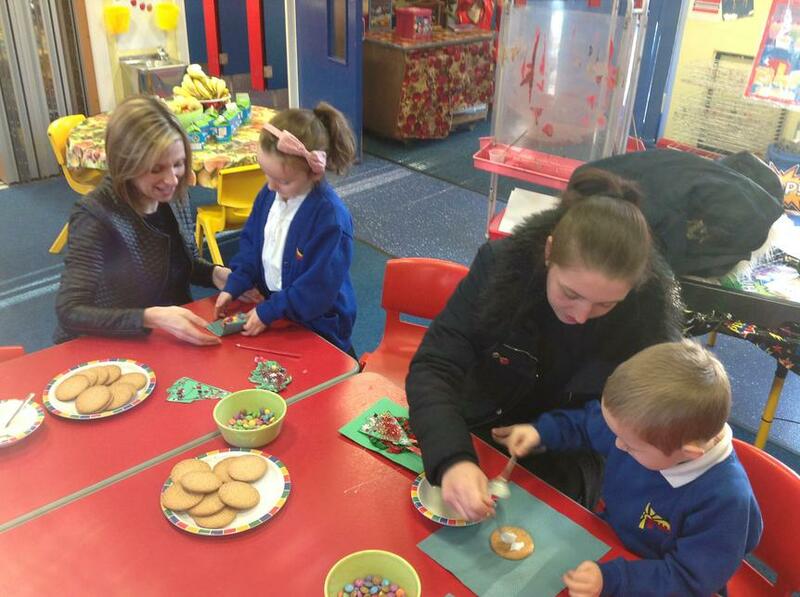 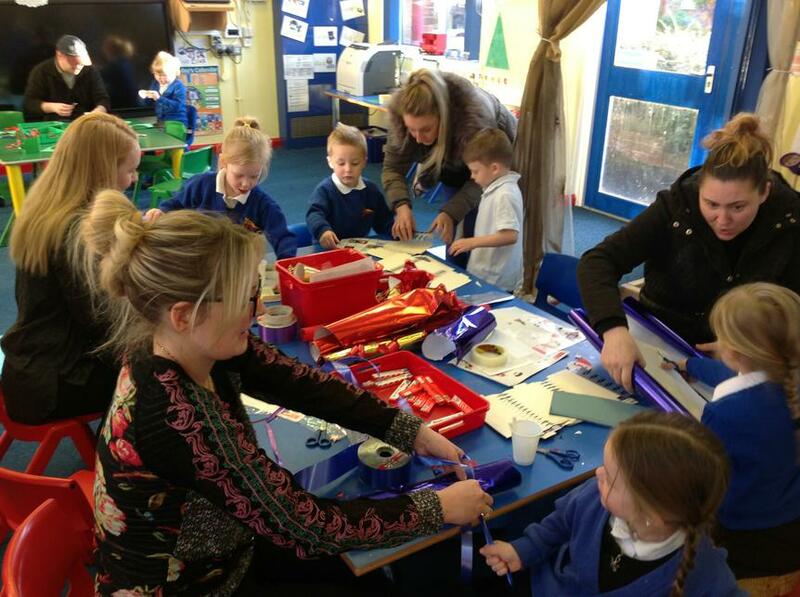 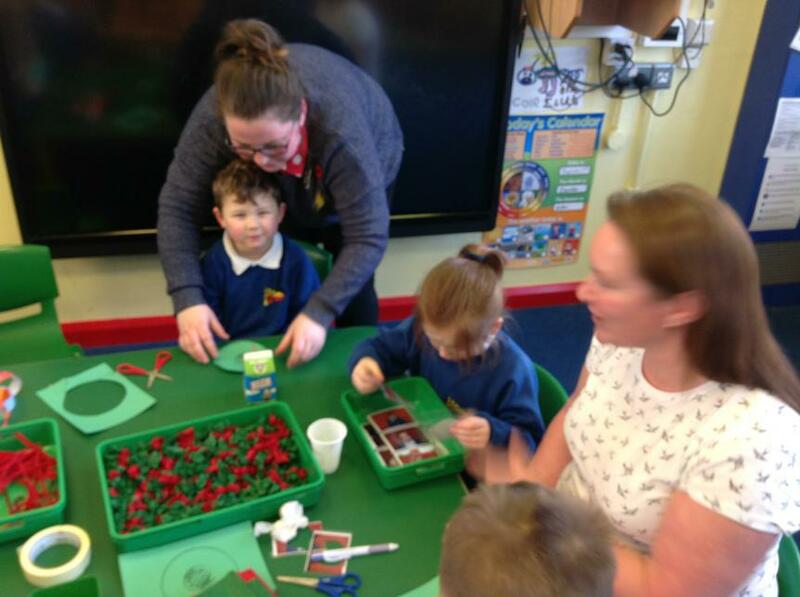 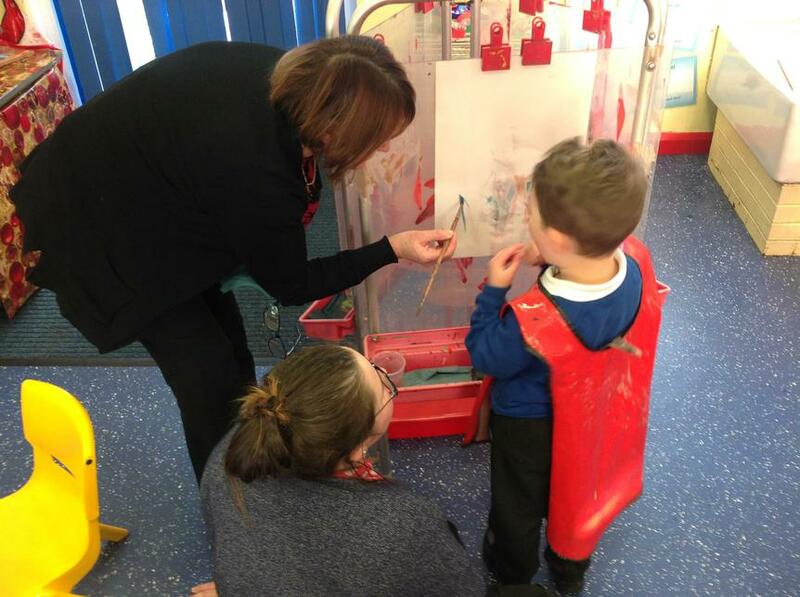 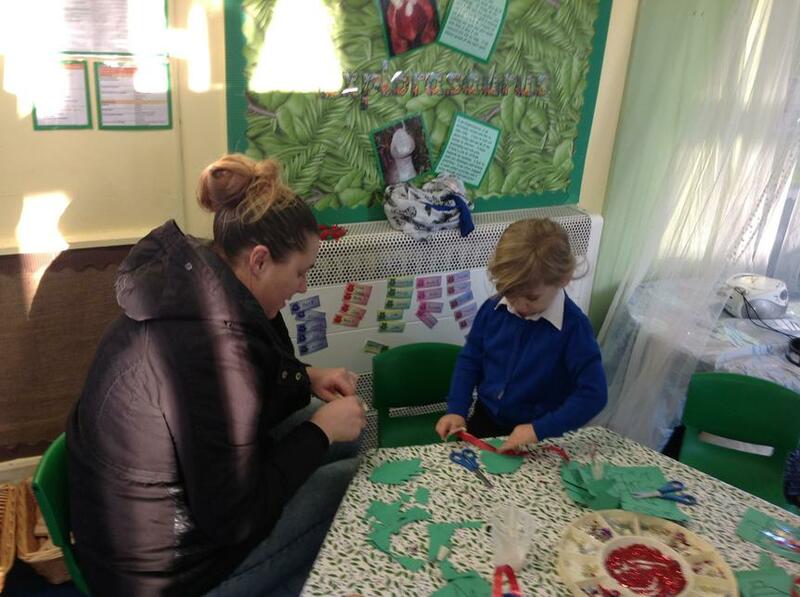 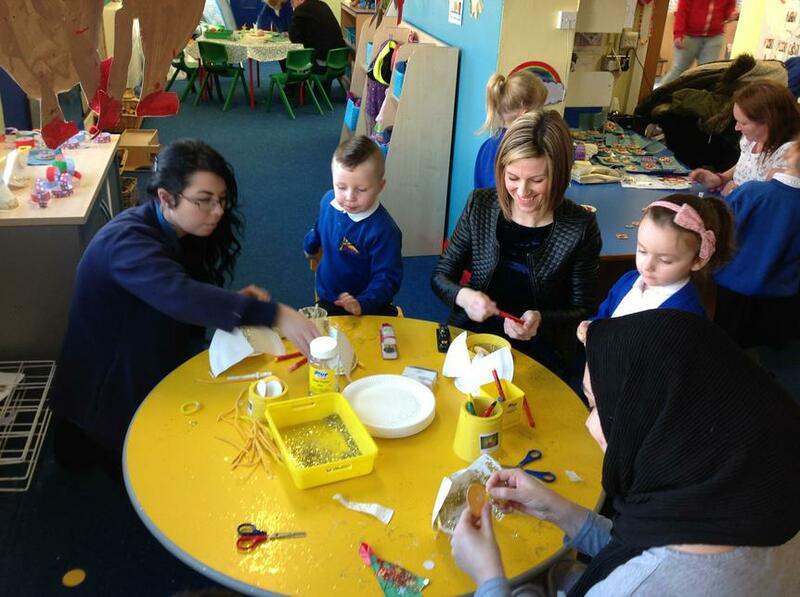 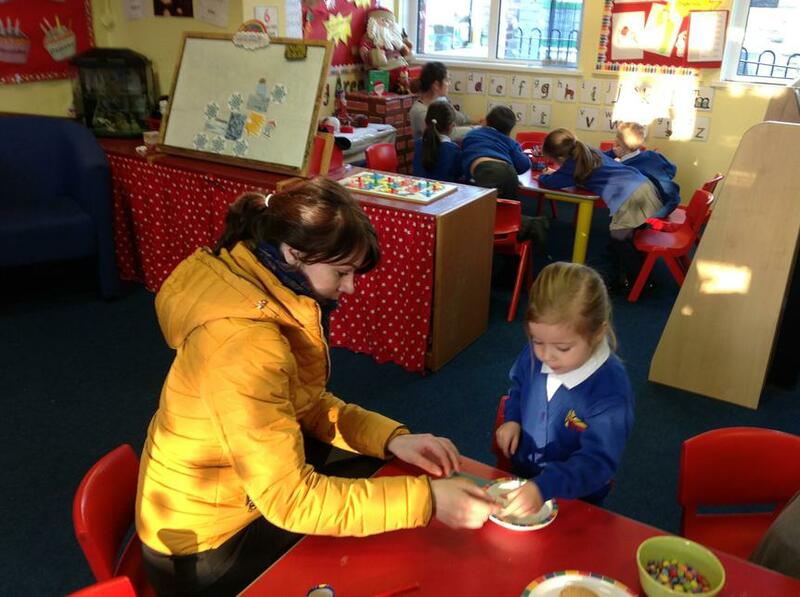 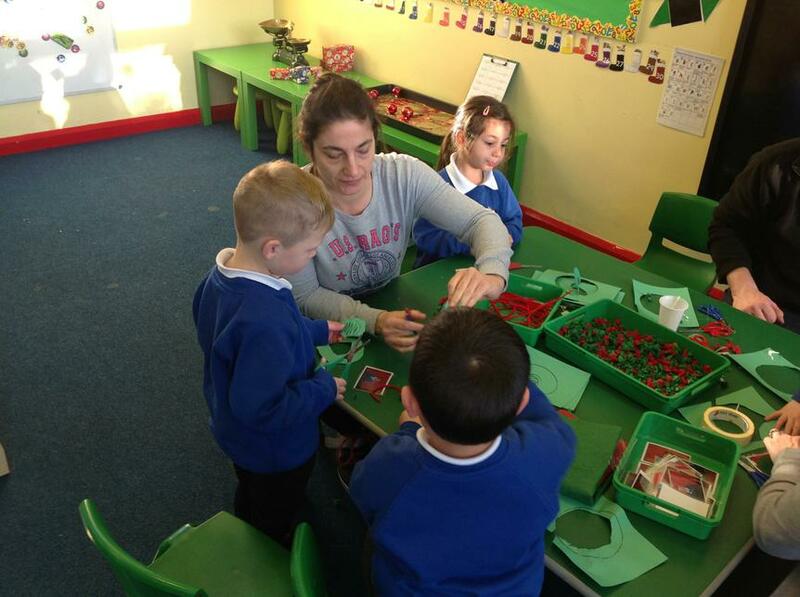 We have two teachers; Miss Healey and Mrs Taylor who is the Early Years Leader. 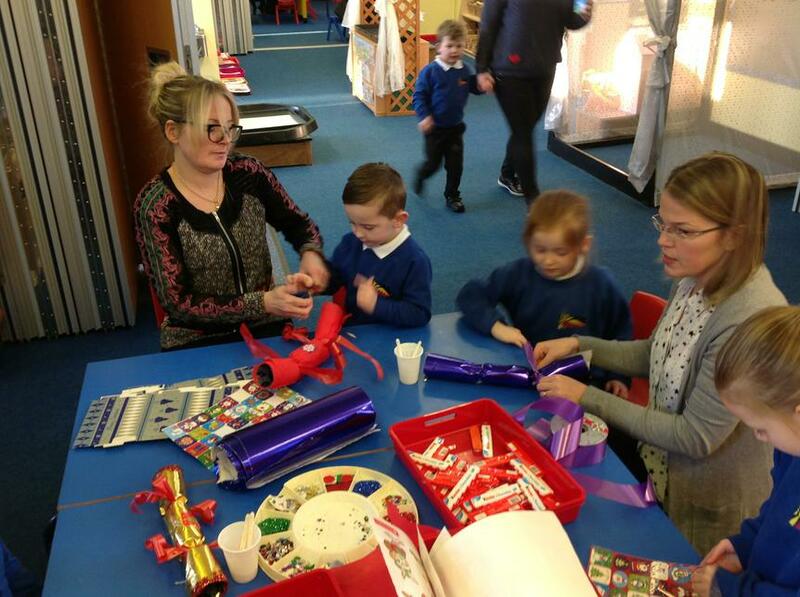 Mrs Stocks, Miss Edwards, Mrs Holden and Mrs Field are our wonderful Teaching Assistants. 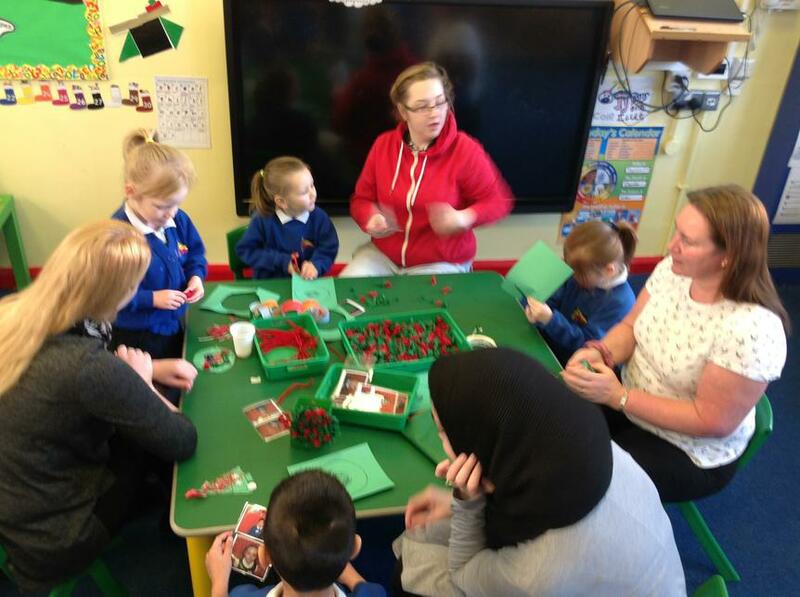 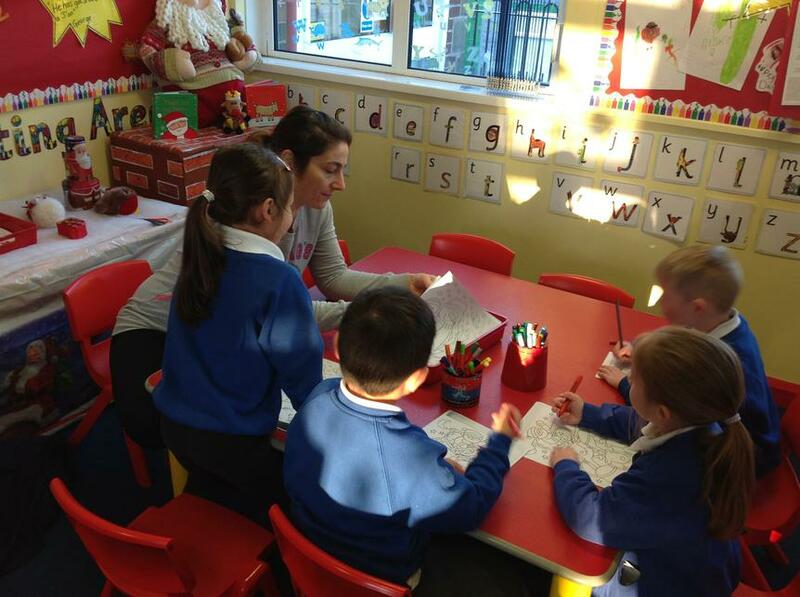 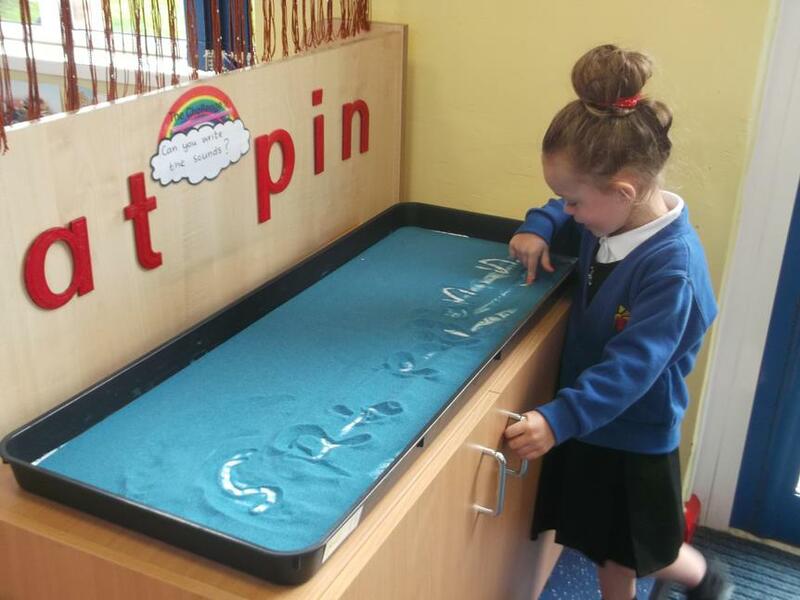 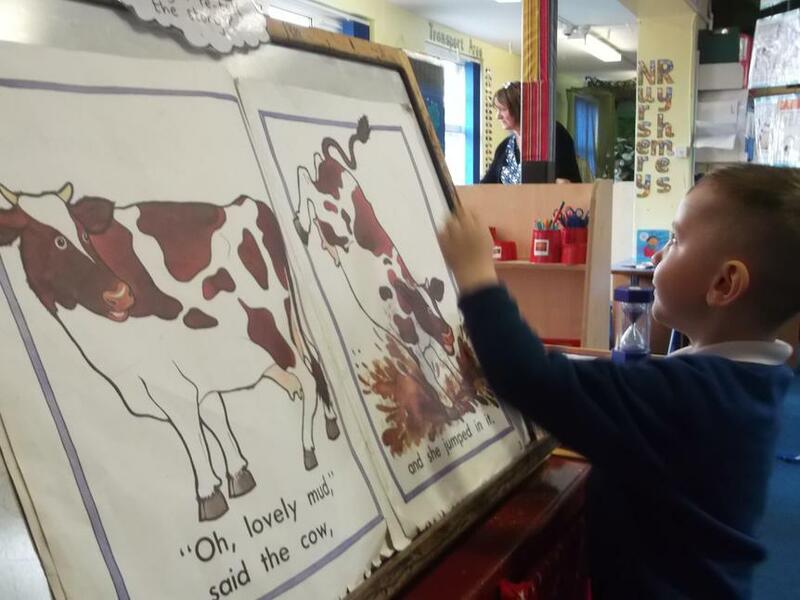 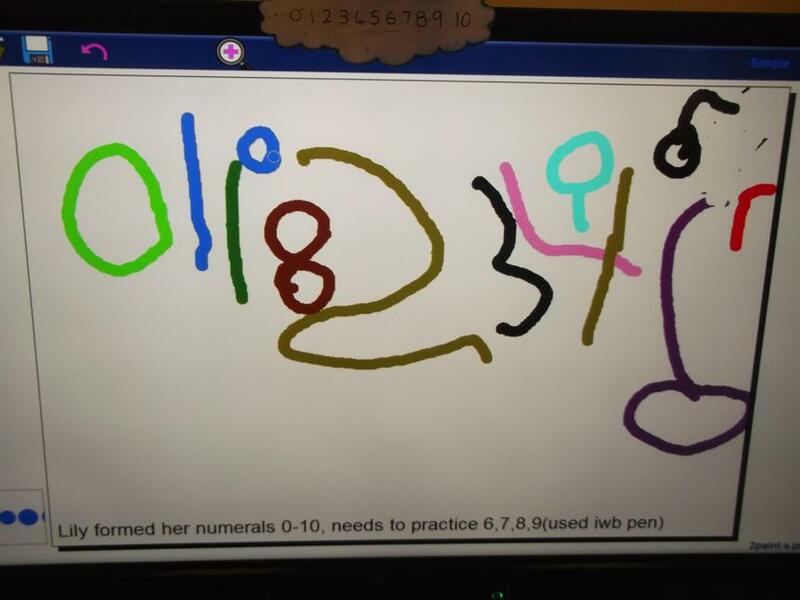 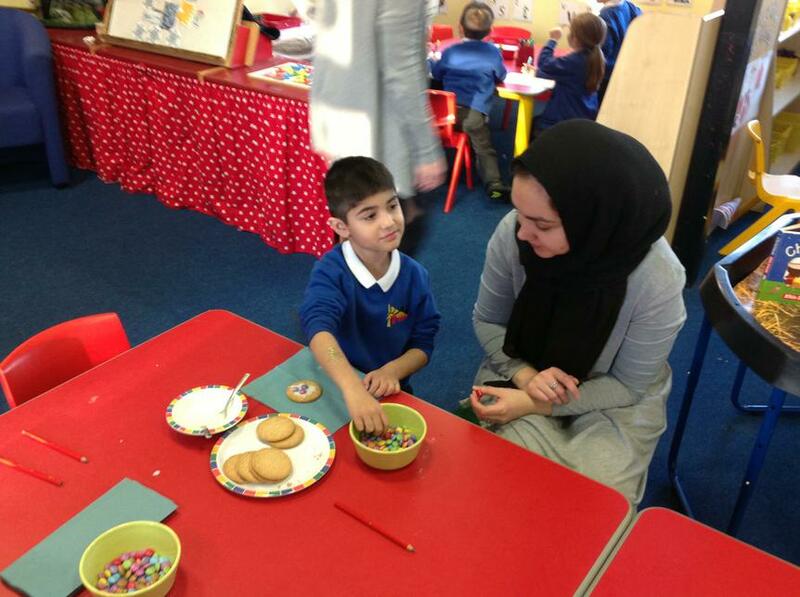 The children are split into two classes of sixteen and are taught in small groups for phonics, guided reading, writing and mathematics thoughout specific times in the day. 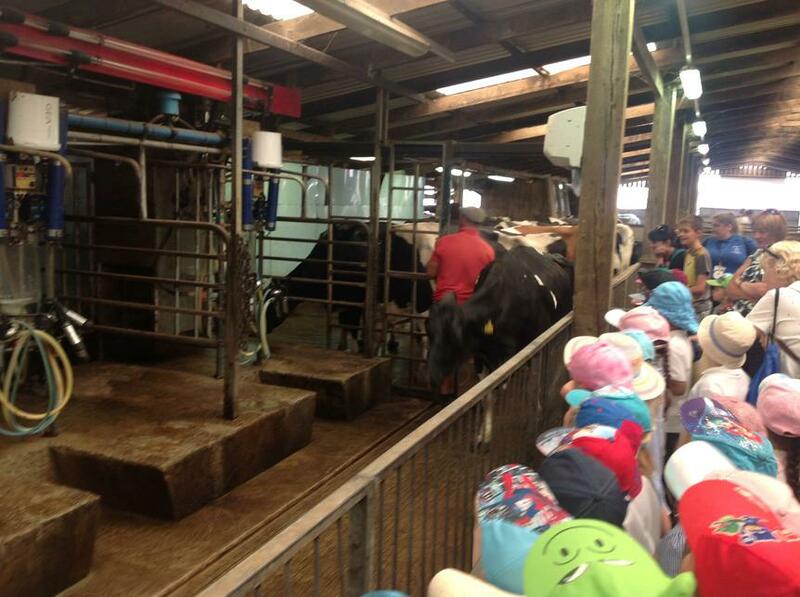 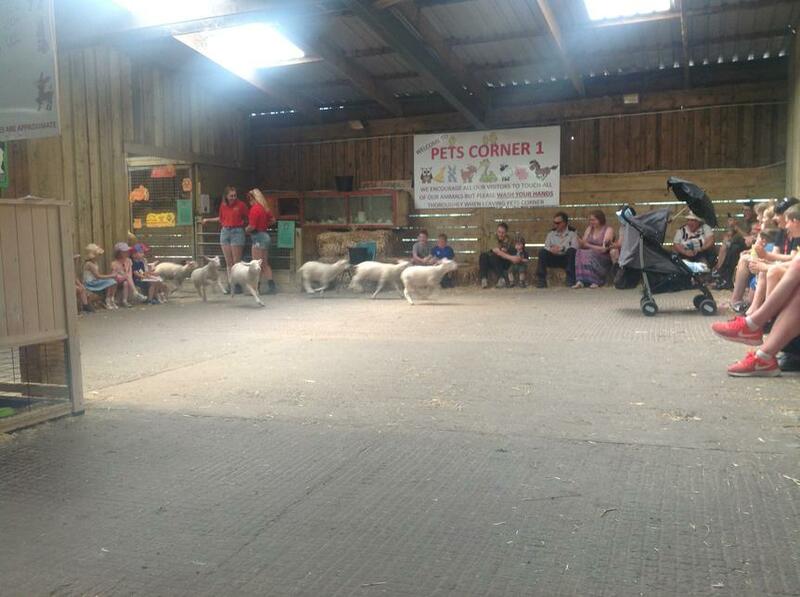 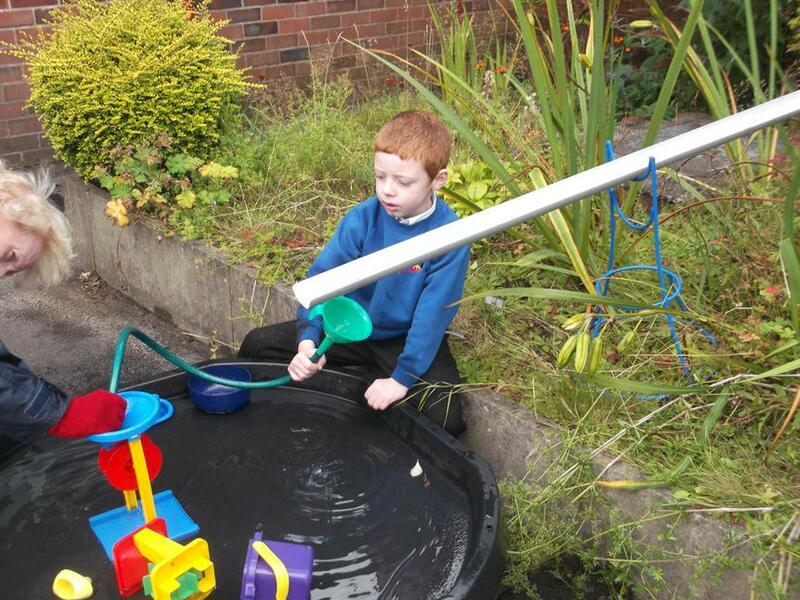 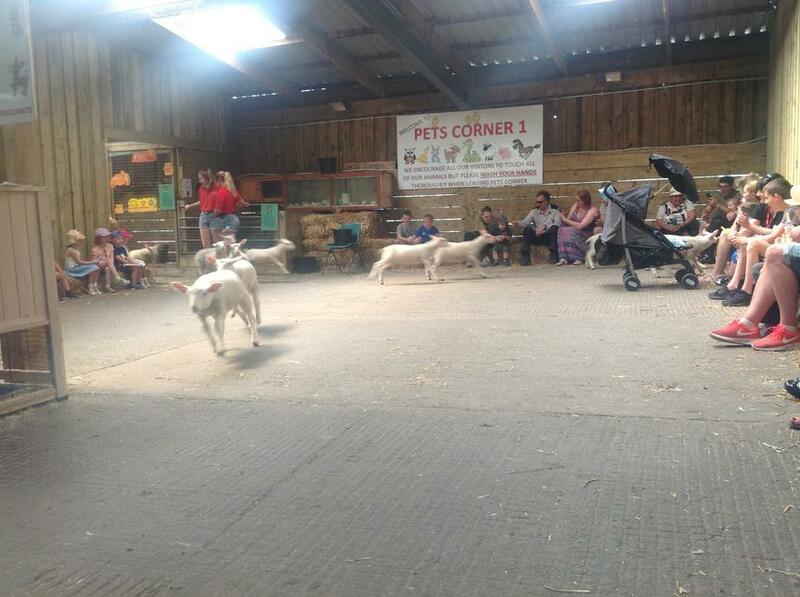 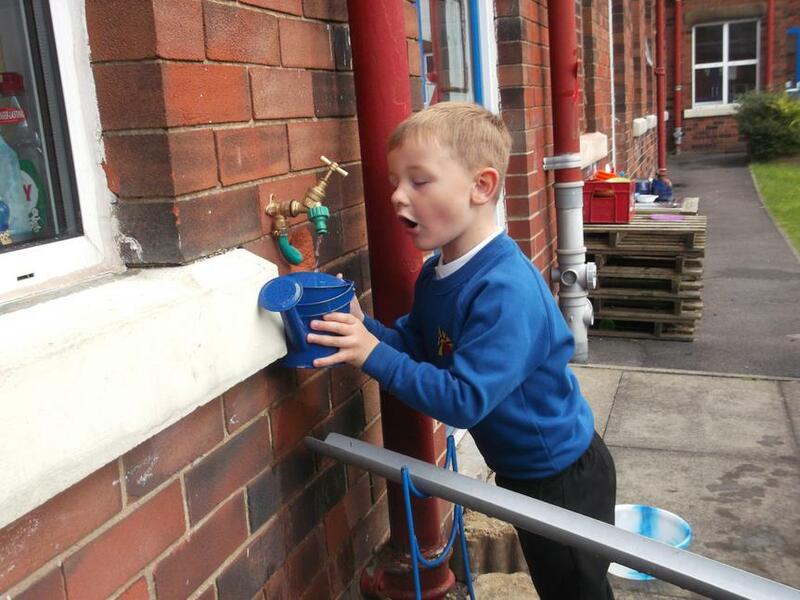 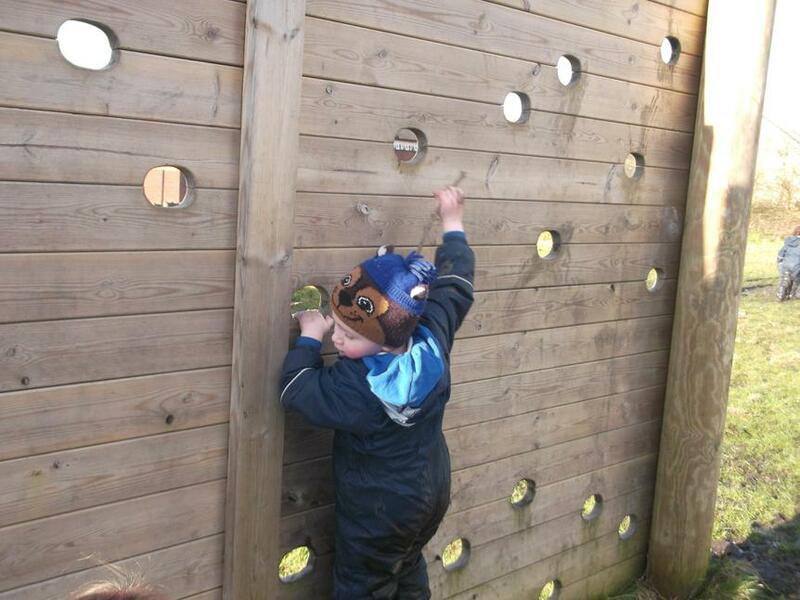 The rest of the time the children have access to continuous proision both indoors and out. 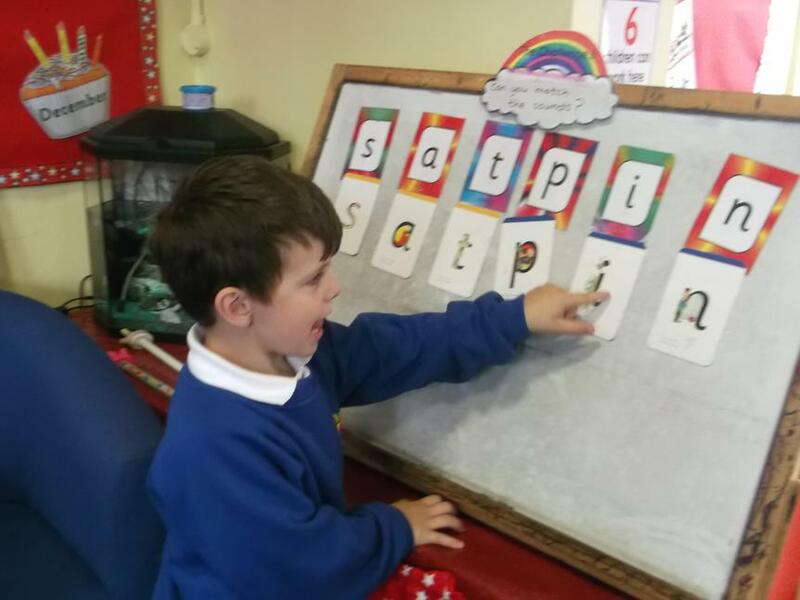 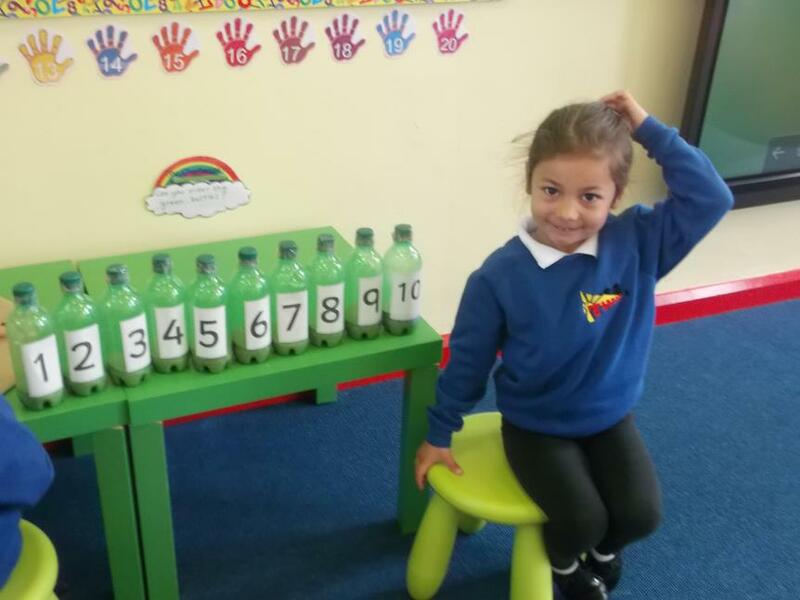 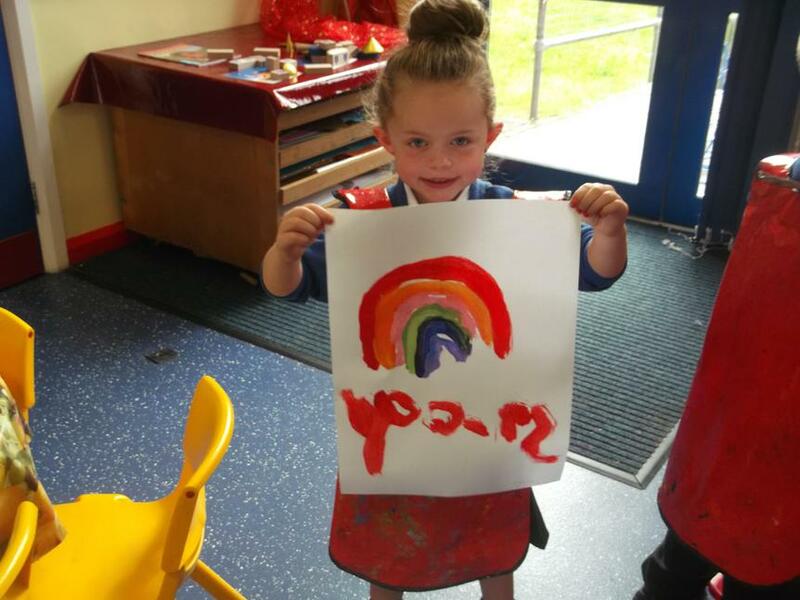 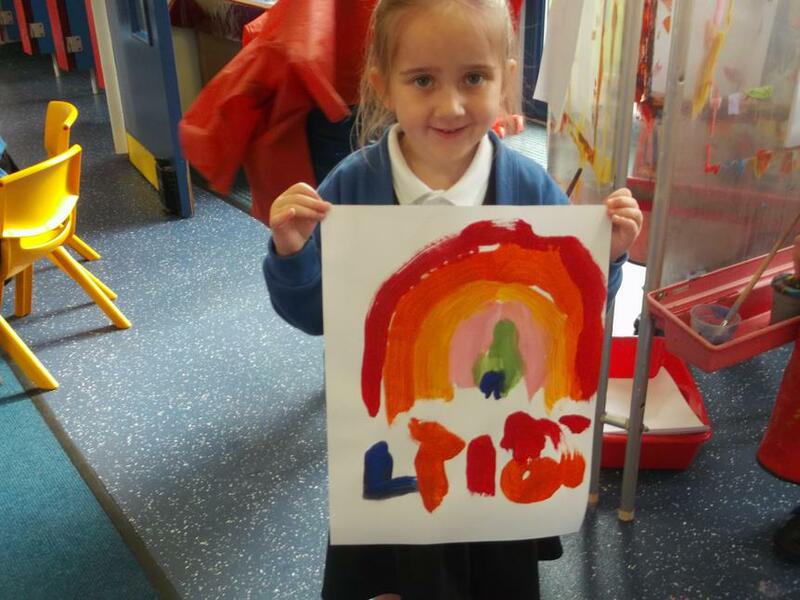 Throughout this time the children also complete rainbow challenges that link to all the areas of the curriculum, including a home challenge. 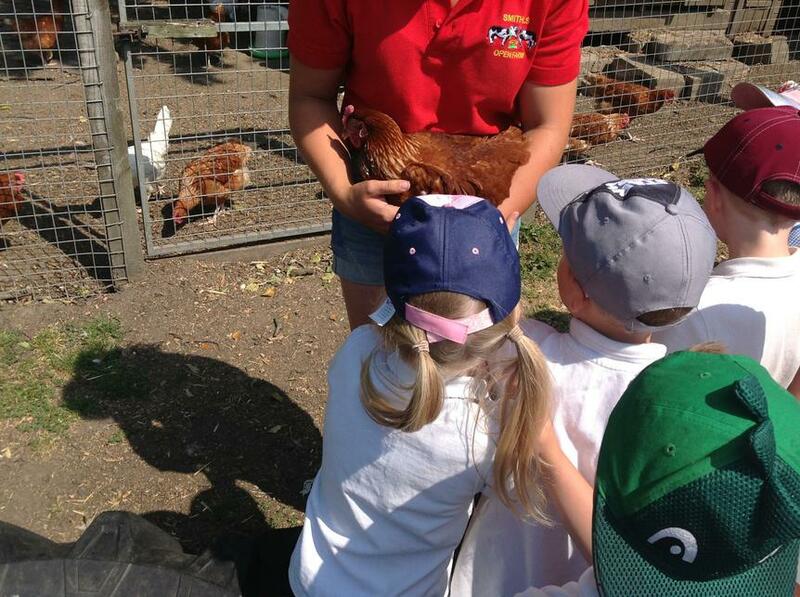 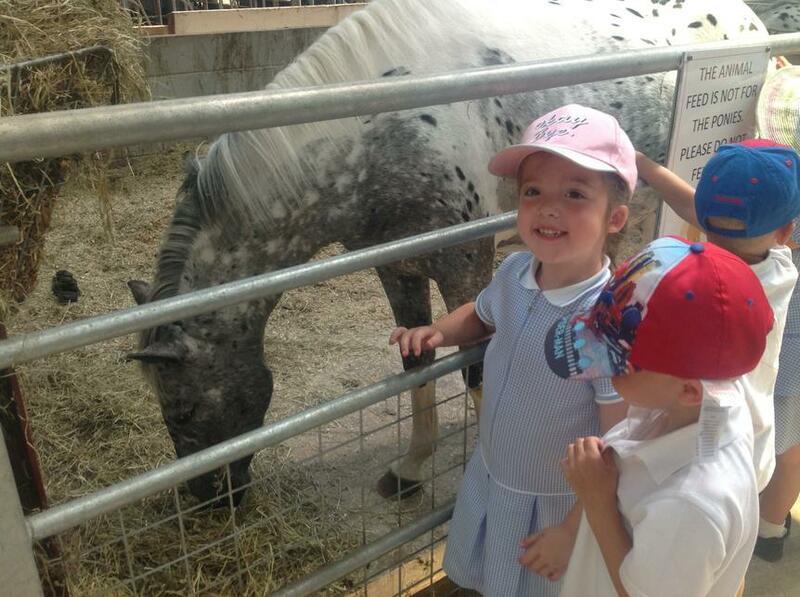 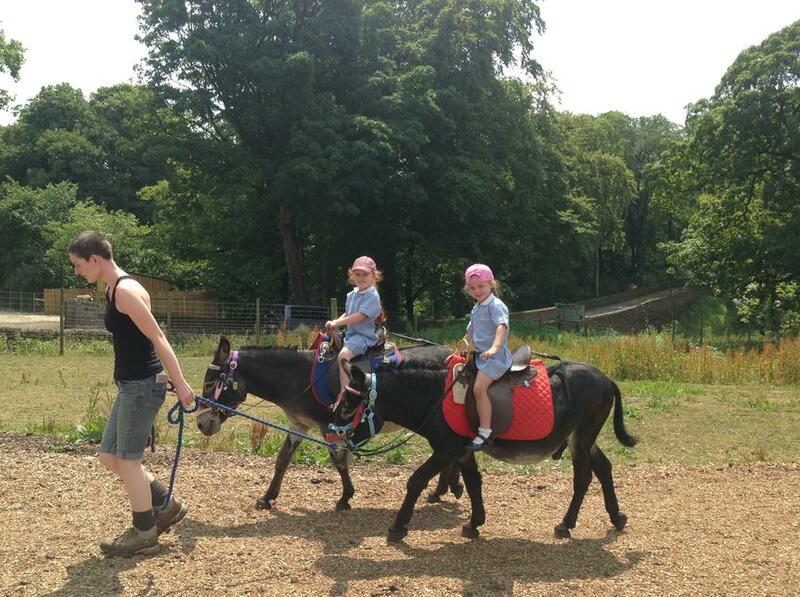 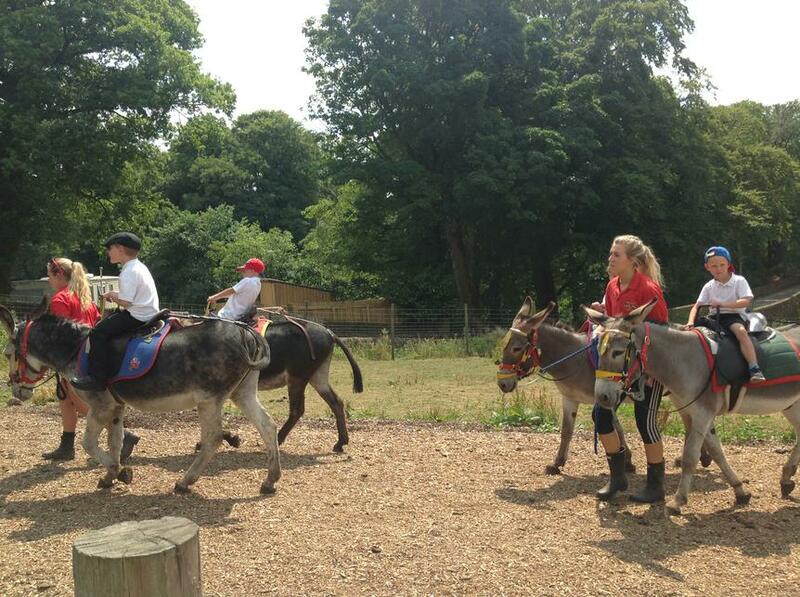 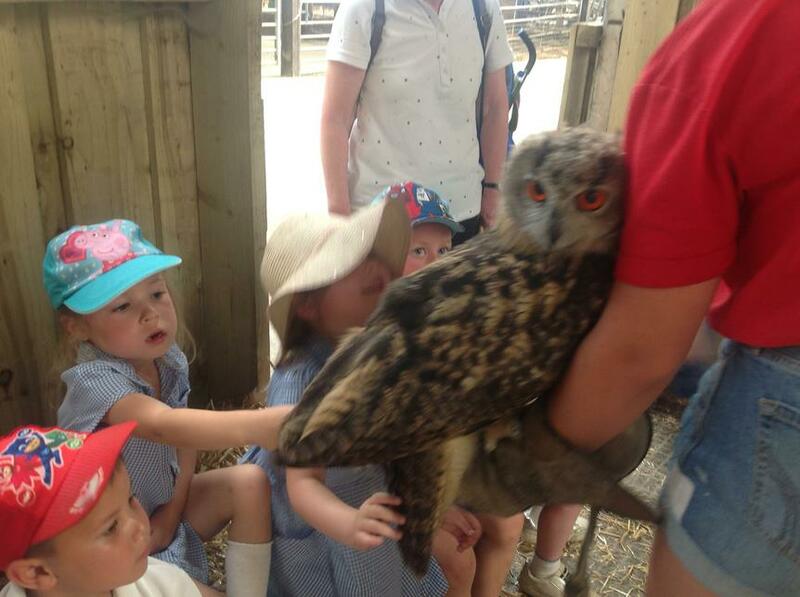 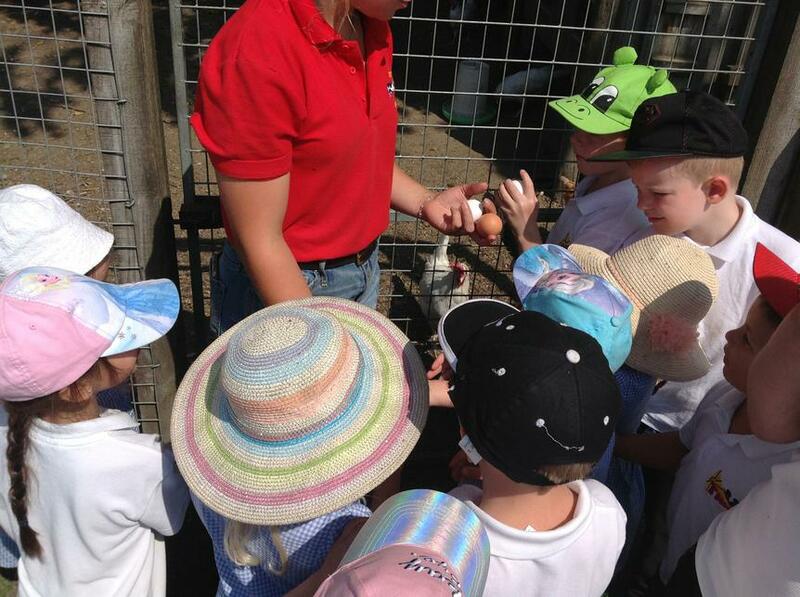 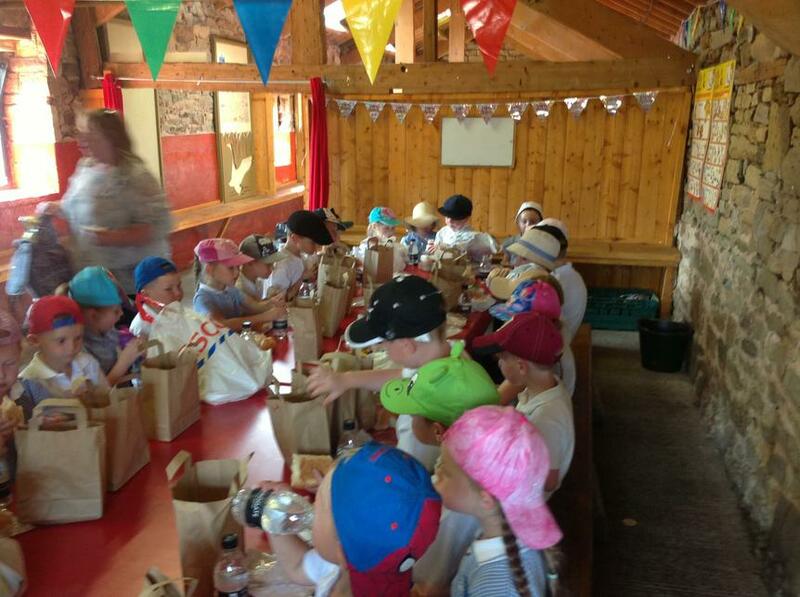 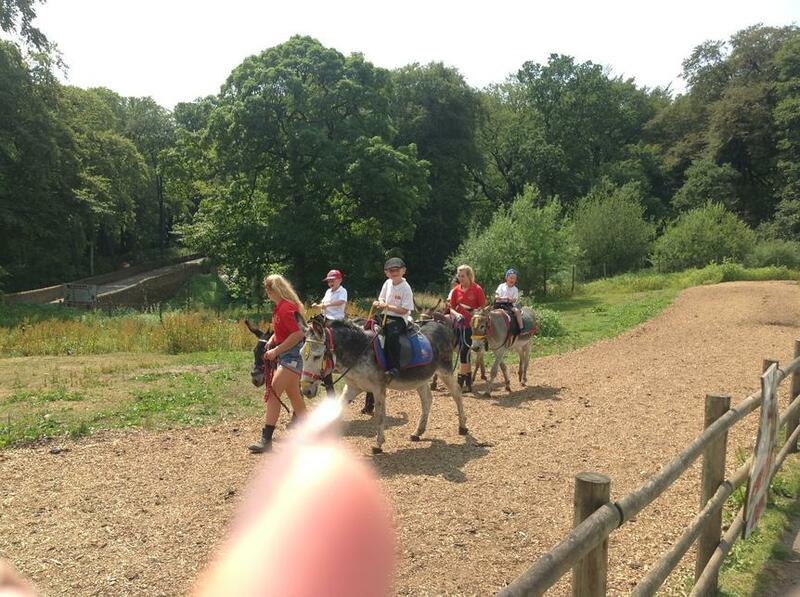 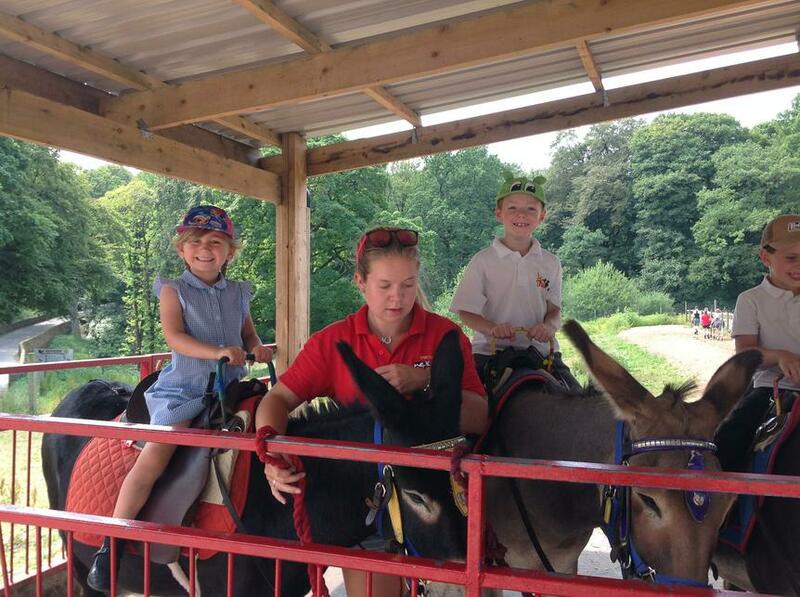 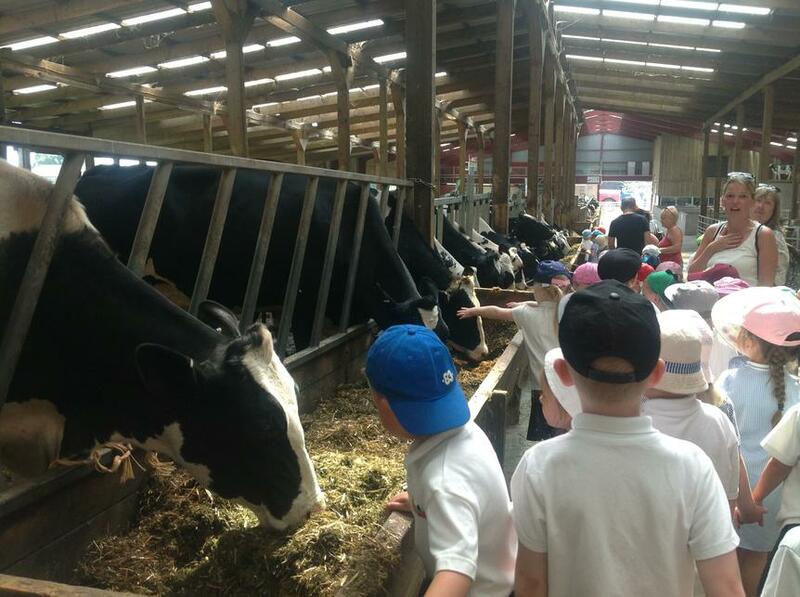 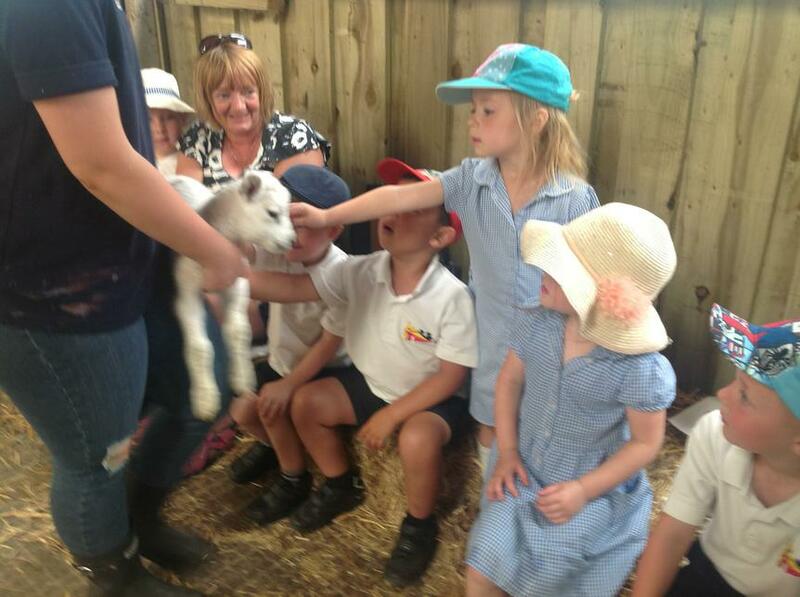 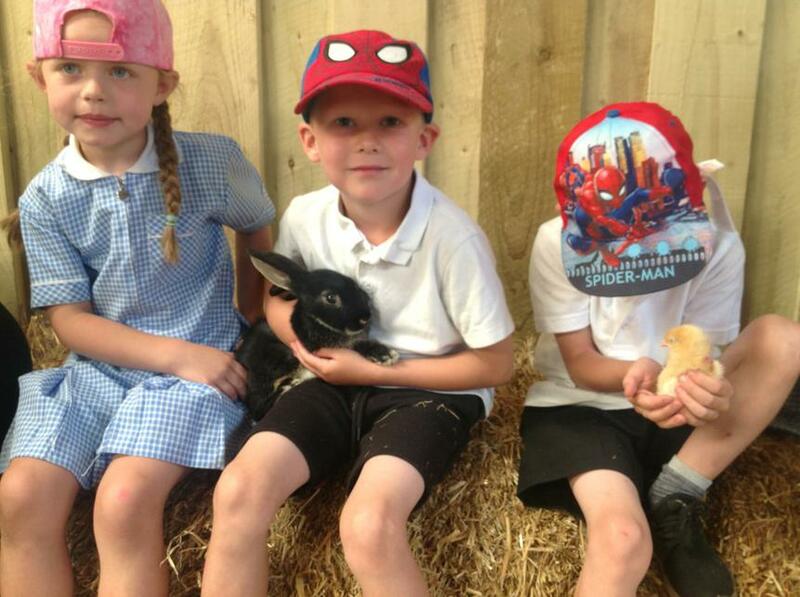 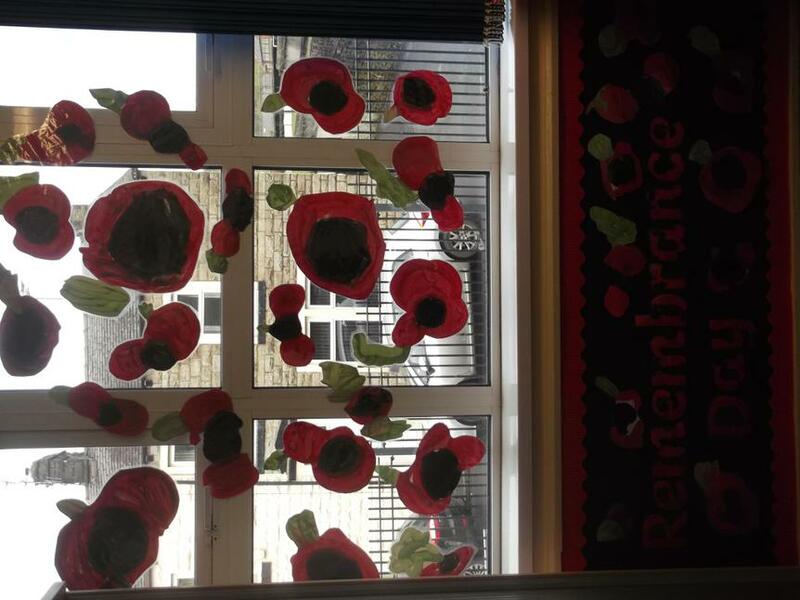 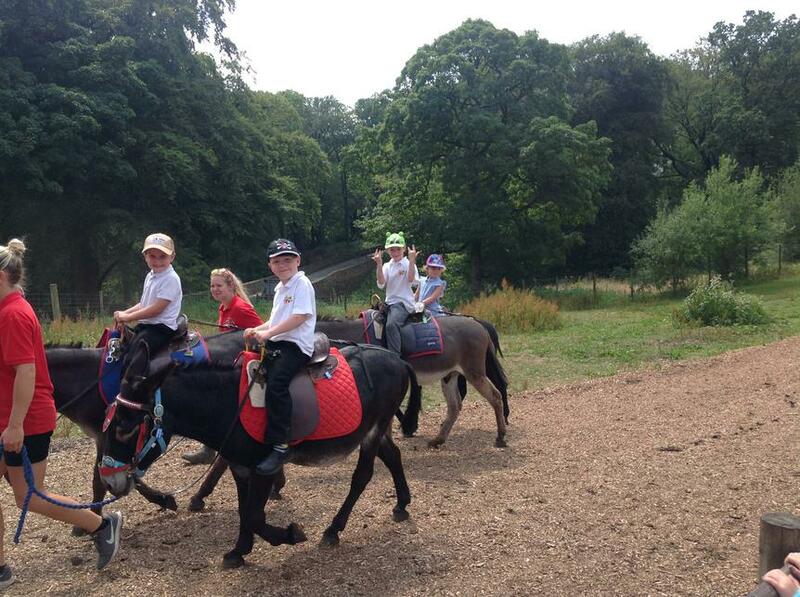 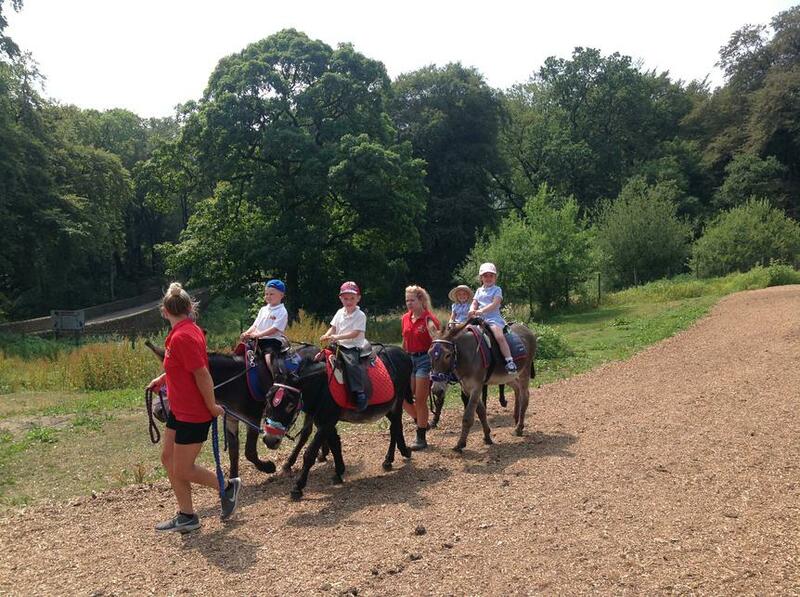 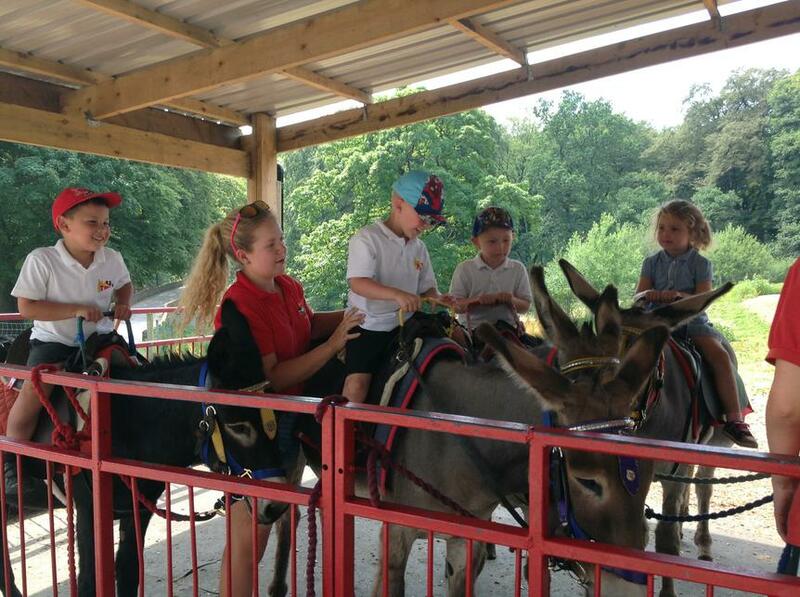 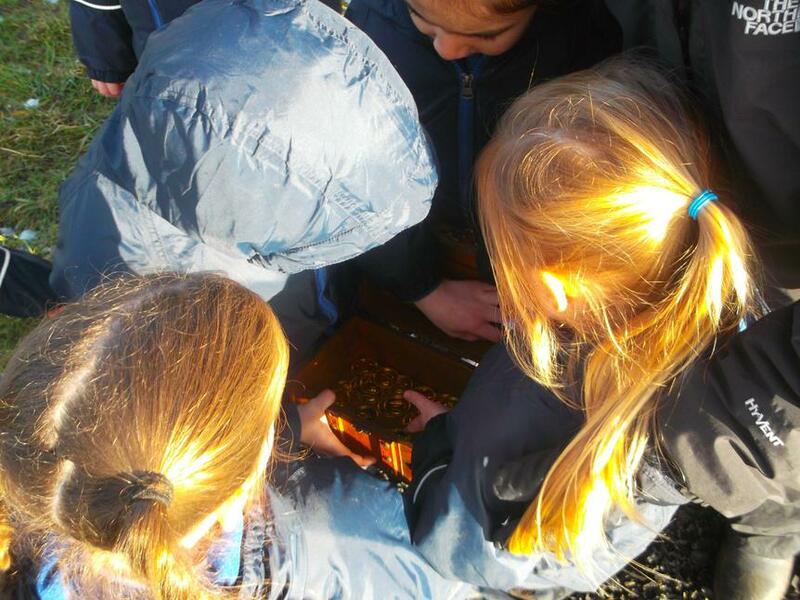 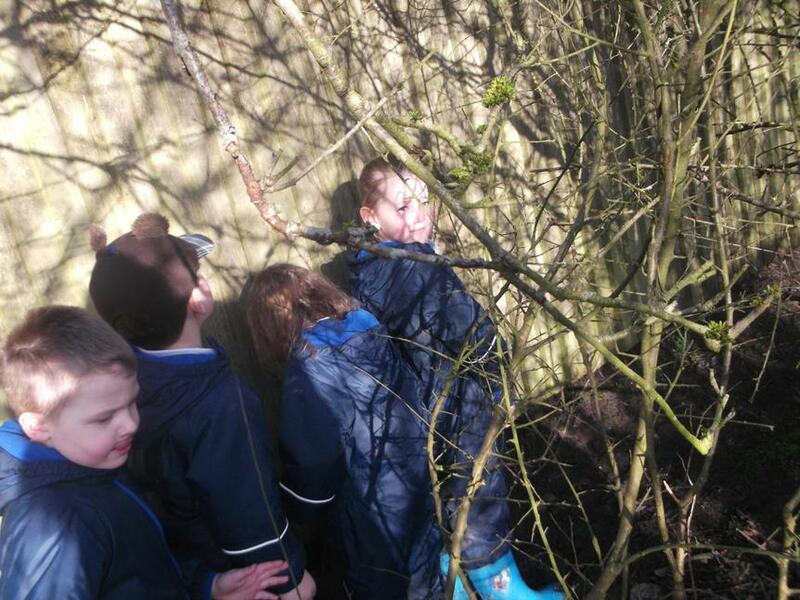 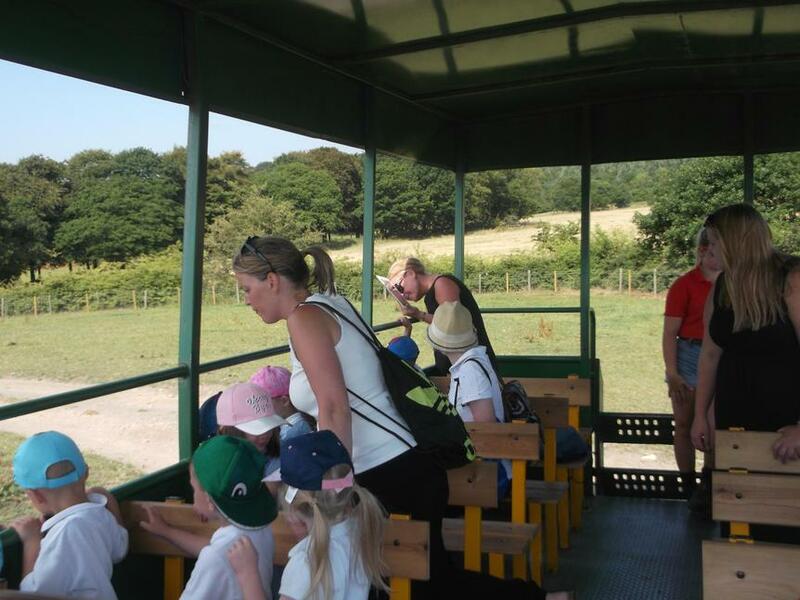 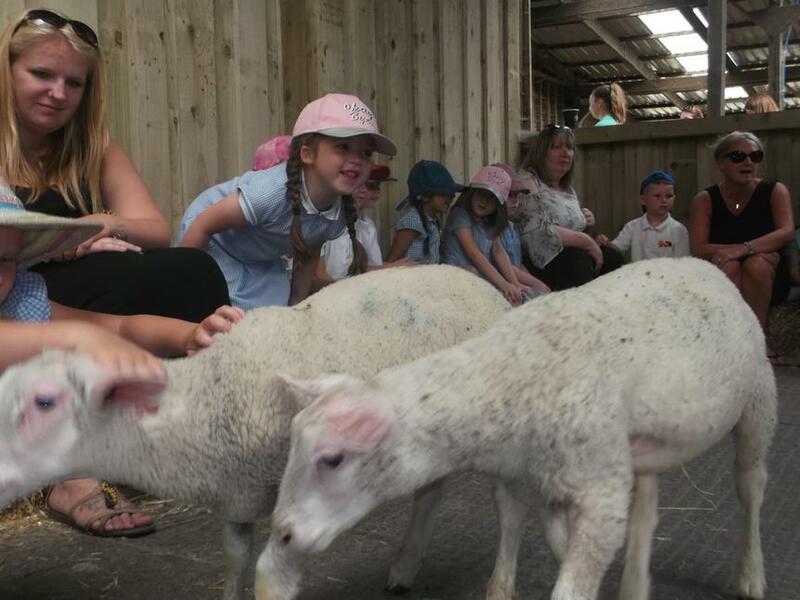 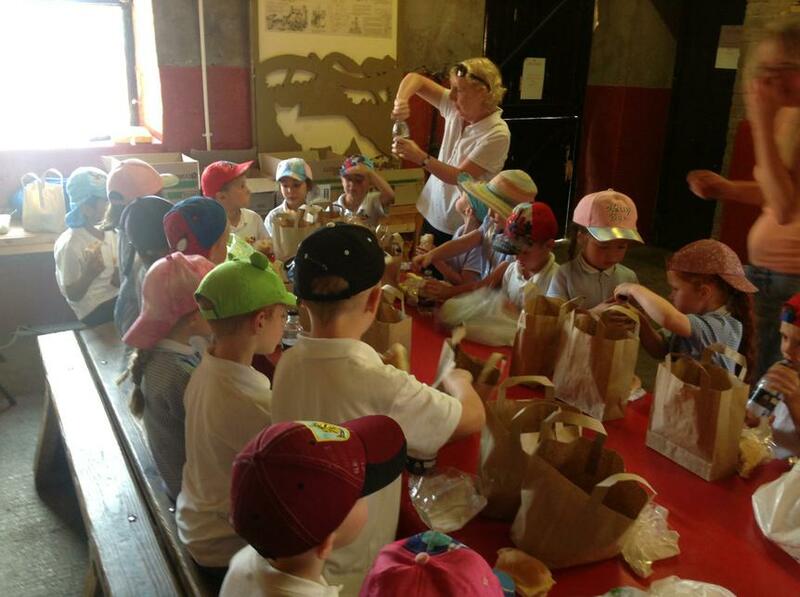 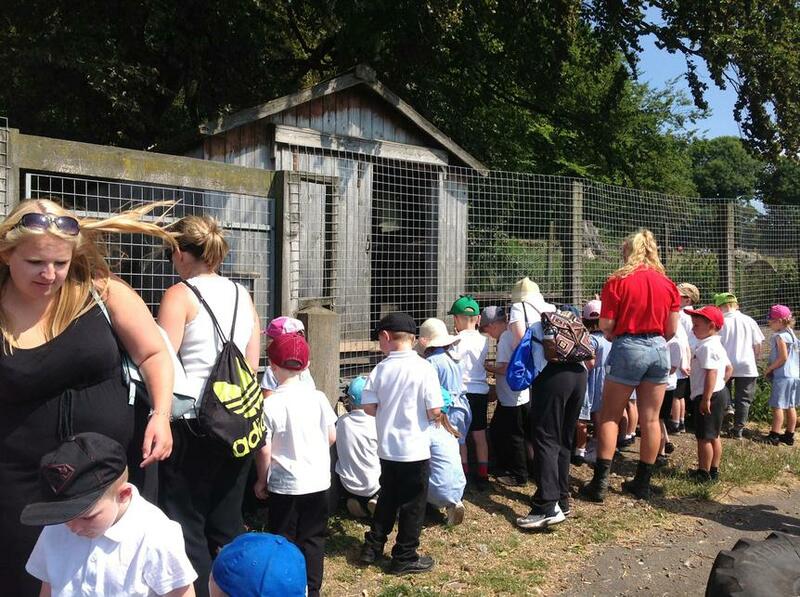 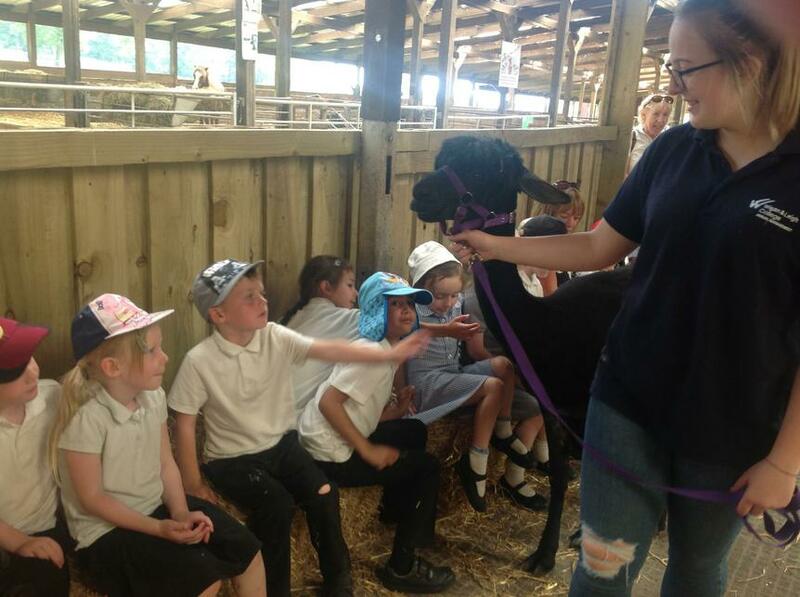 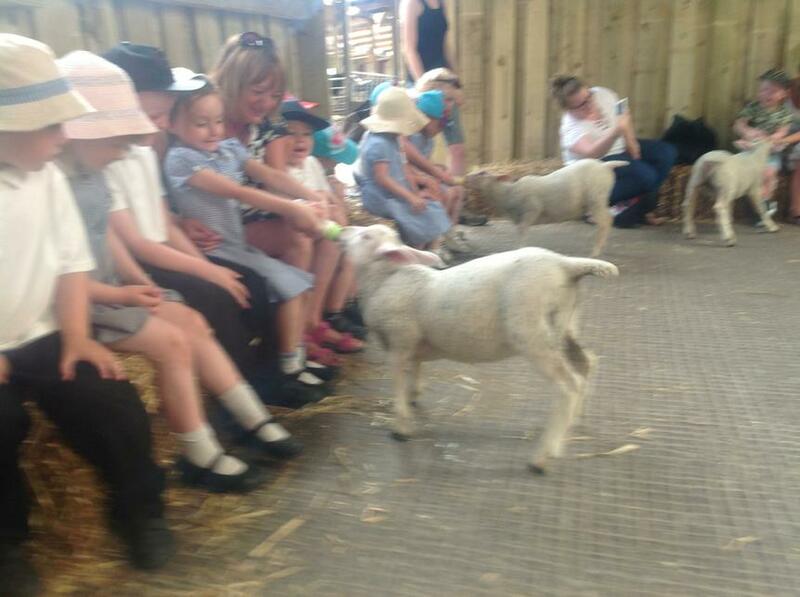 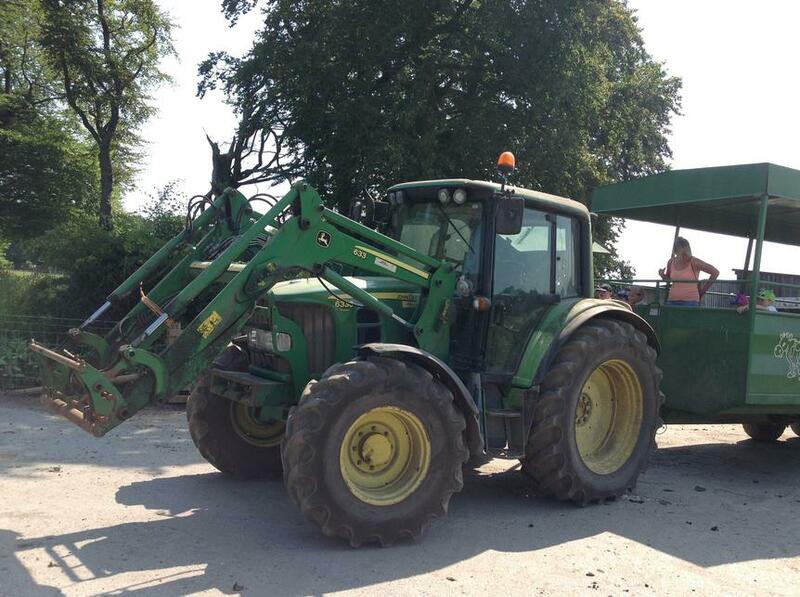 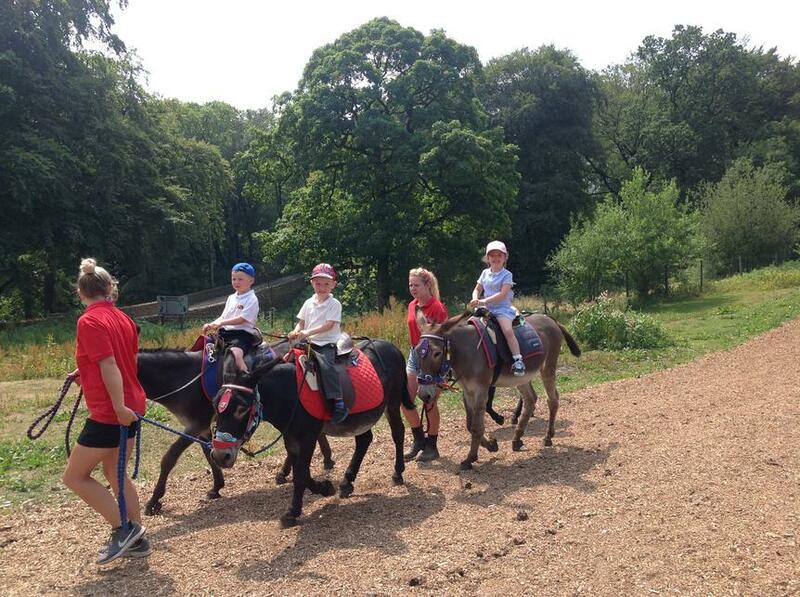 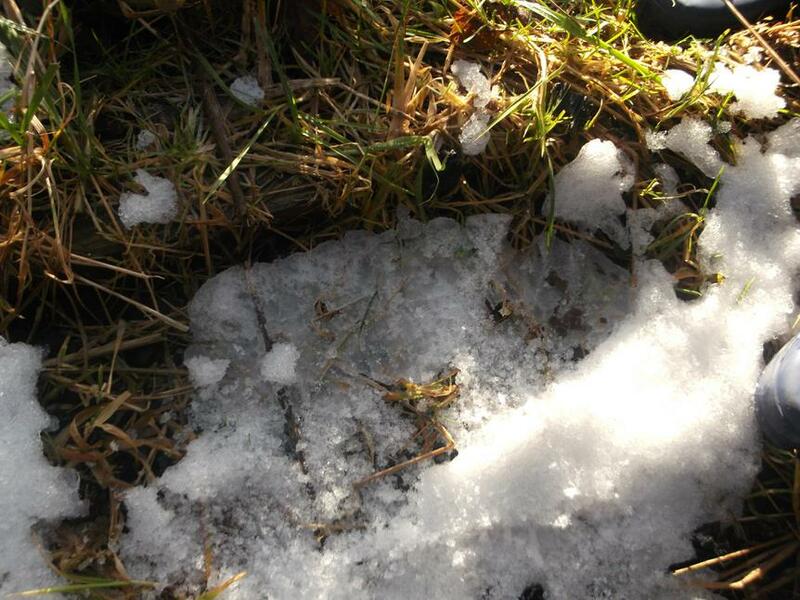 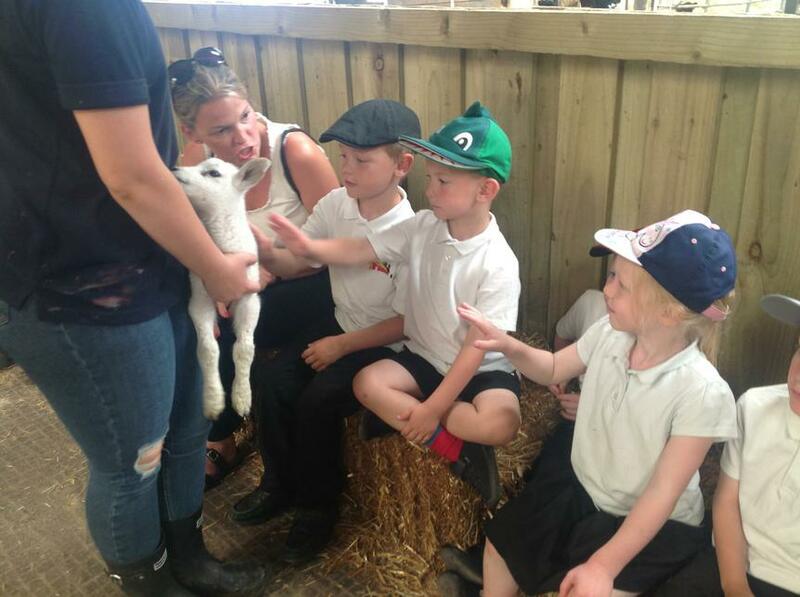 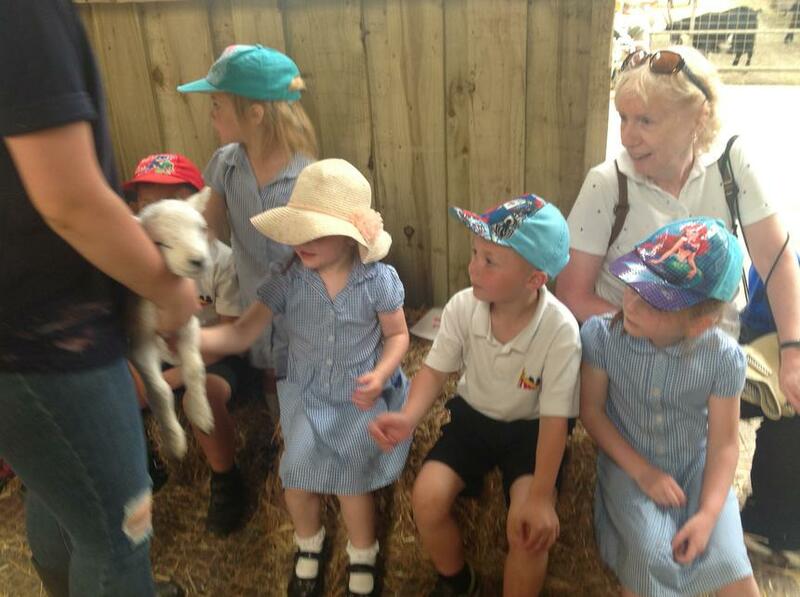 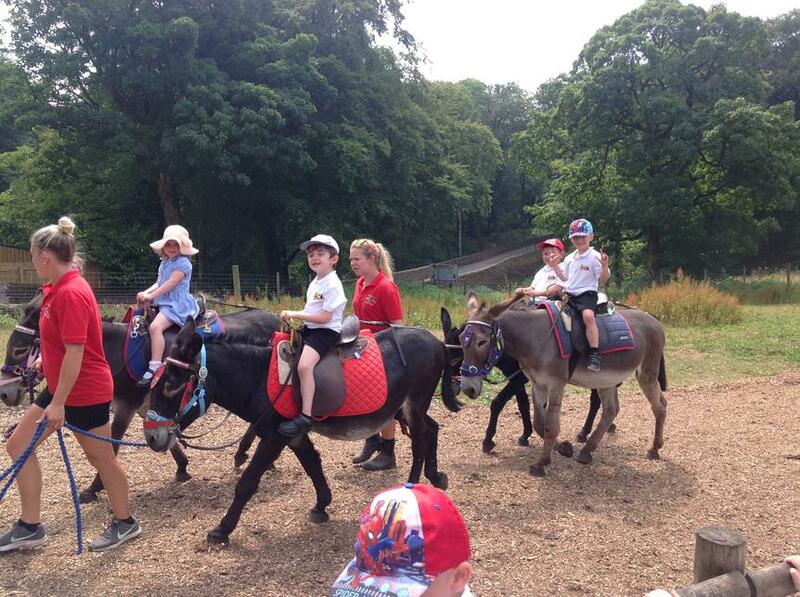 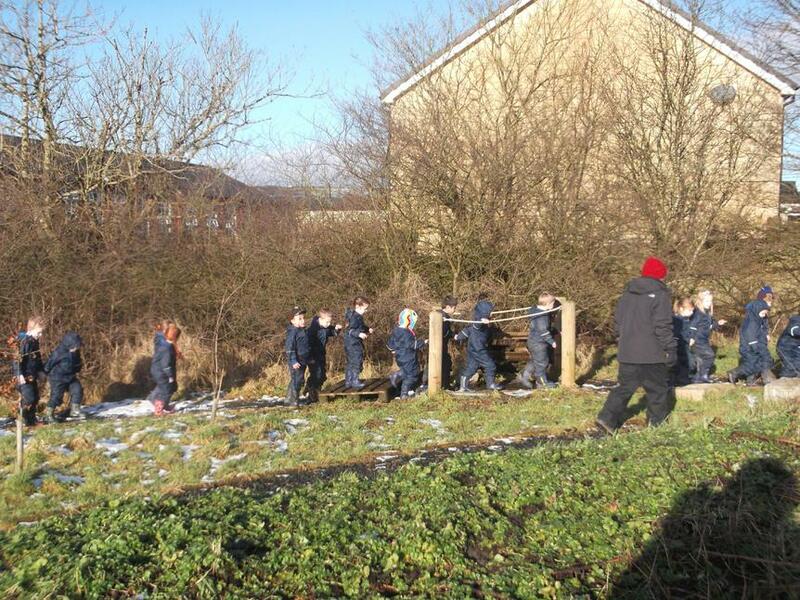 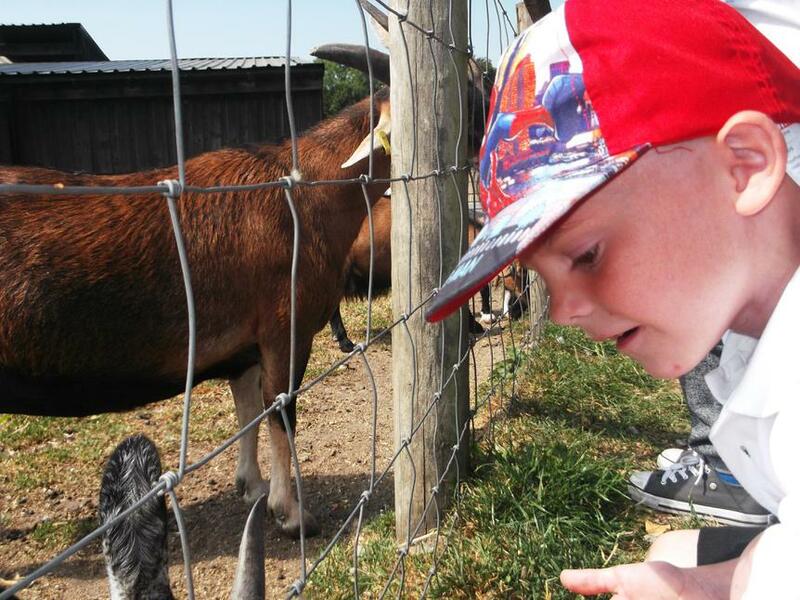 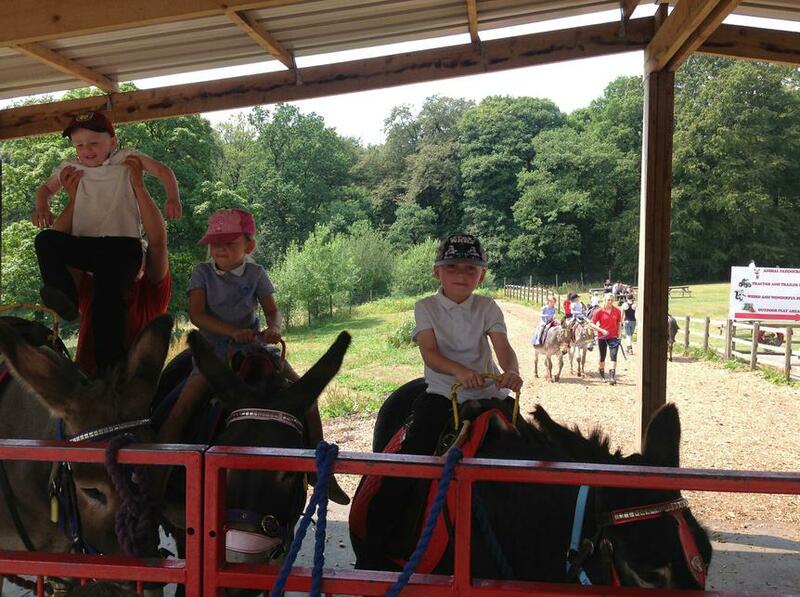 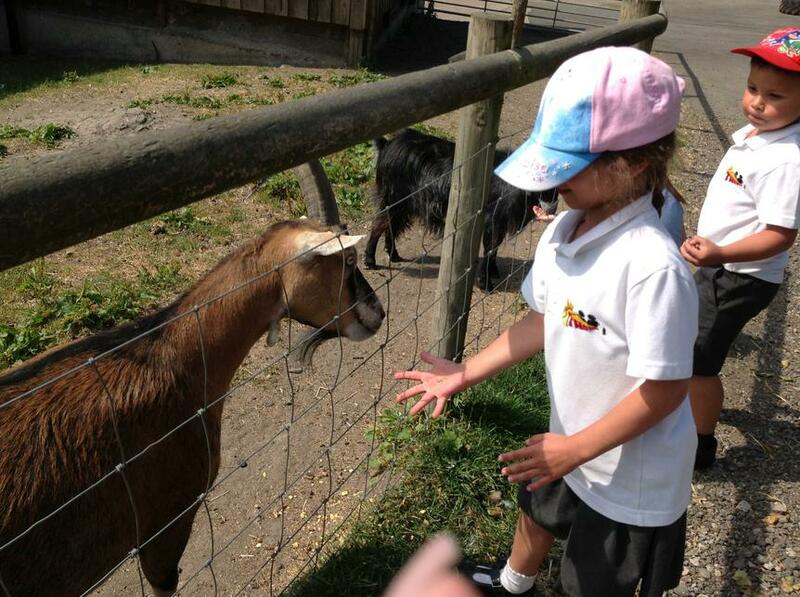 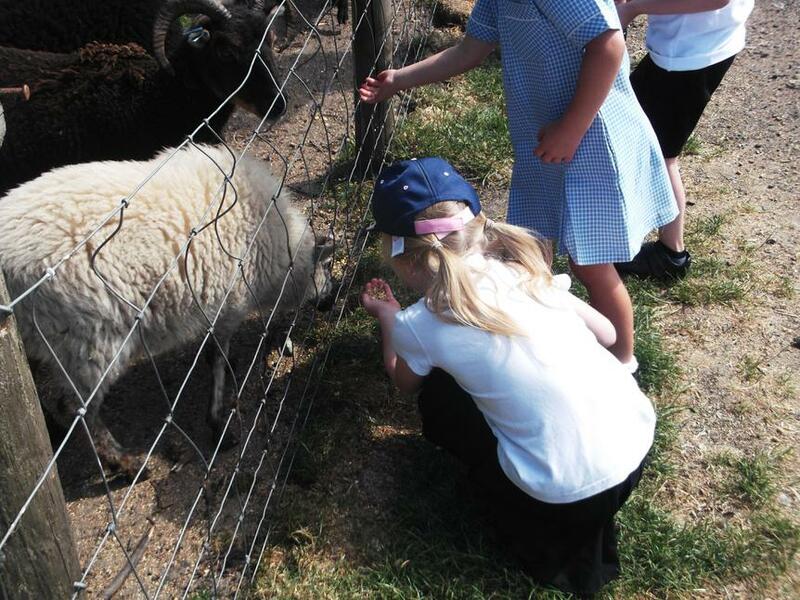 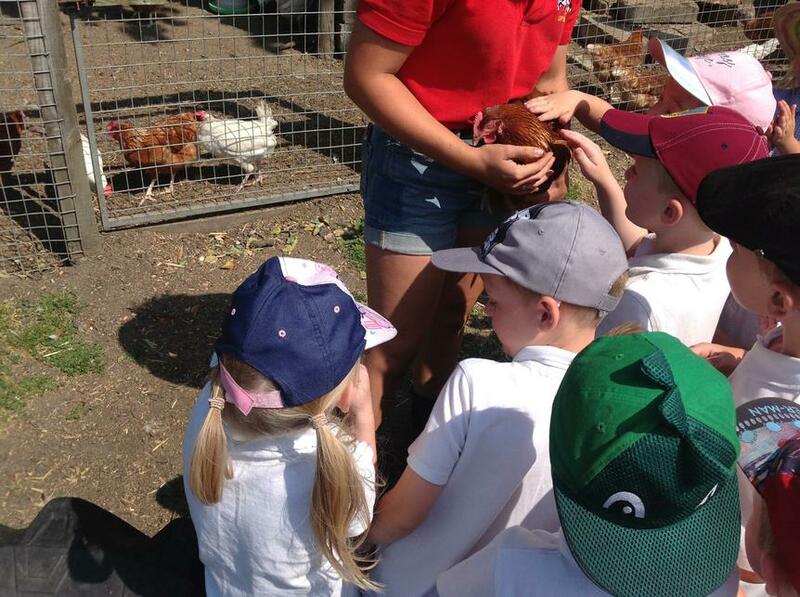 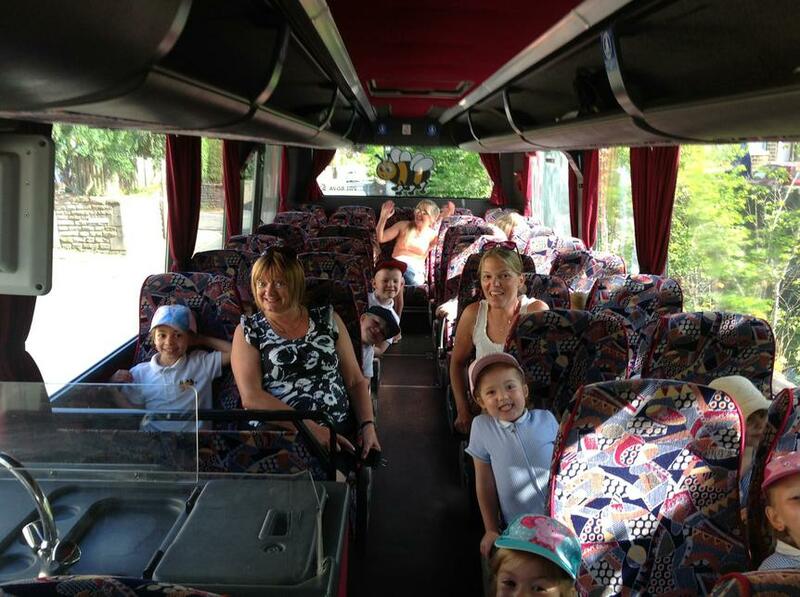 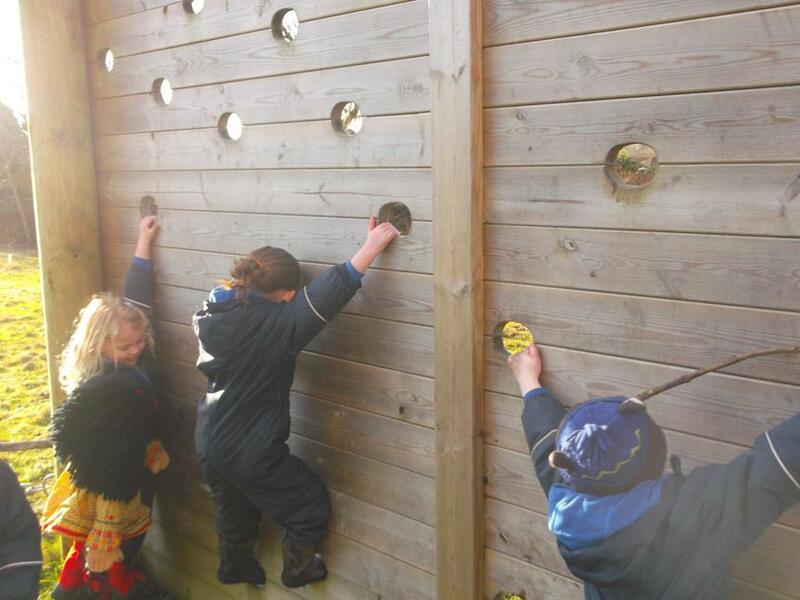 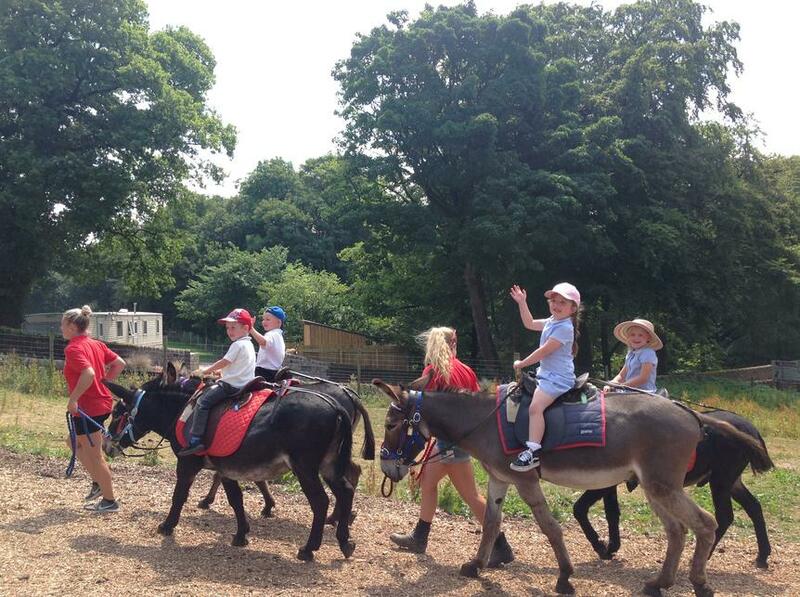 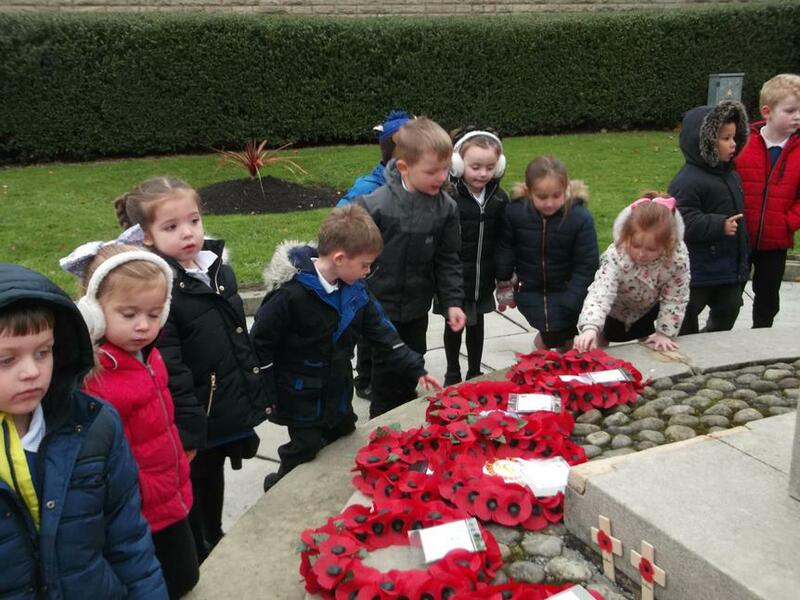 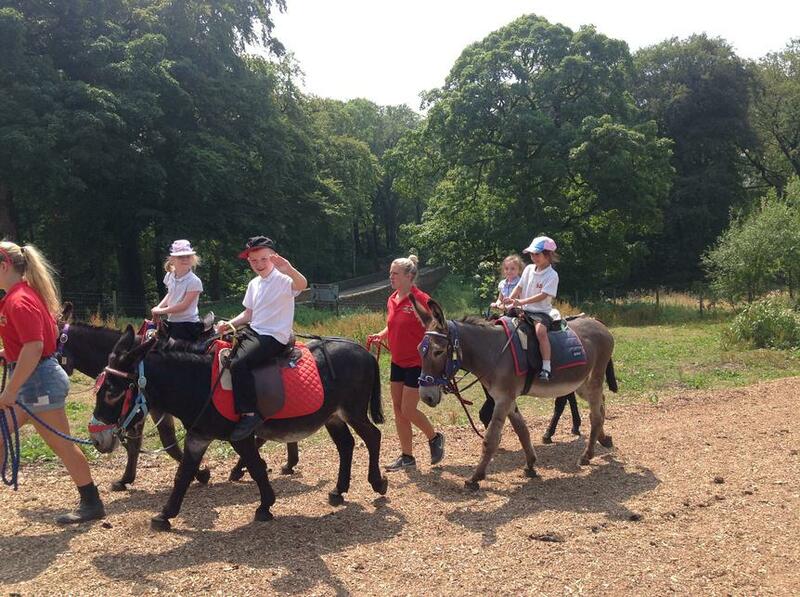 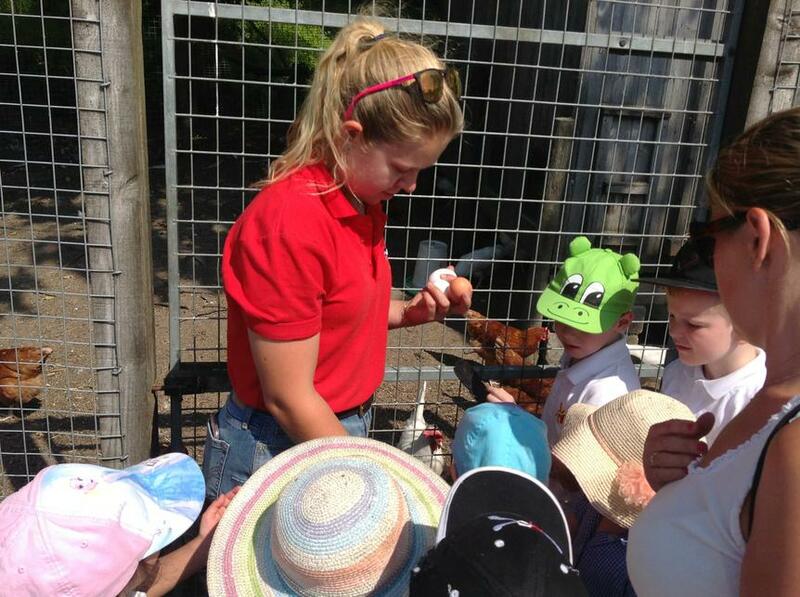 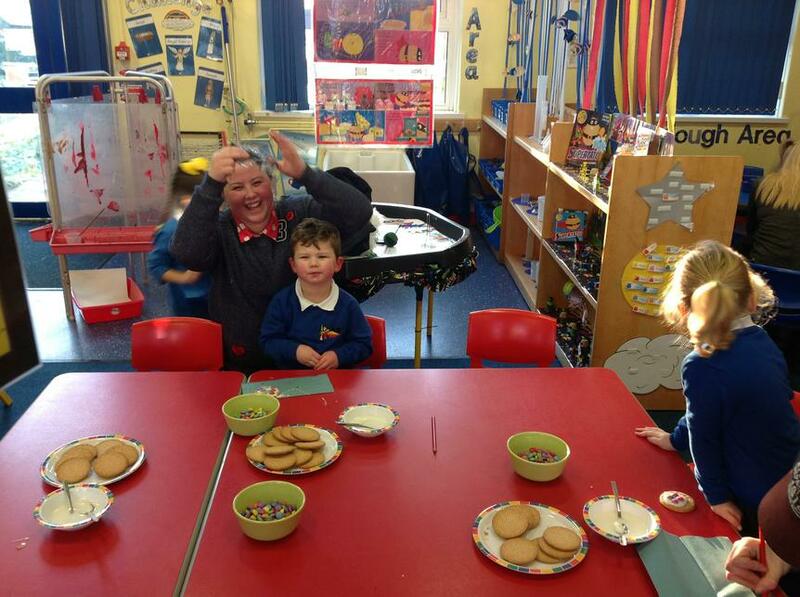 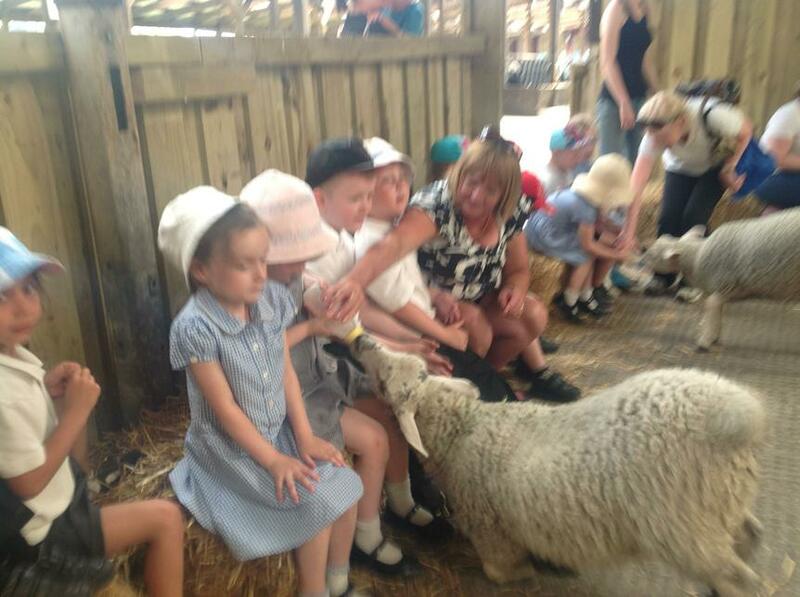 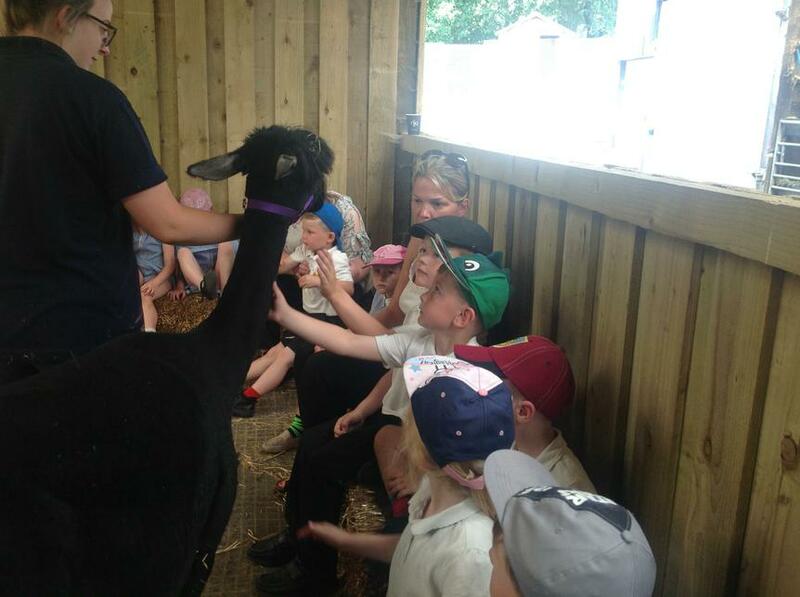 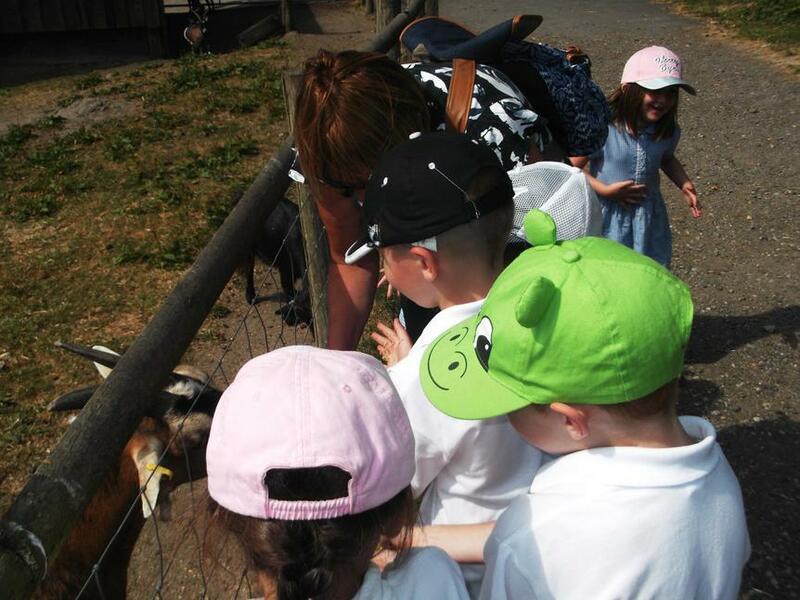 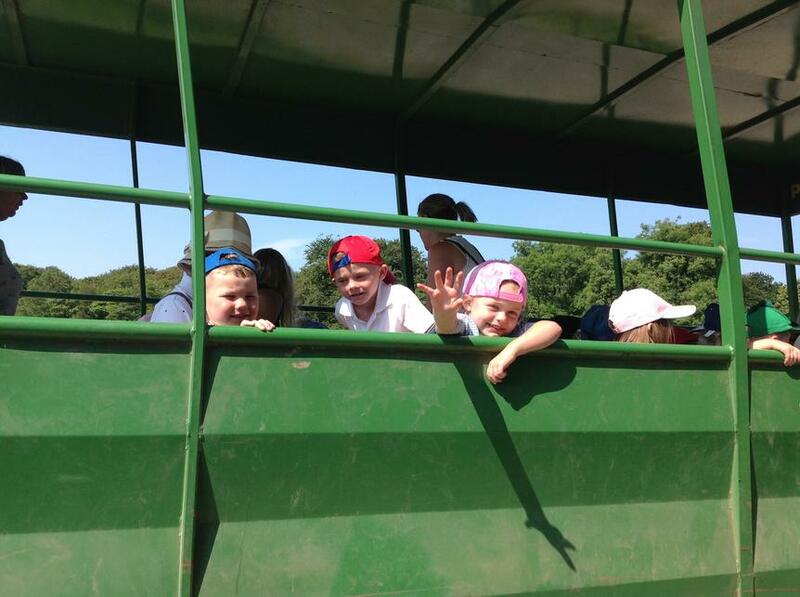 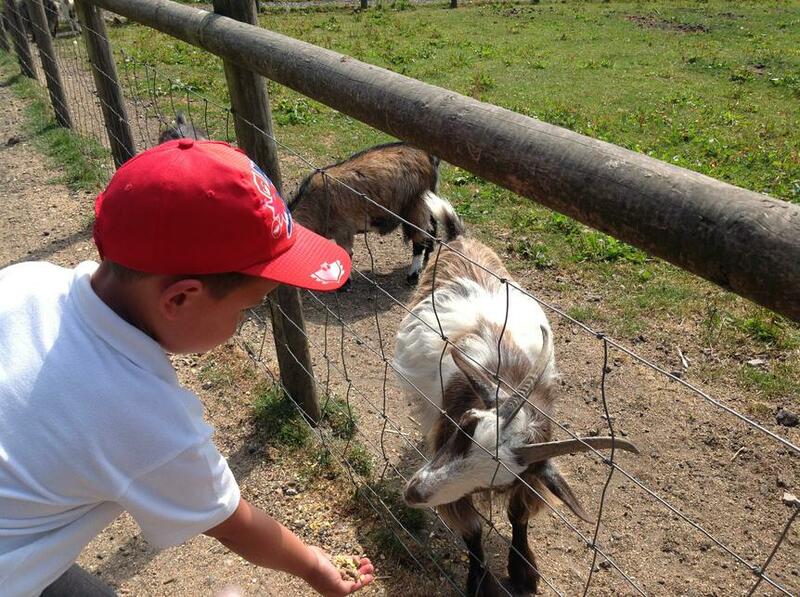 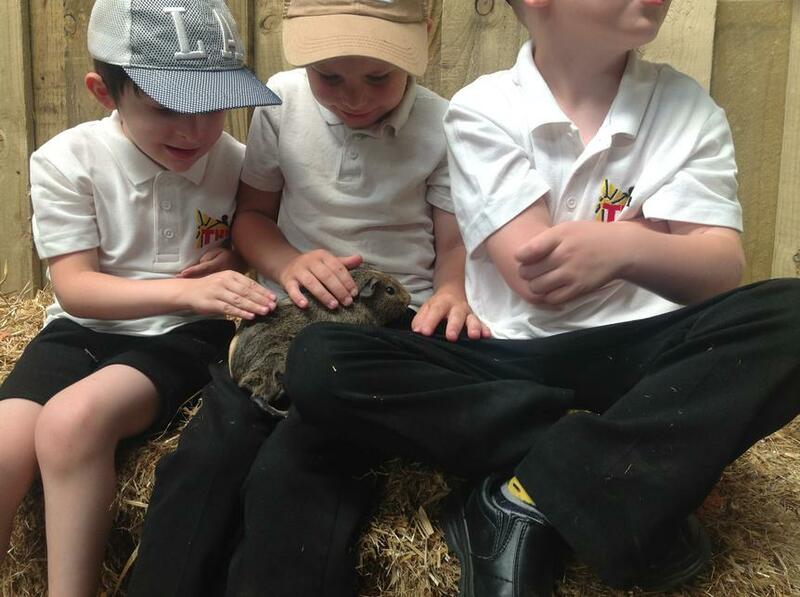 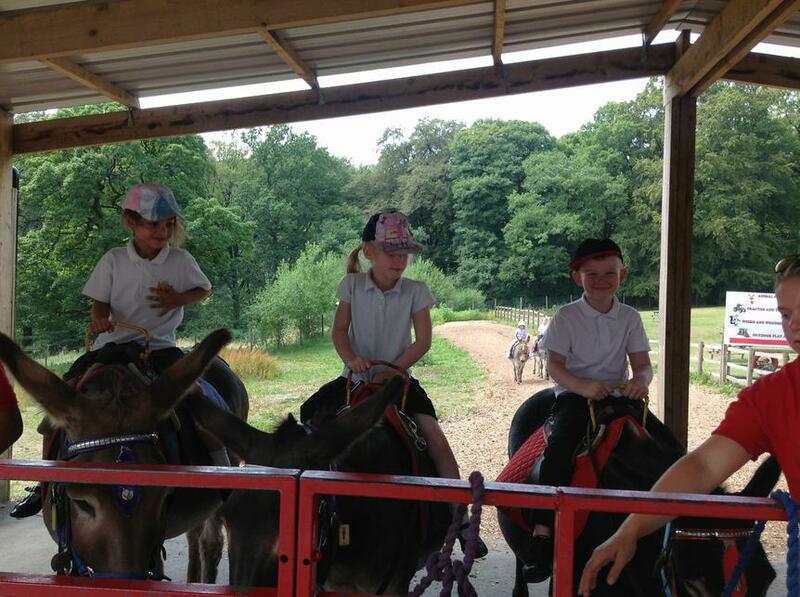 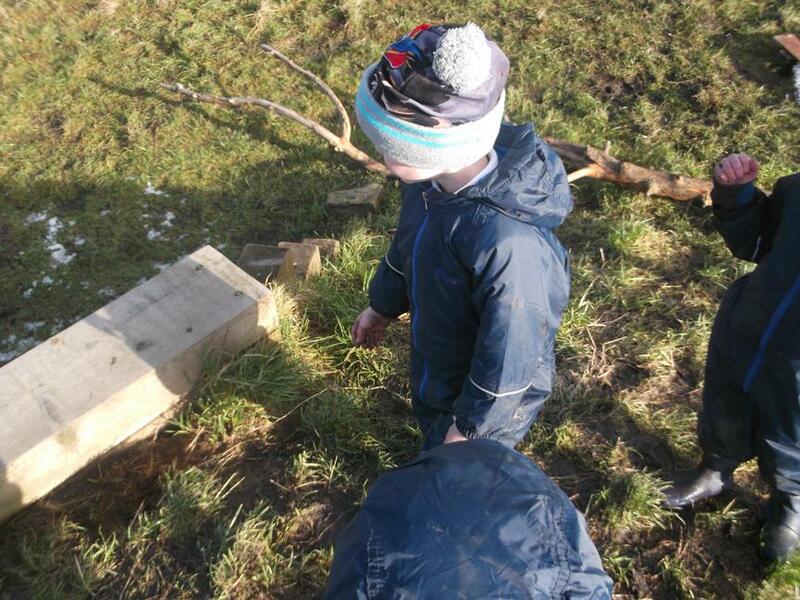 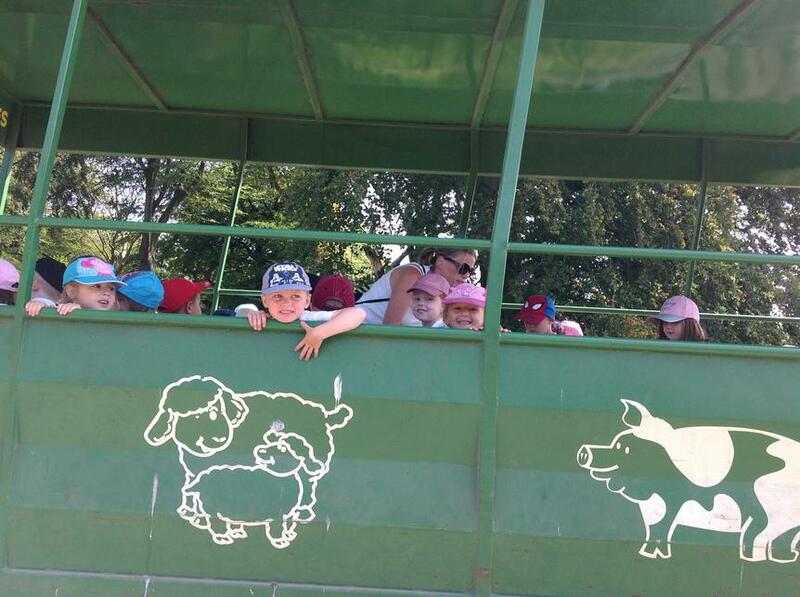 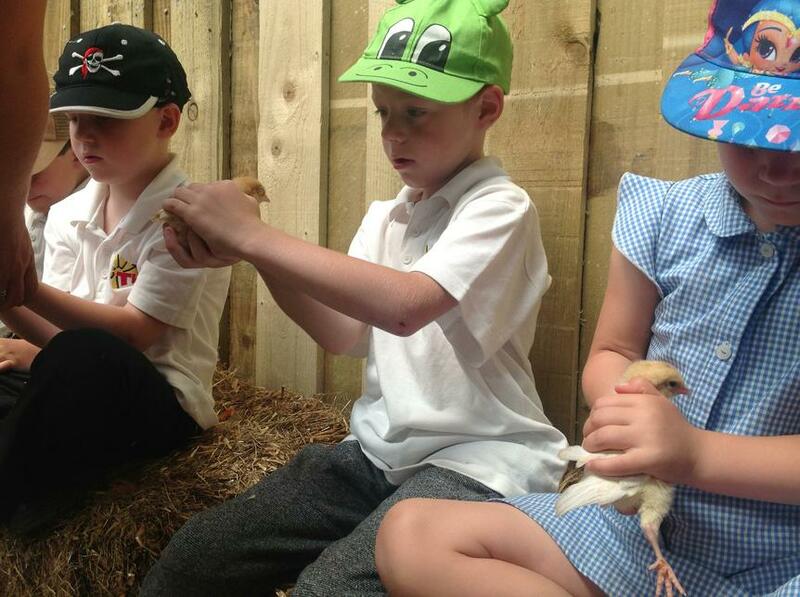 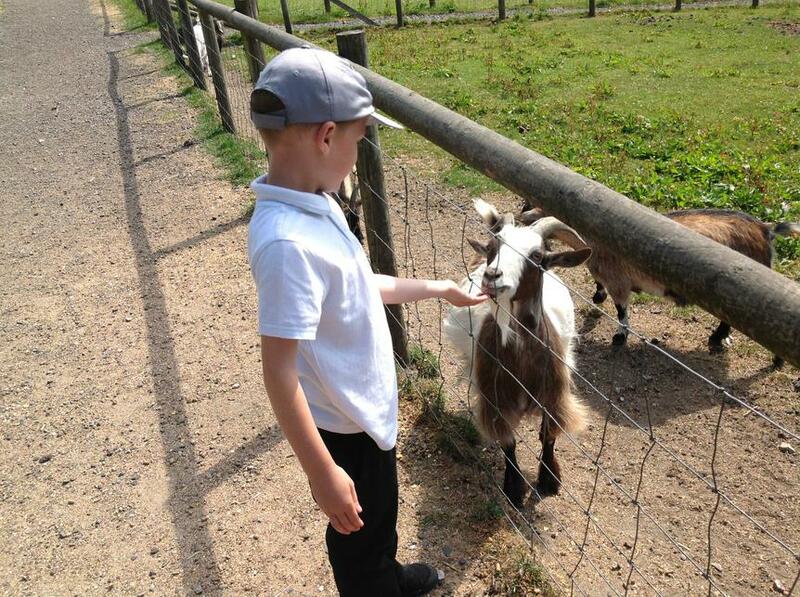 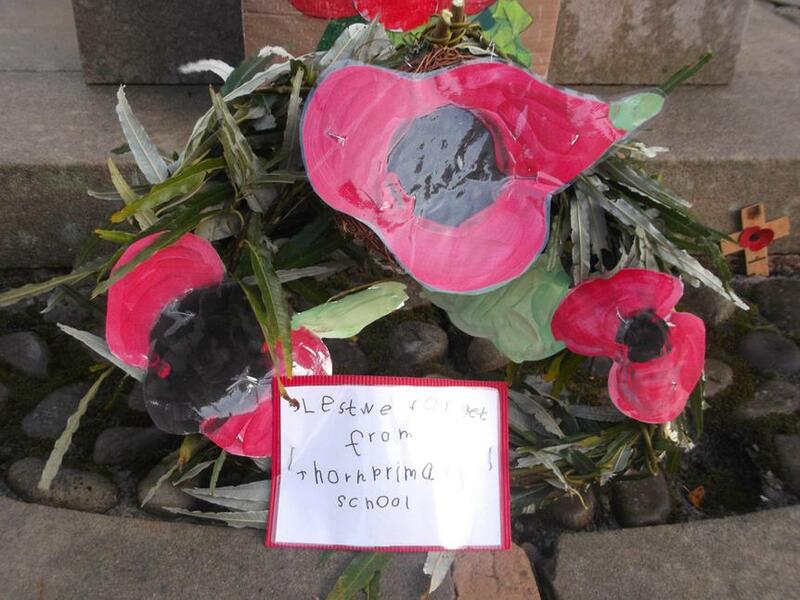 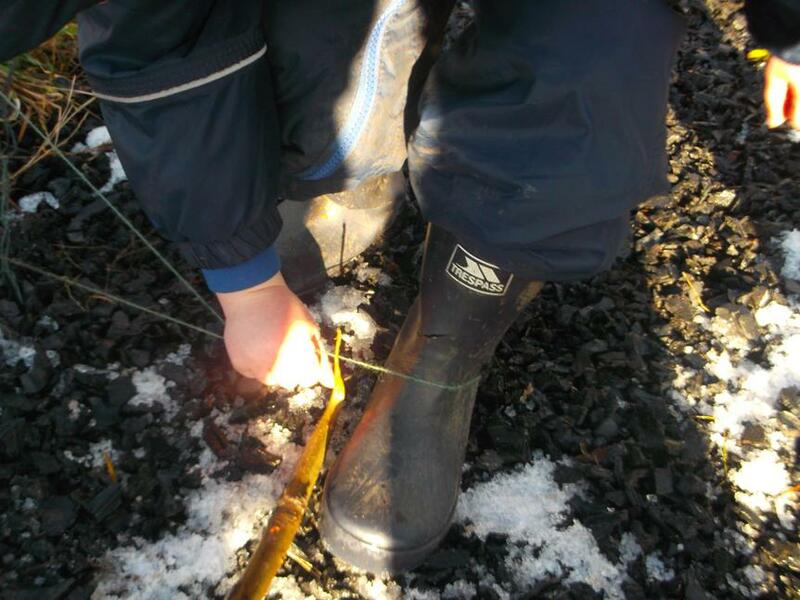 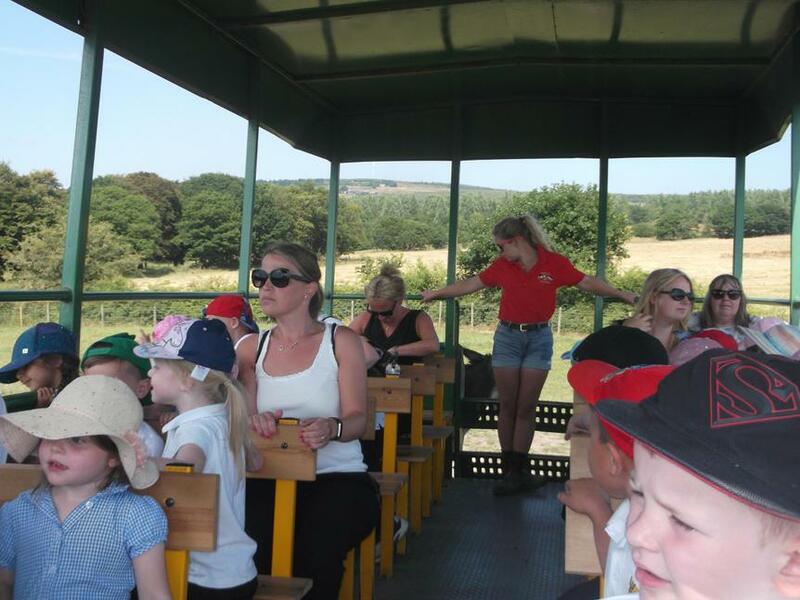 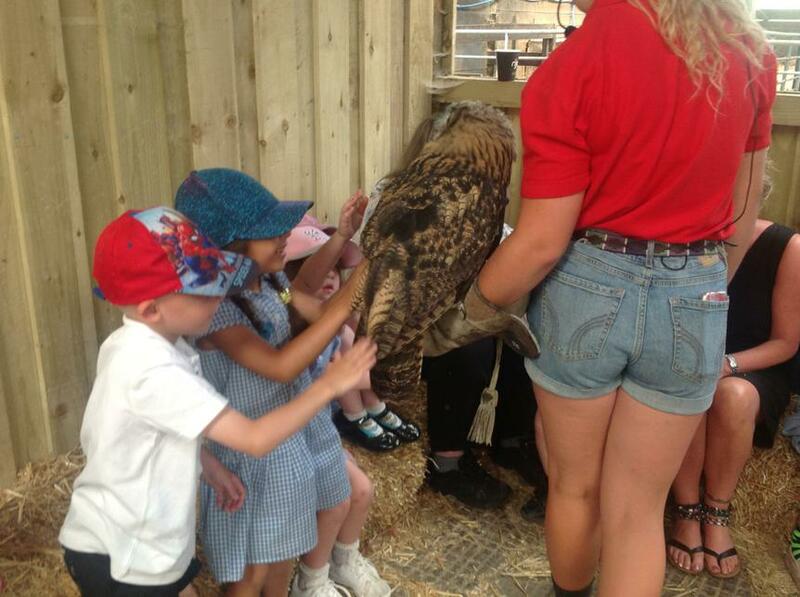 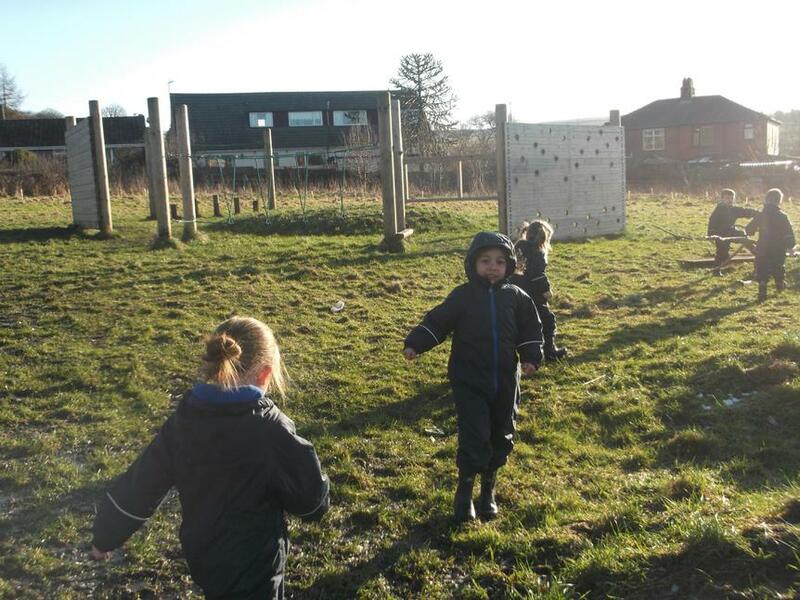 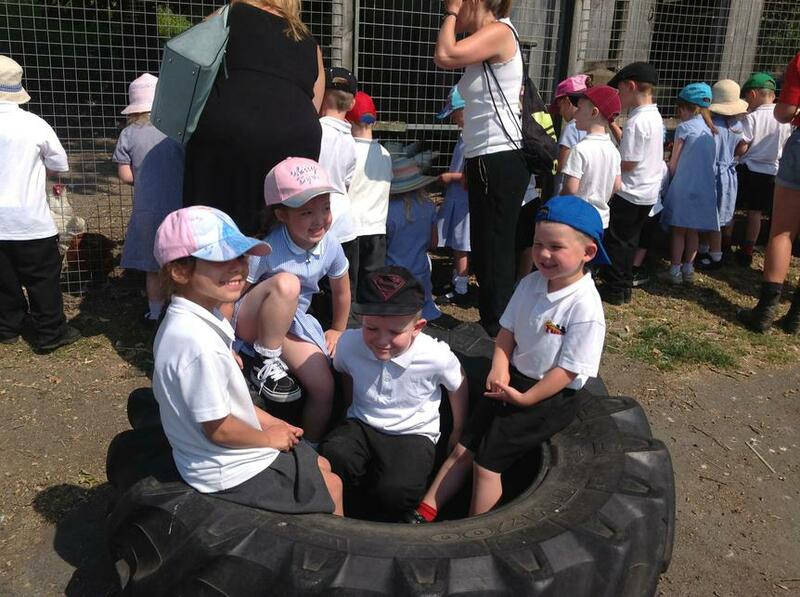 The children are encouraged and supported by staff to complete all seven challenges during the week. 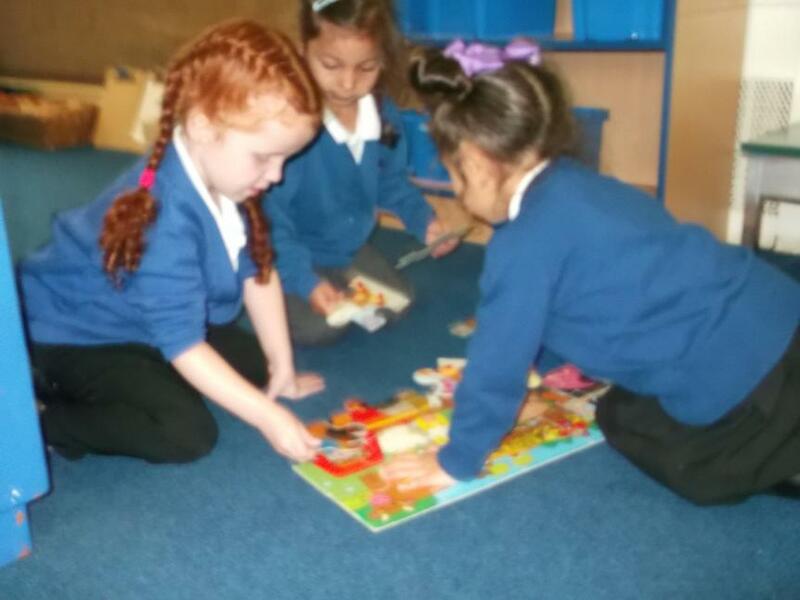 If they complete all their challenges then they take part in the class treat on a Friday afternoon. 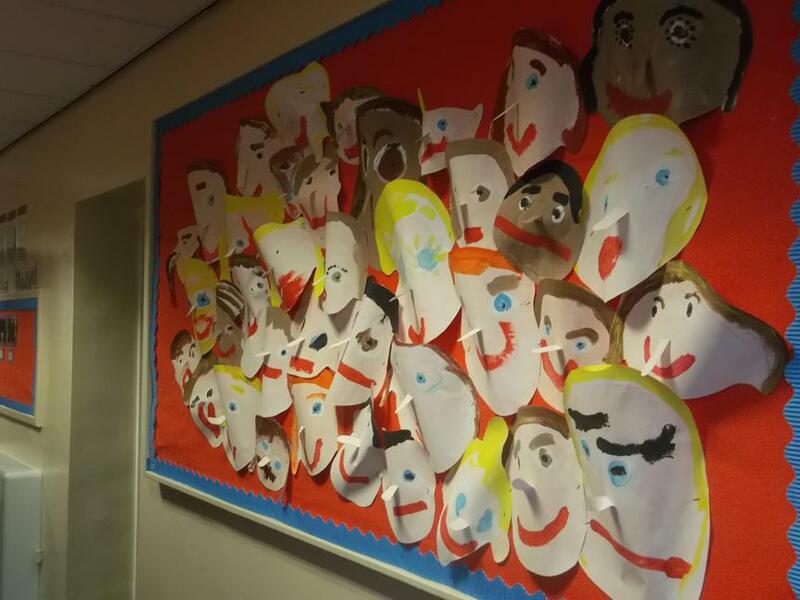 Please look at our class newsletters to give you an idea of some of the exciting things we take part in every half term. 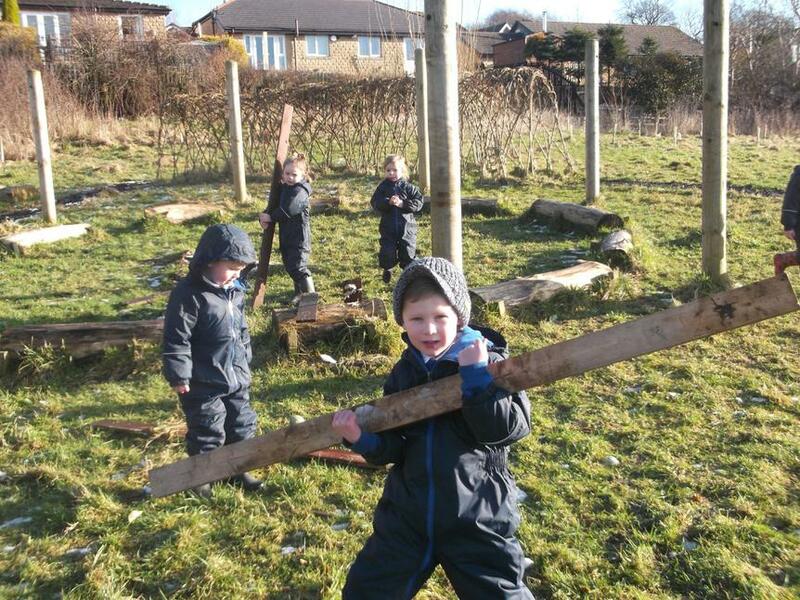 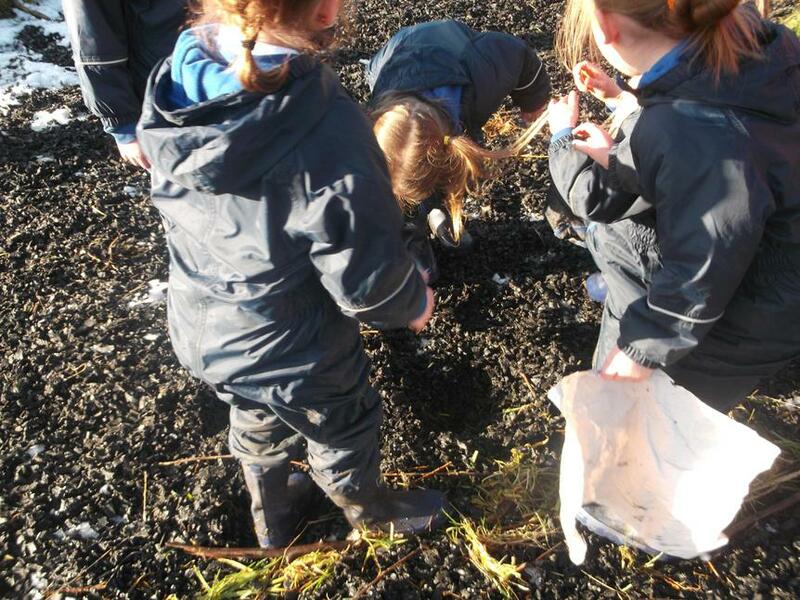 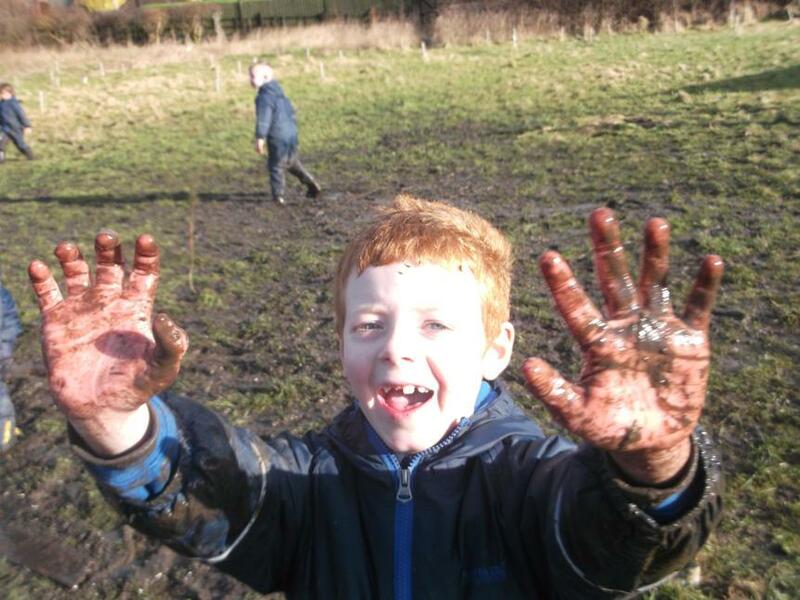 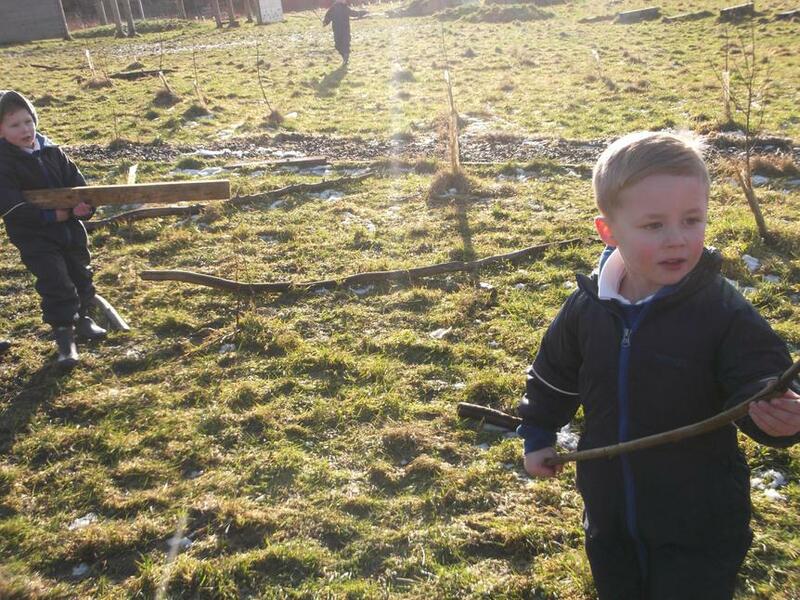 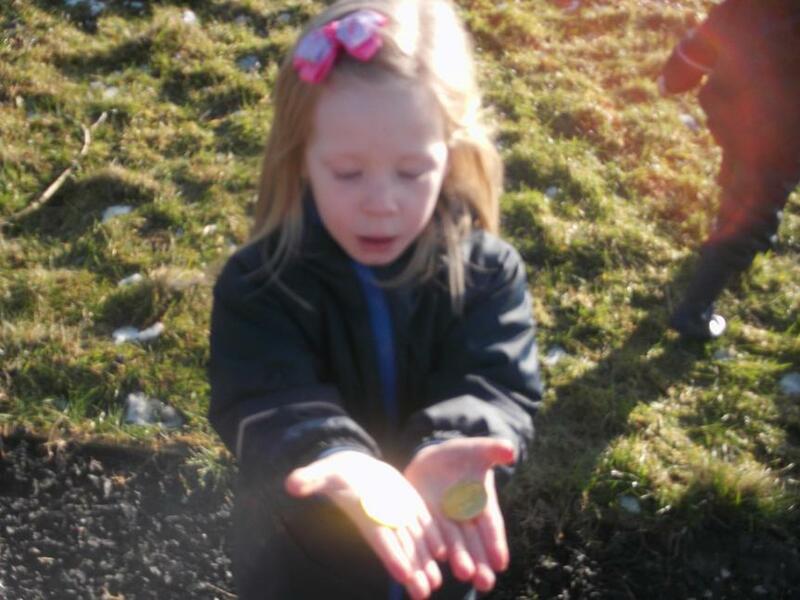 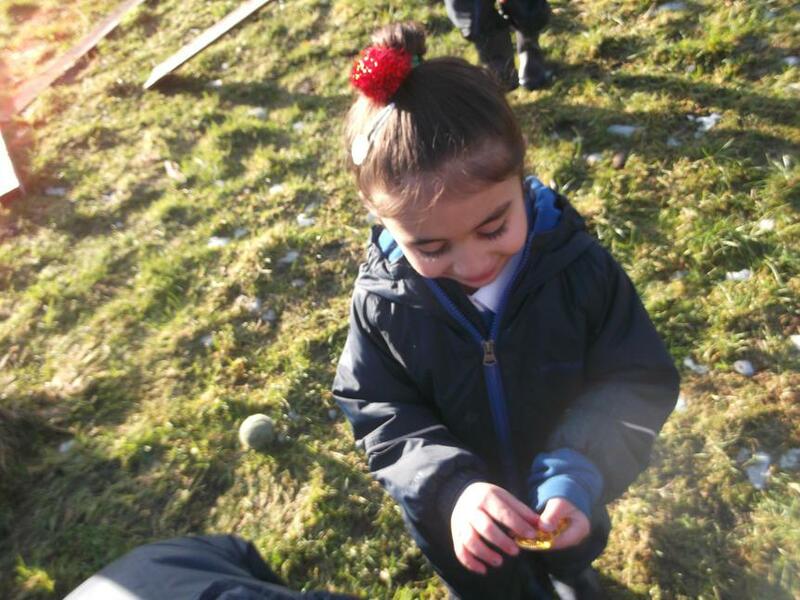 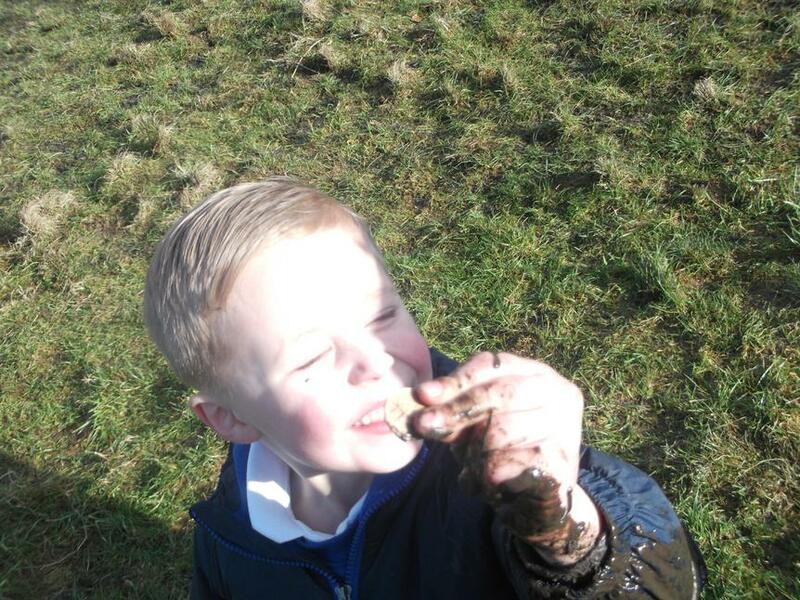 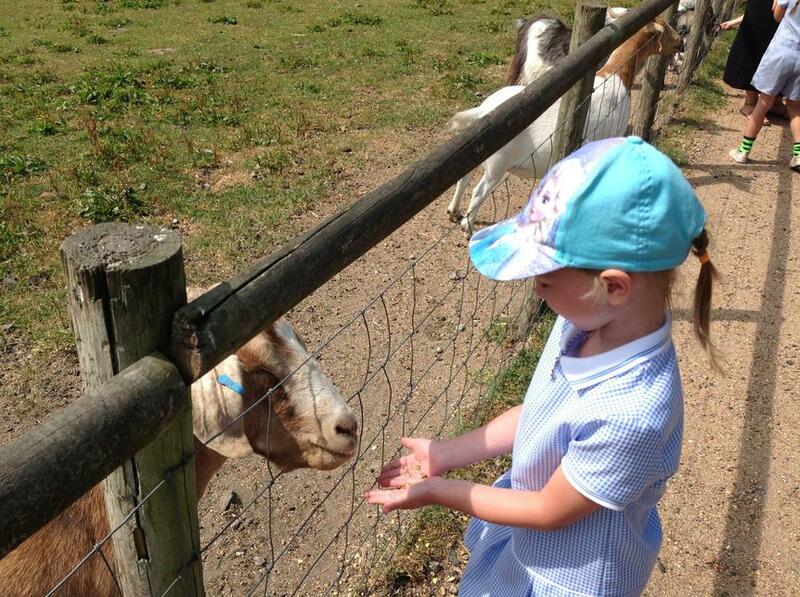 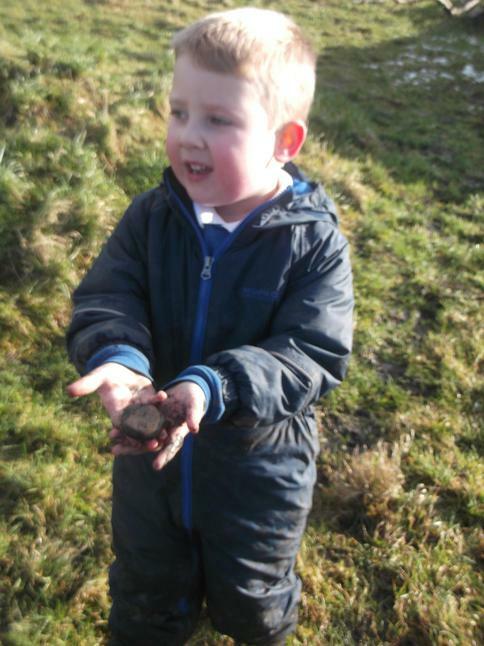 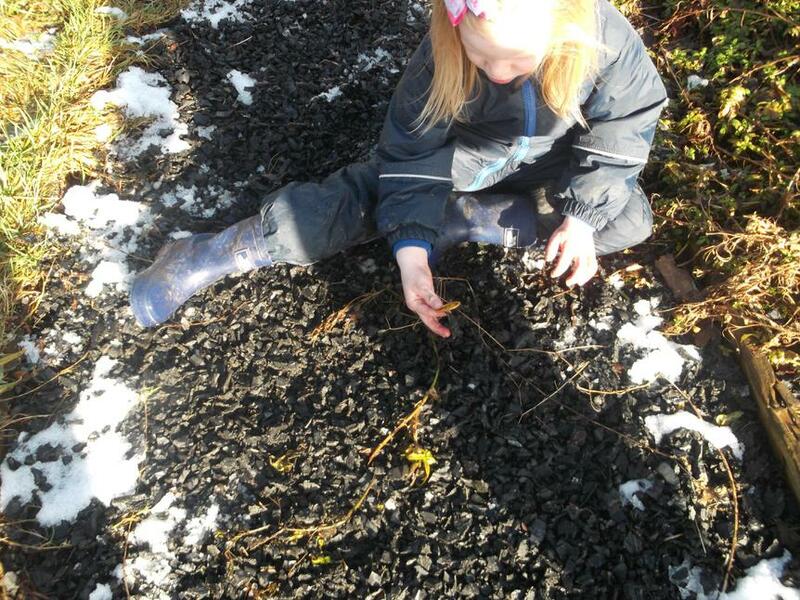 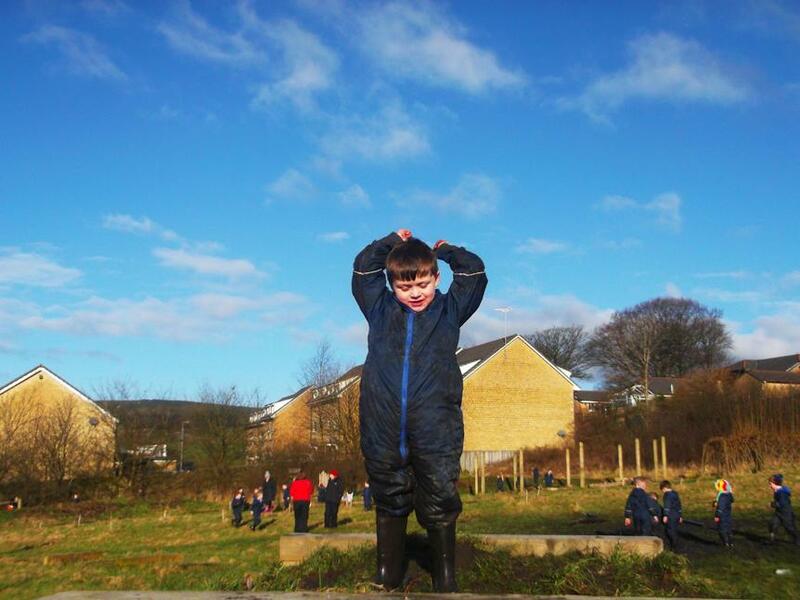 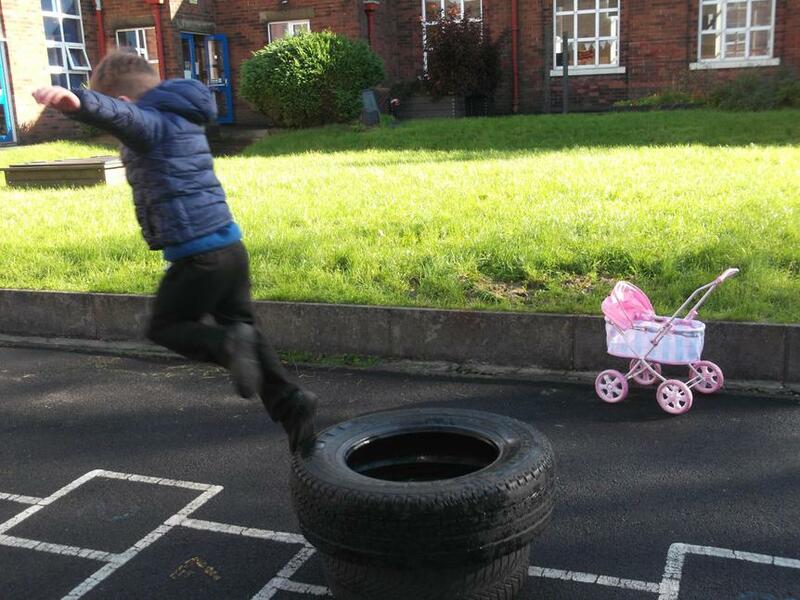 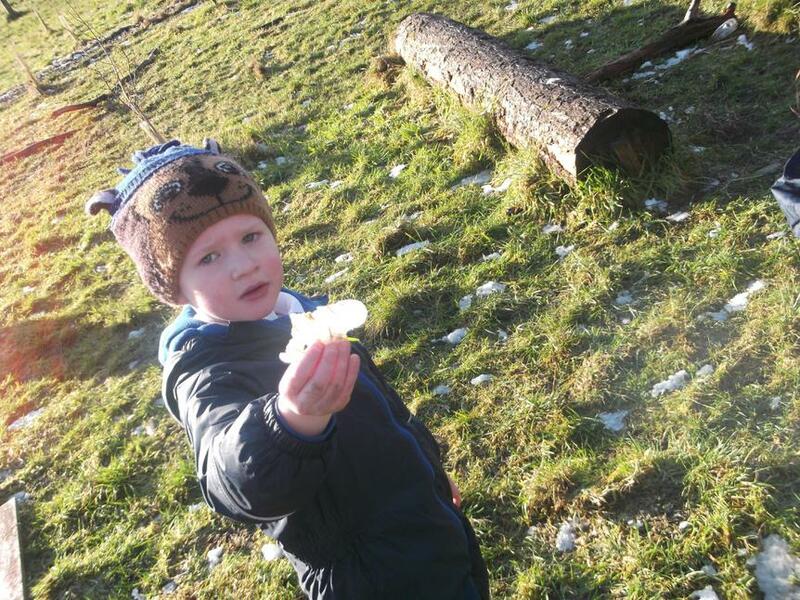 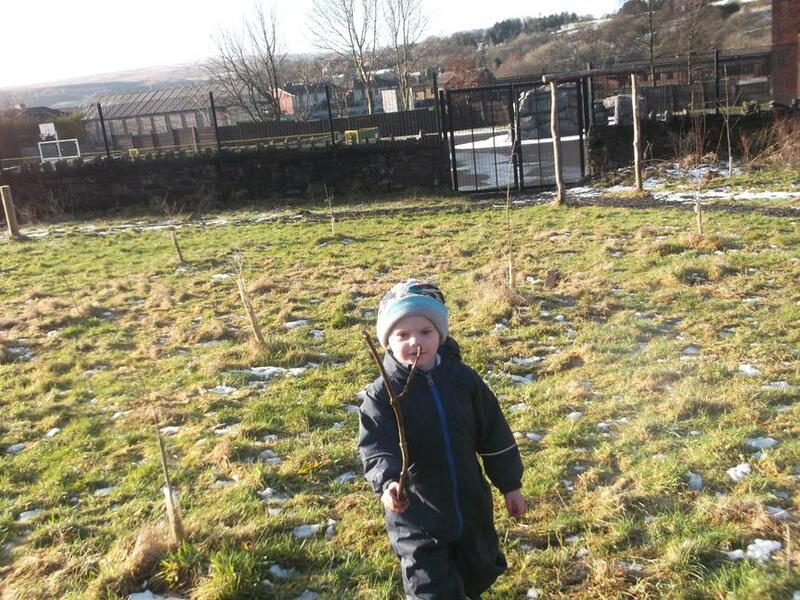 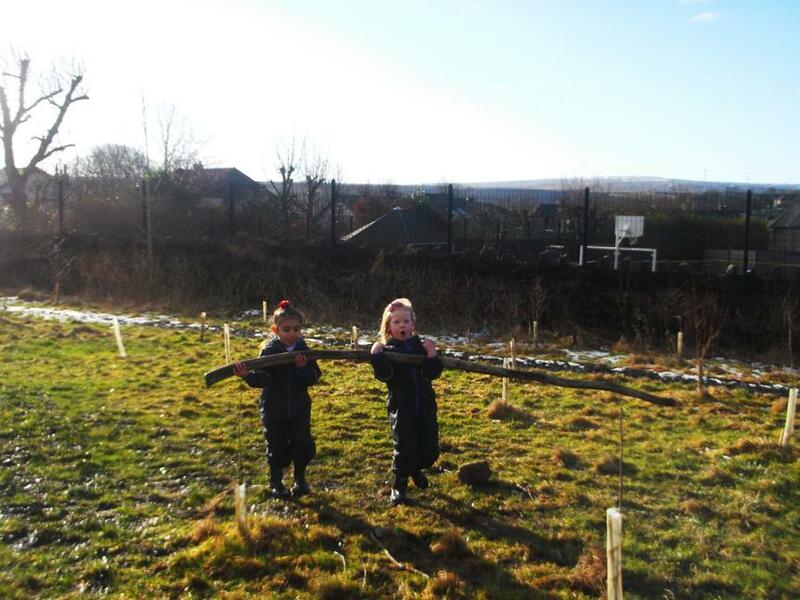 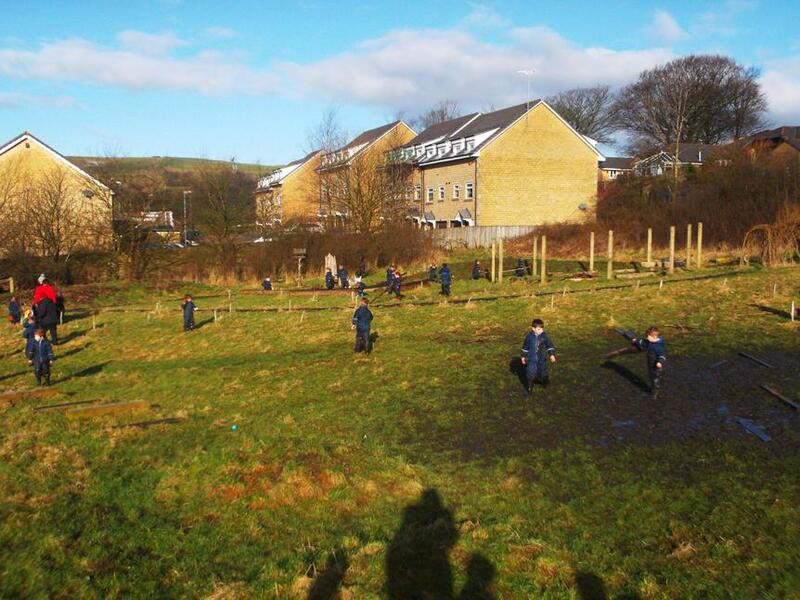 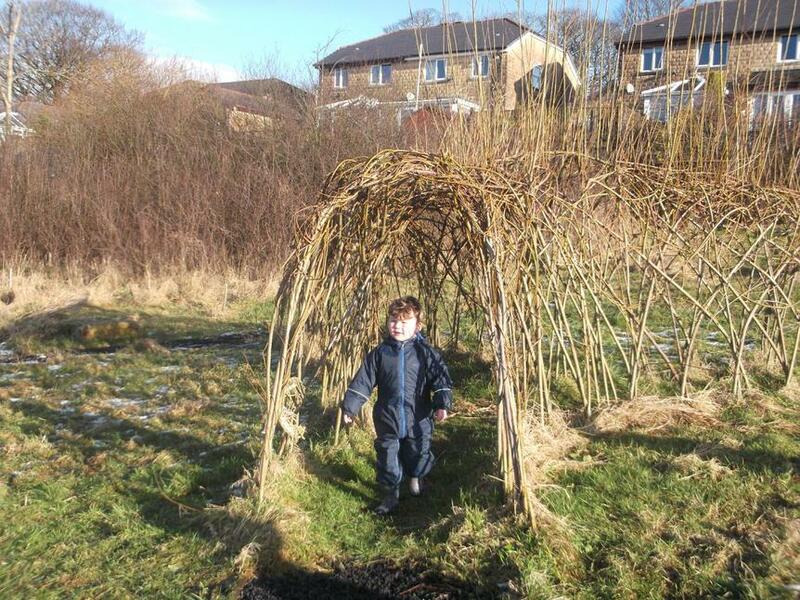 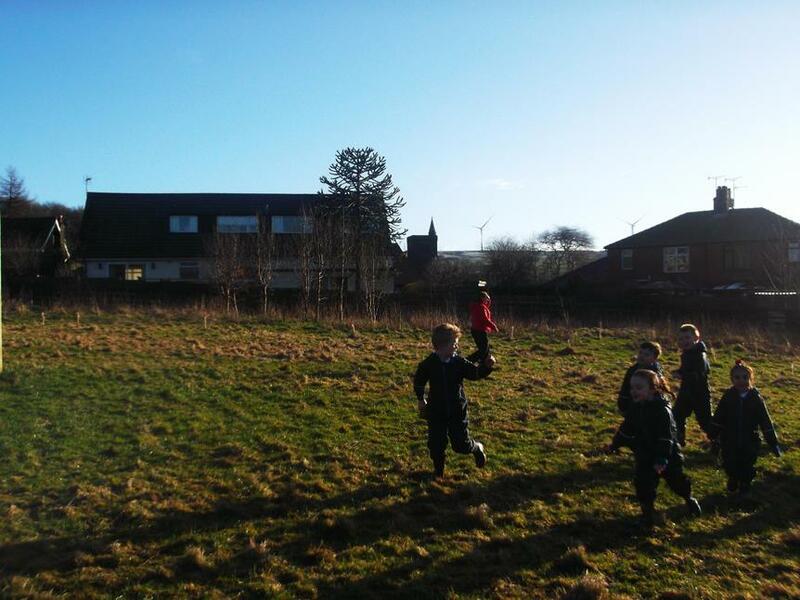 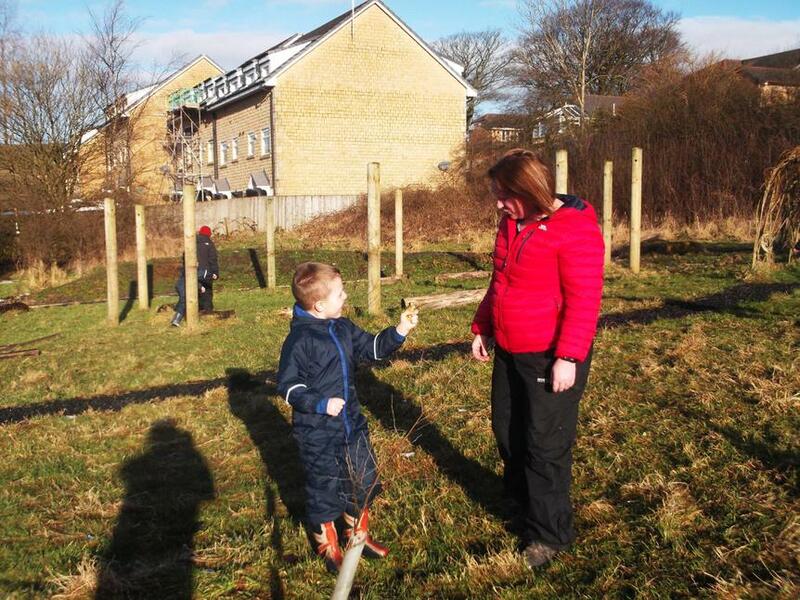 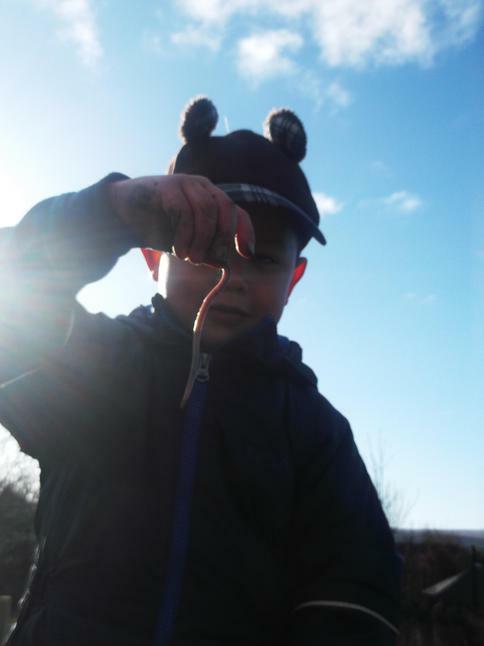 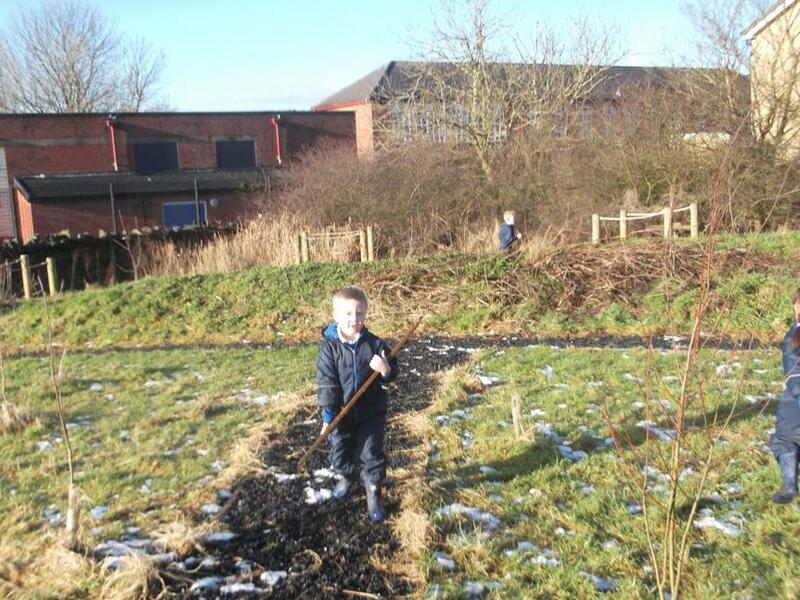 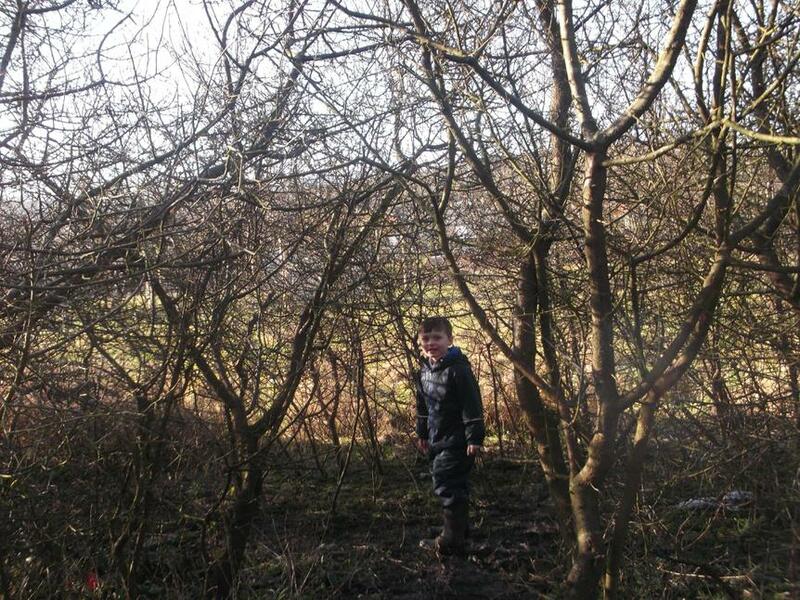 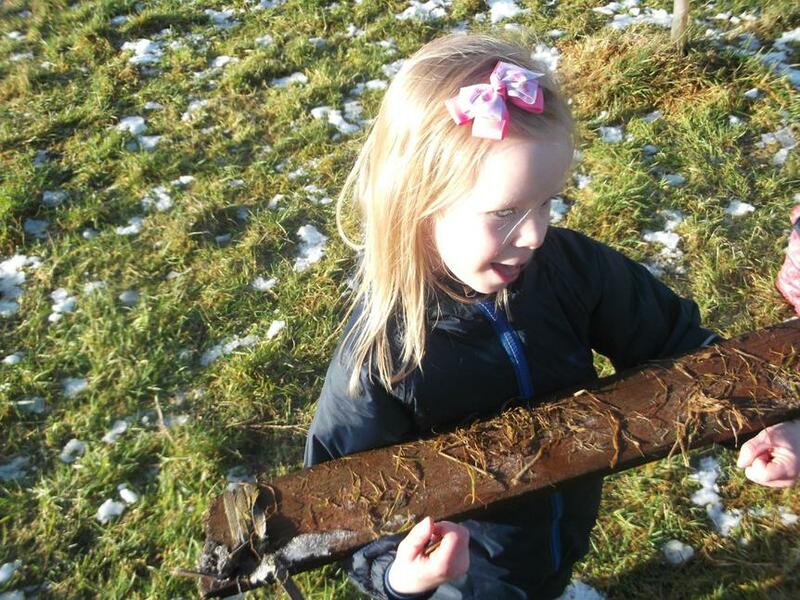 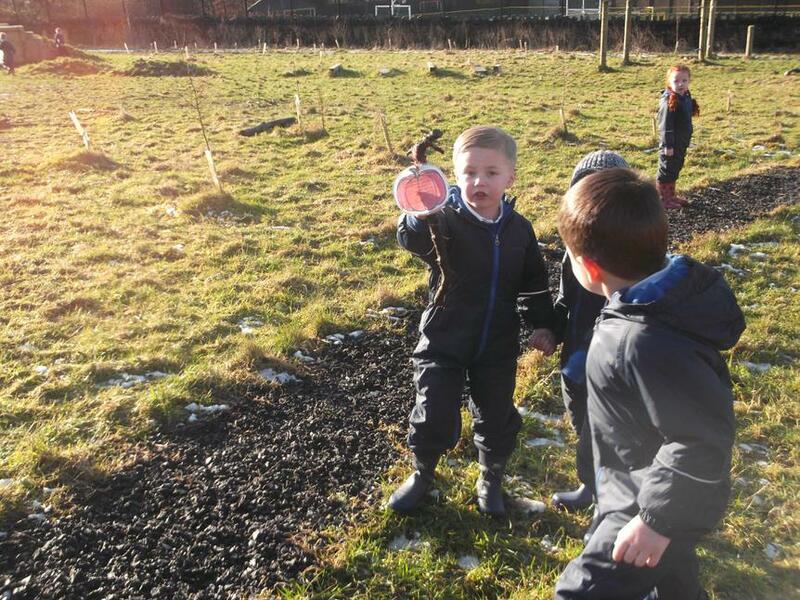 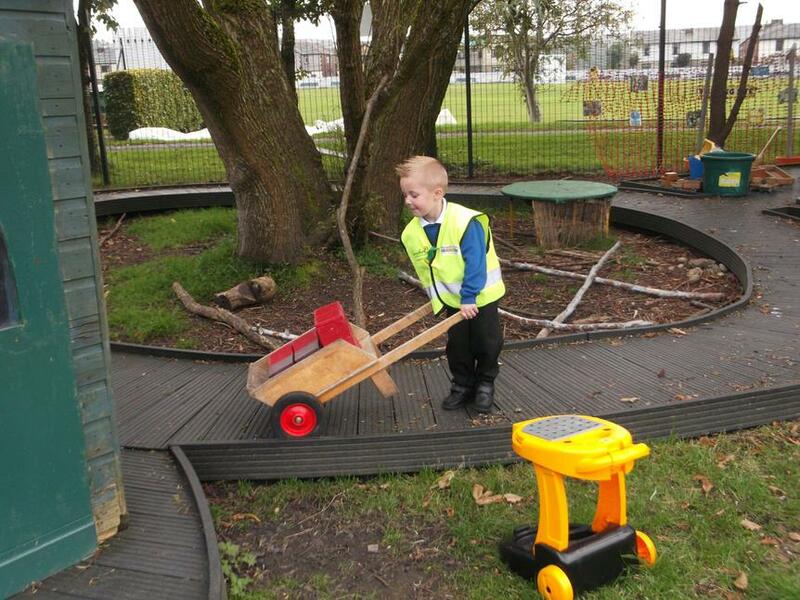 The environment plays a key role in supporting and extending children's development and learning. 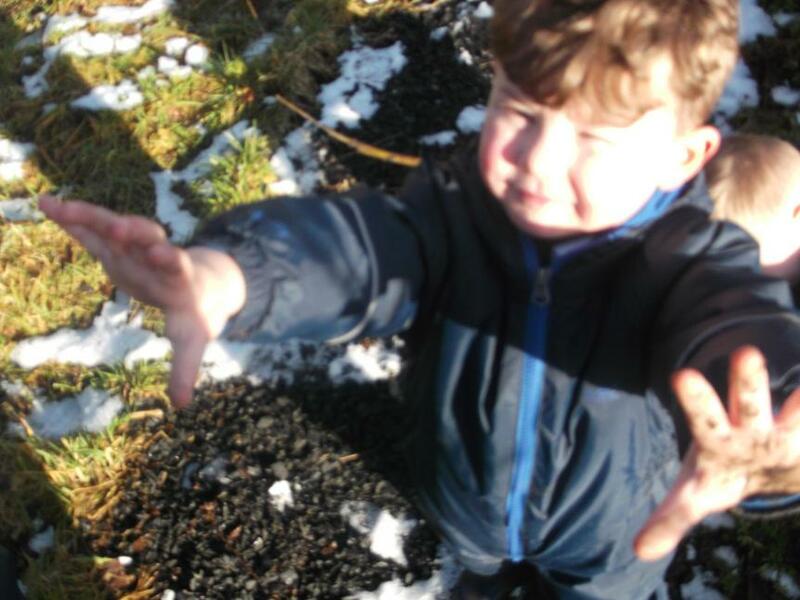 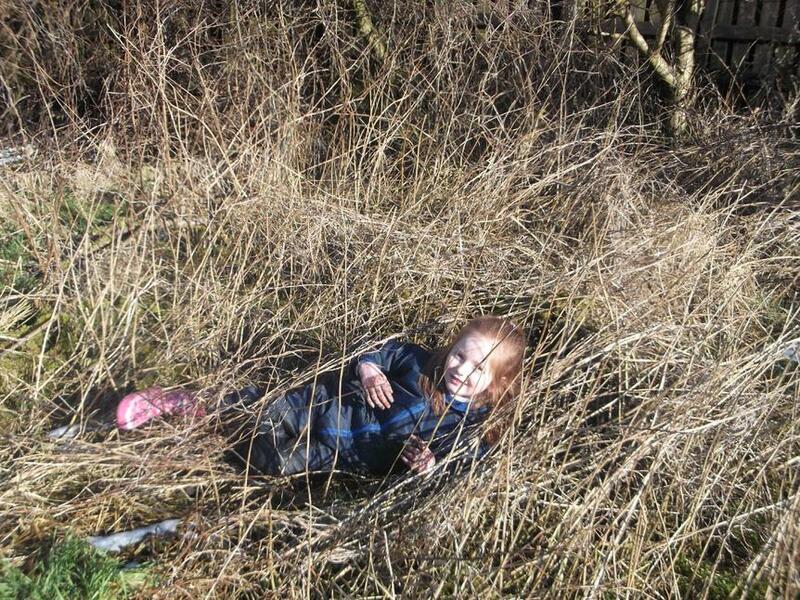 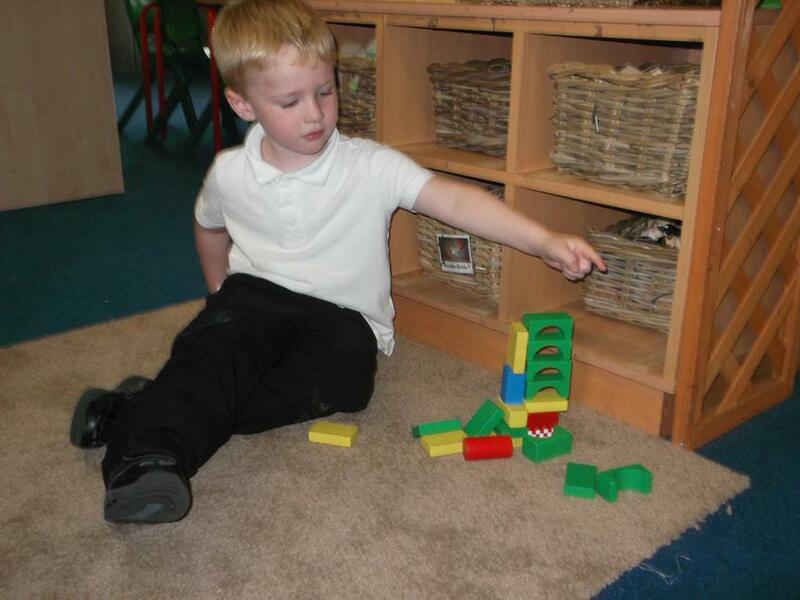 When children feel emotionally safe and secure they are able to explore and find out about the place they are in and the things they can see, touch, manoevre or manipulate. 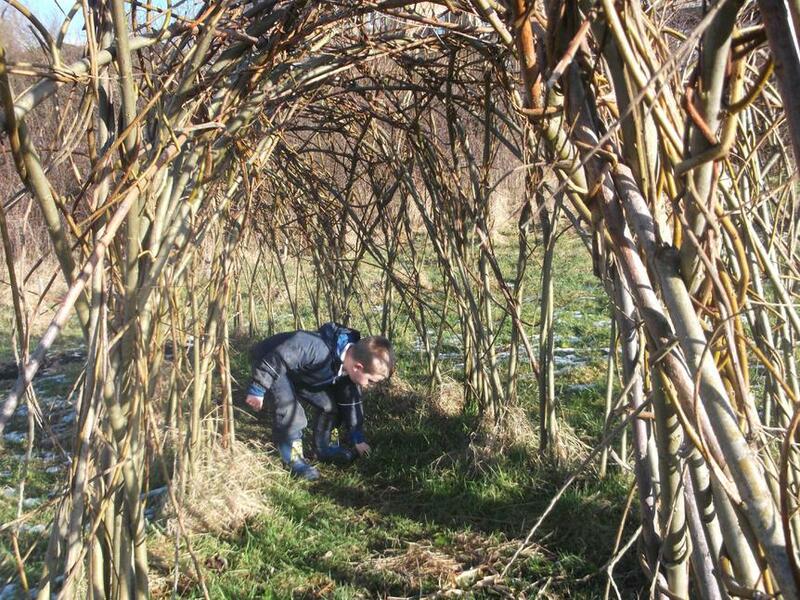 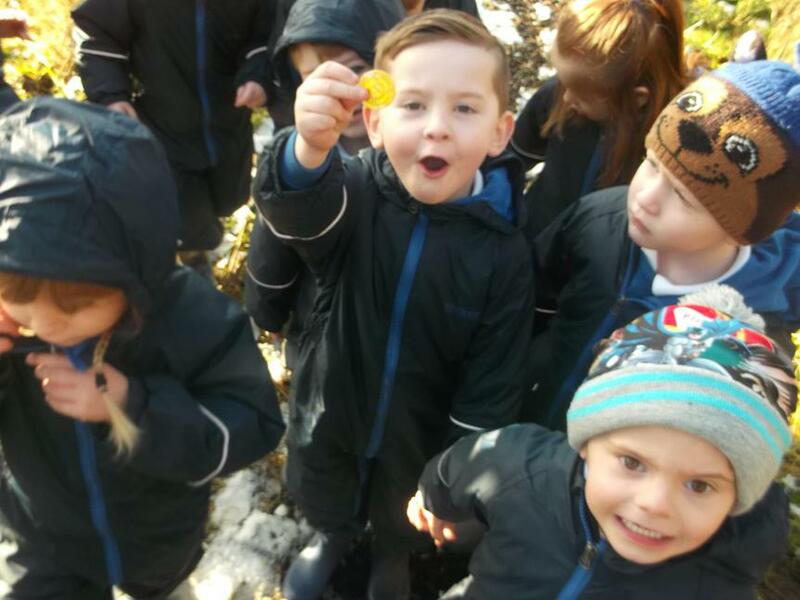 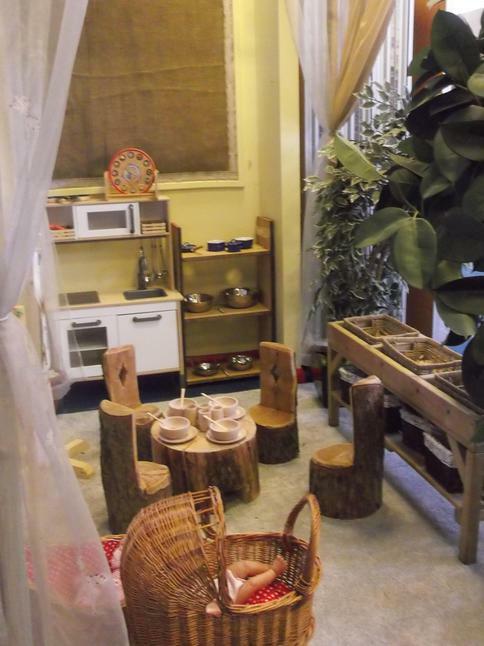 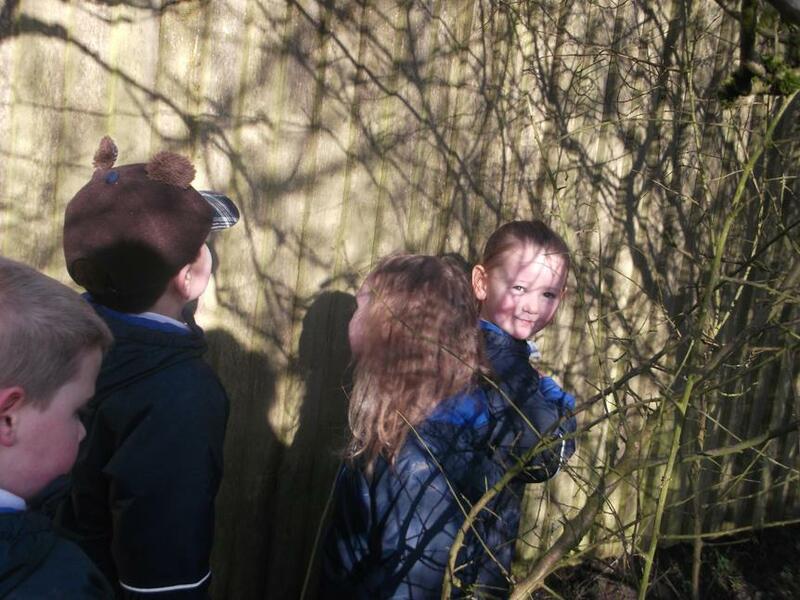 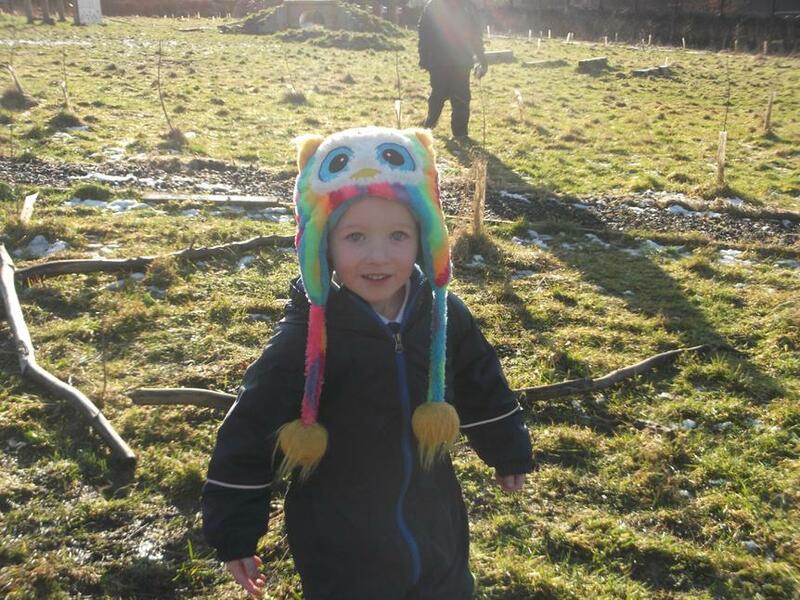 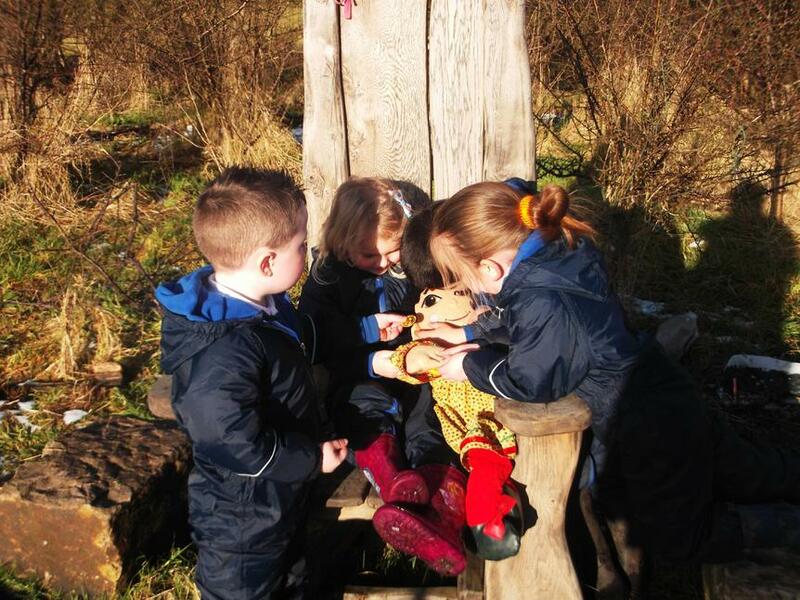 In the EYFS the environment is described in terms of three aspects: The emotional environment, the outdoor environment, the indoor environment. 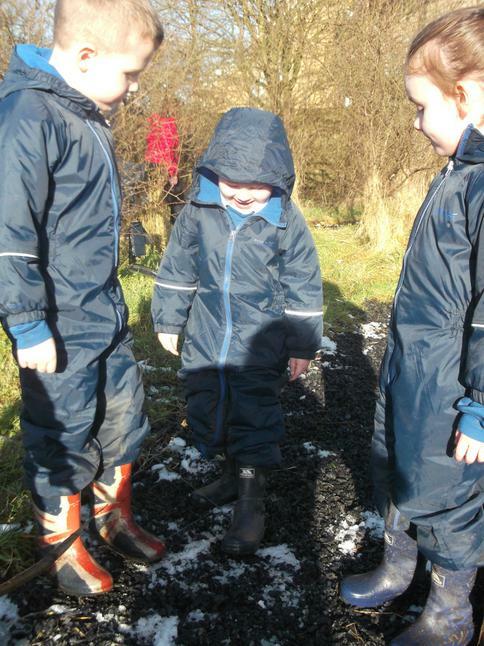 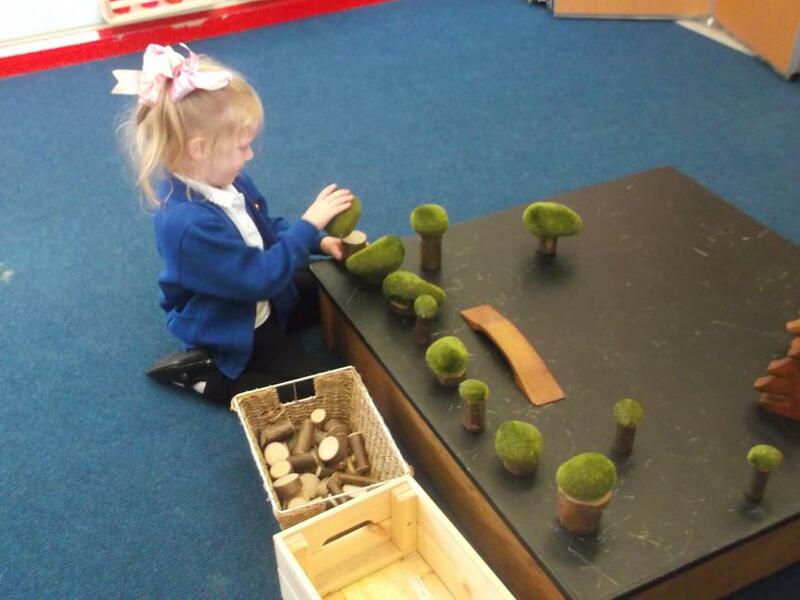 These three aspects of the environment together make up the environment for learning in the EYFS. 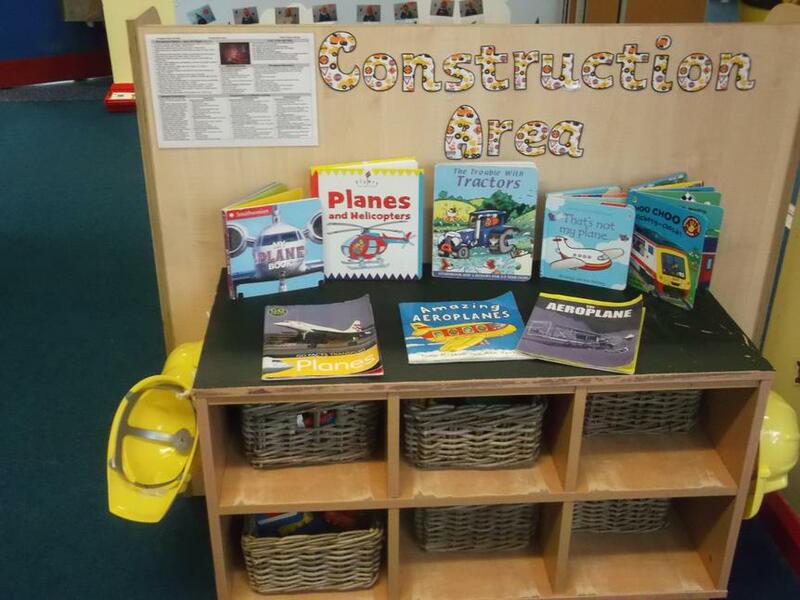 At Thorn Primary School our vision is that all children are taught in a stimulating learning environment with high quality resources. 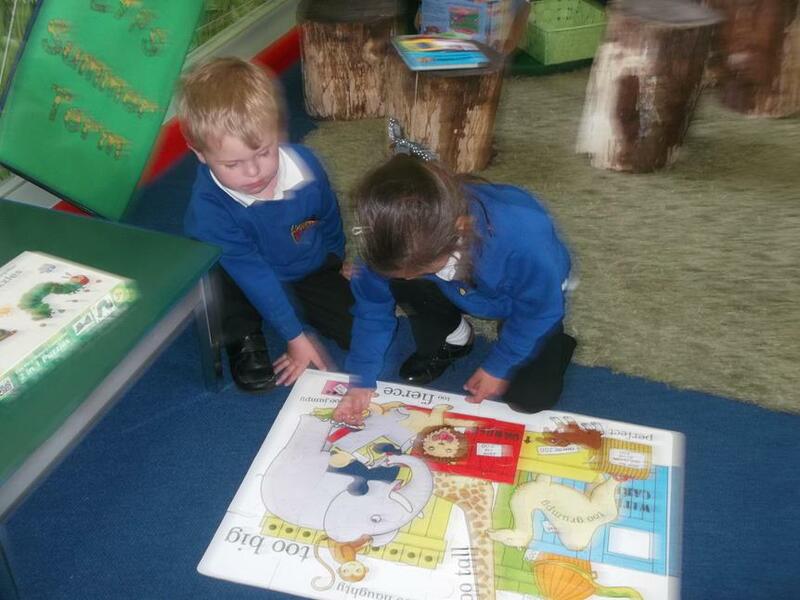 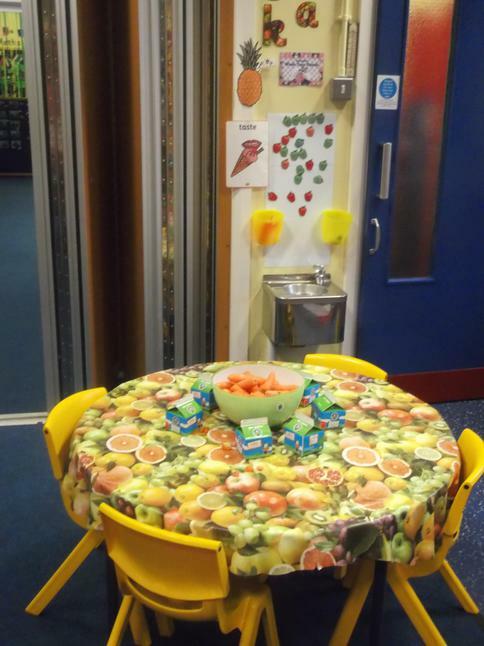 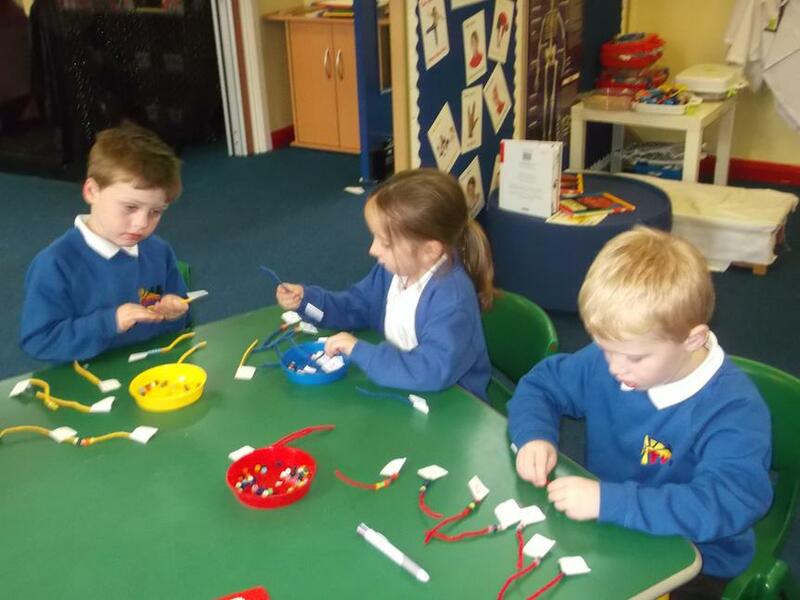 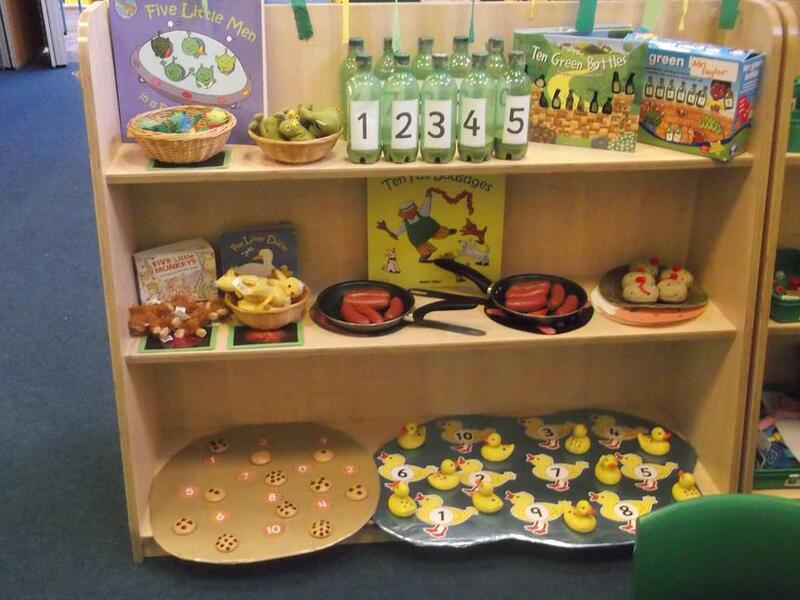 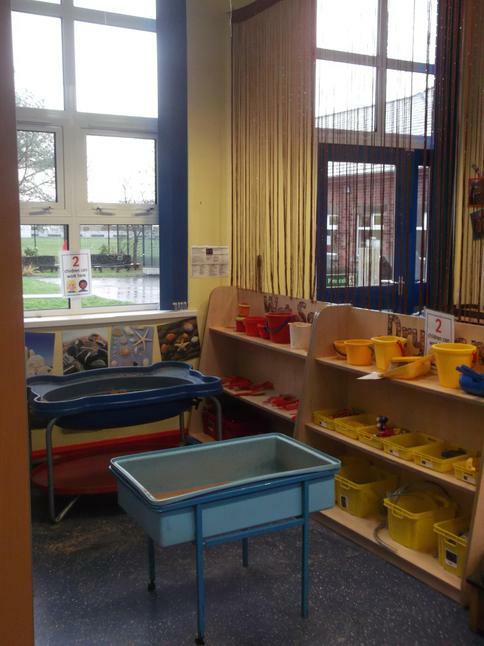 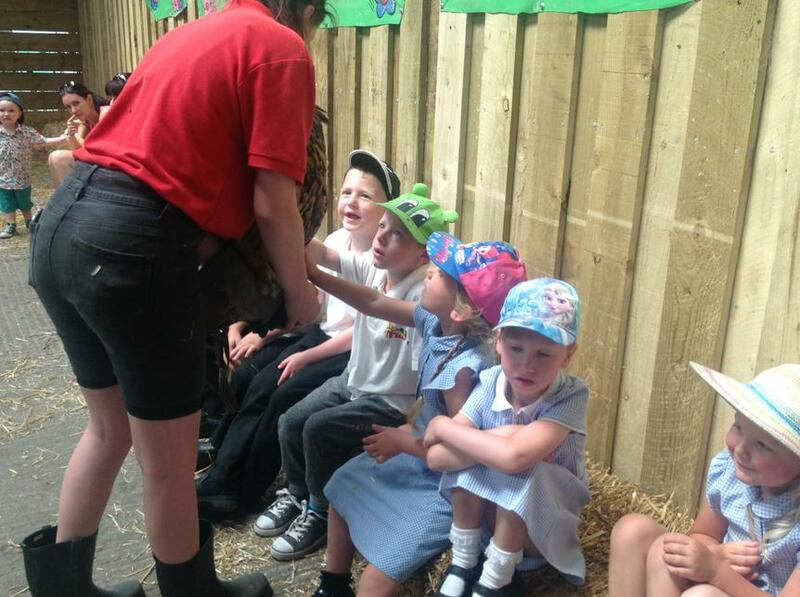 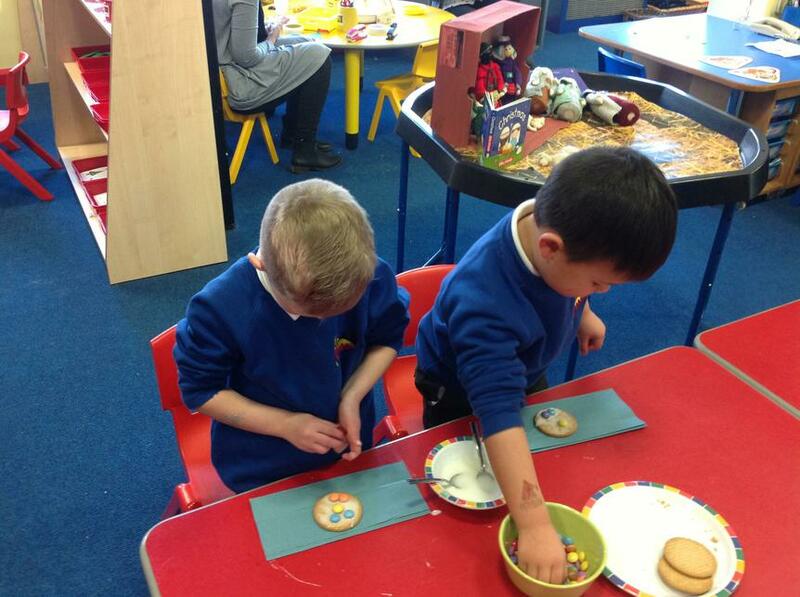 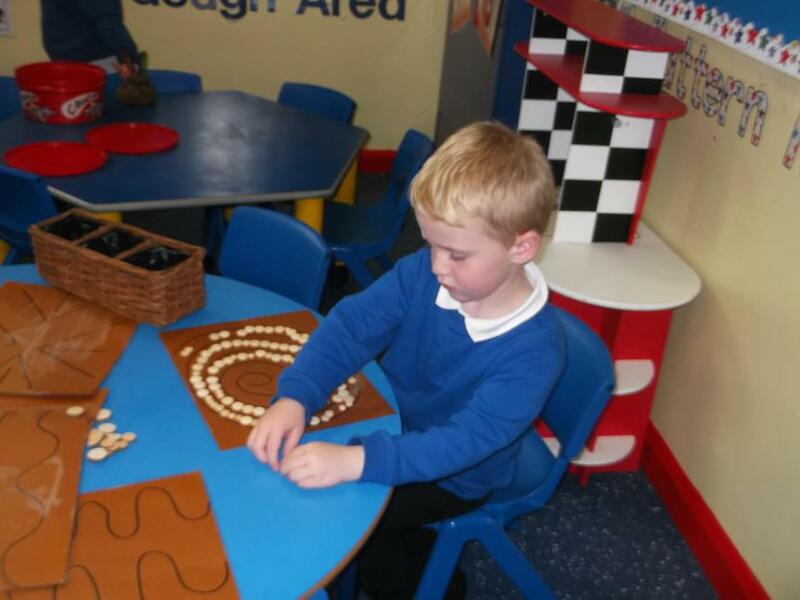 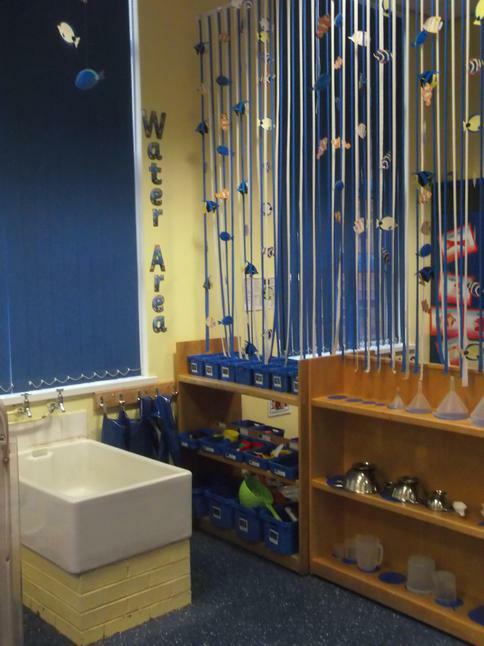 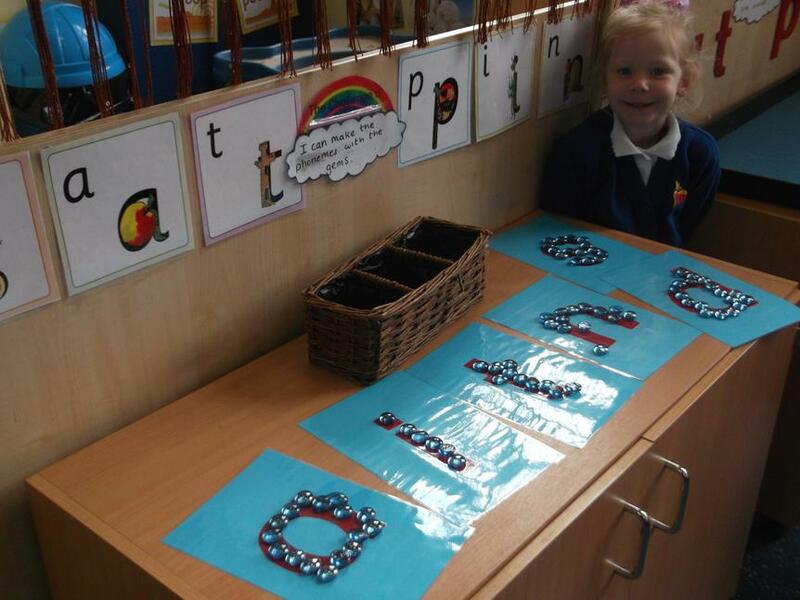 Our Reception class is organised into separate areas. 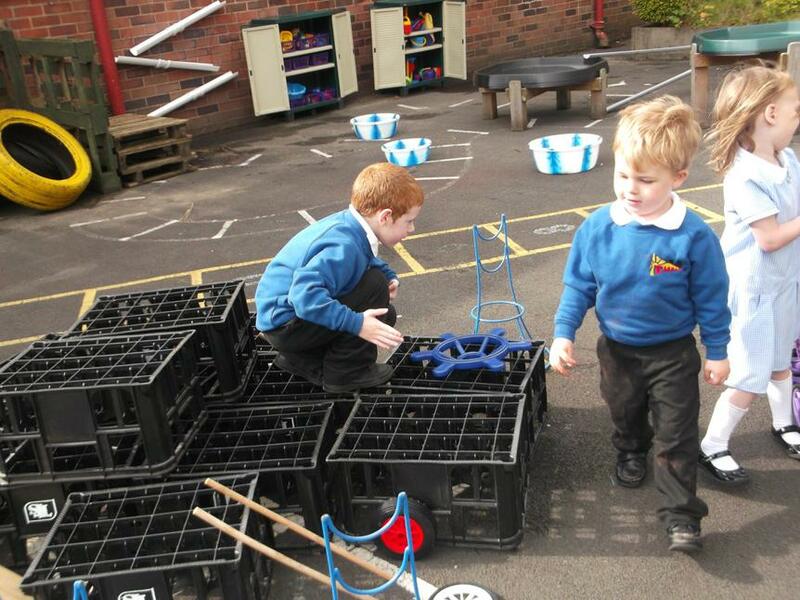 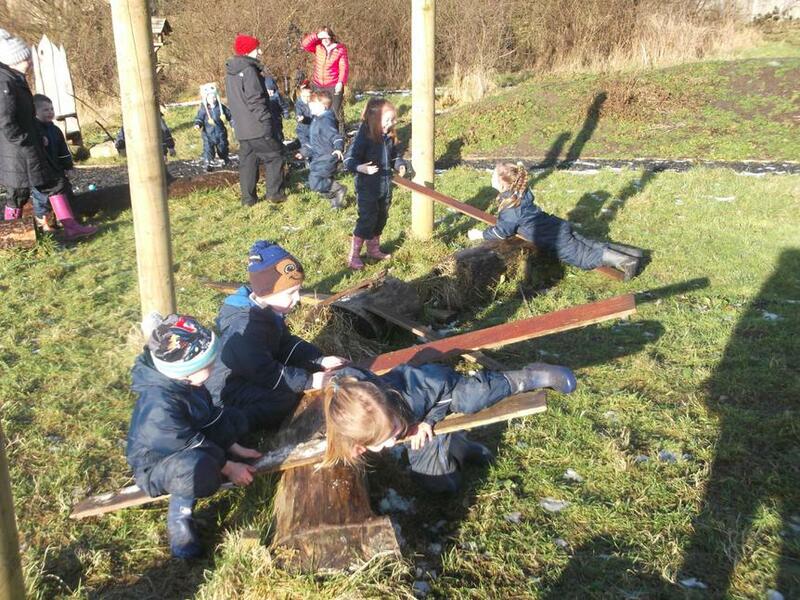 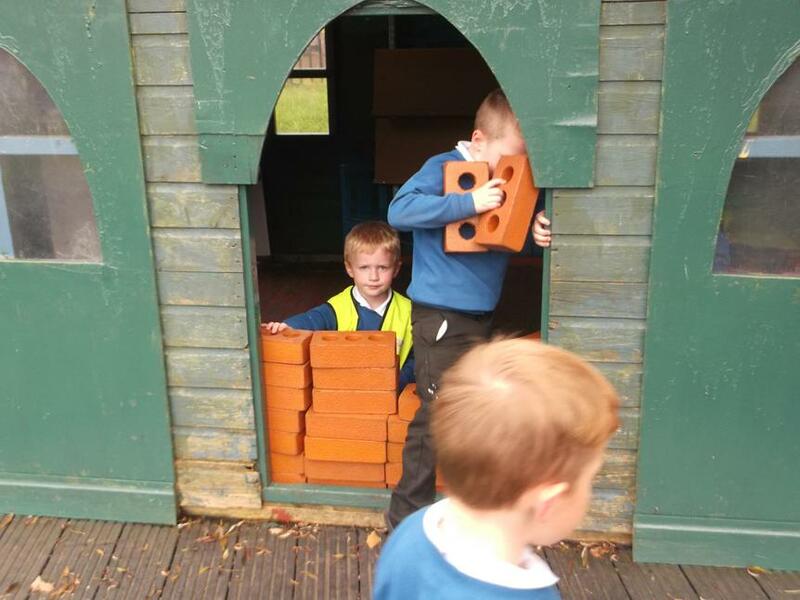 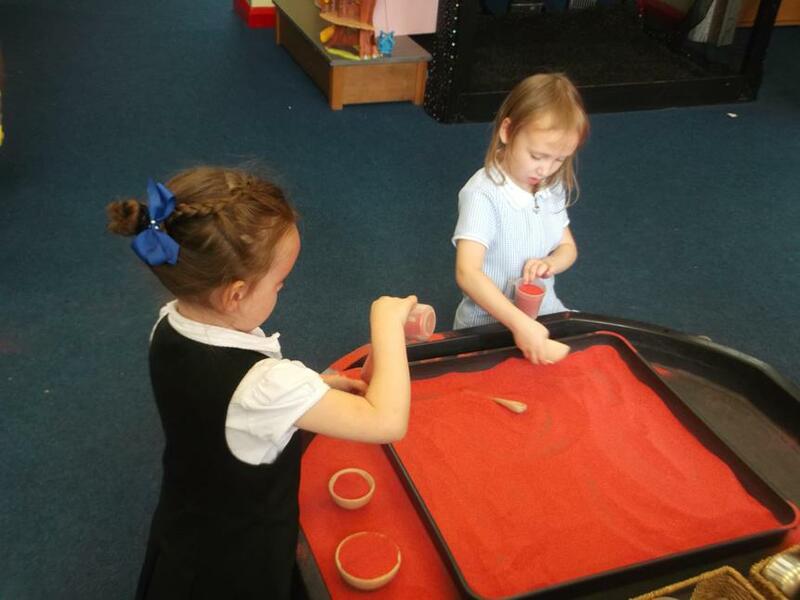 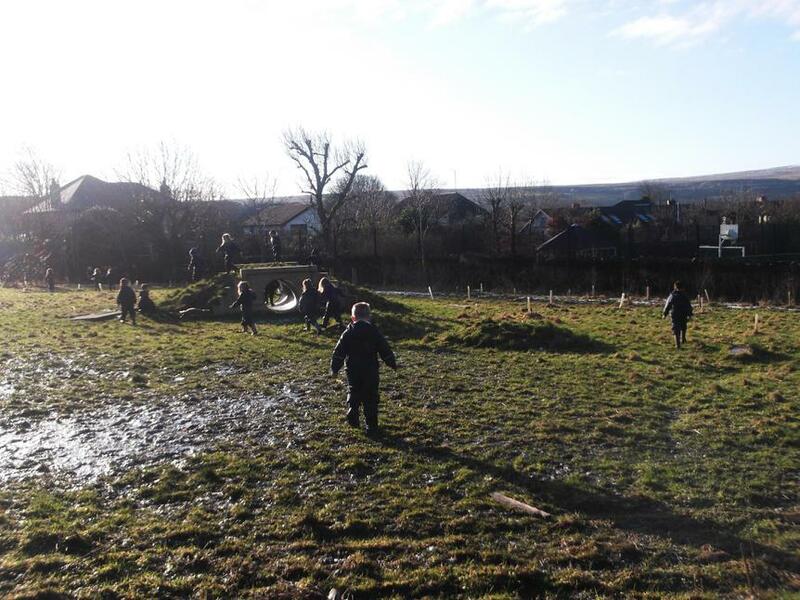 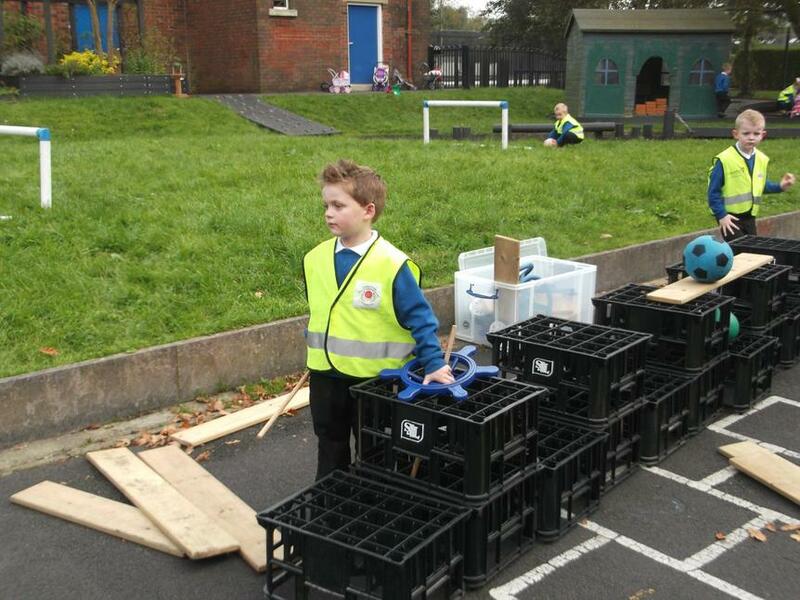 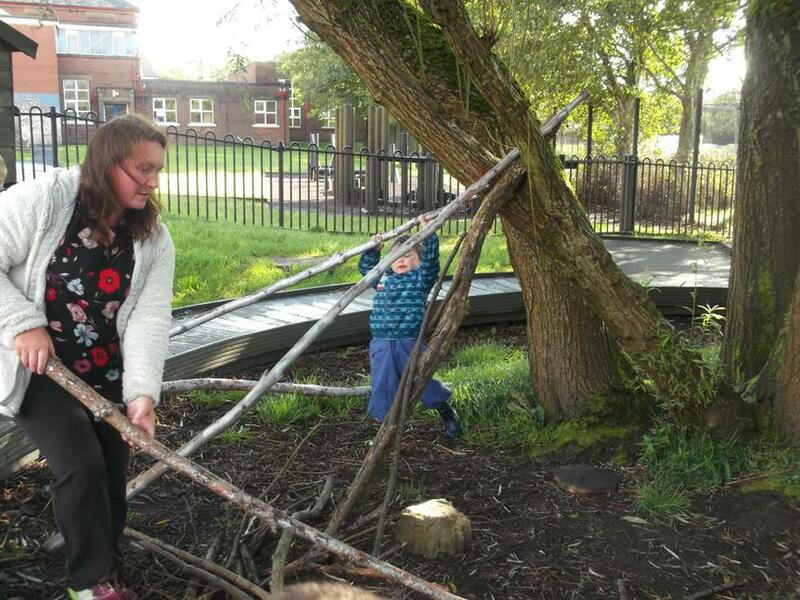 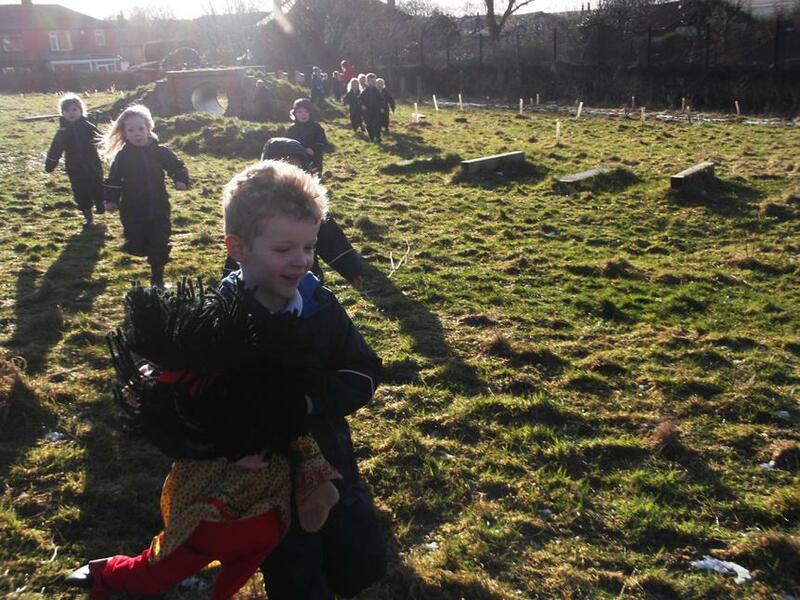 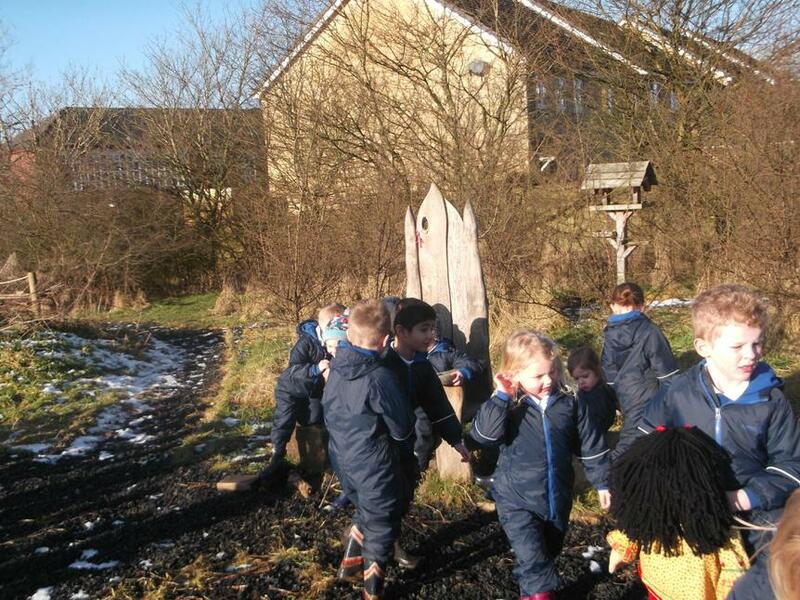 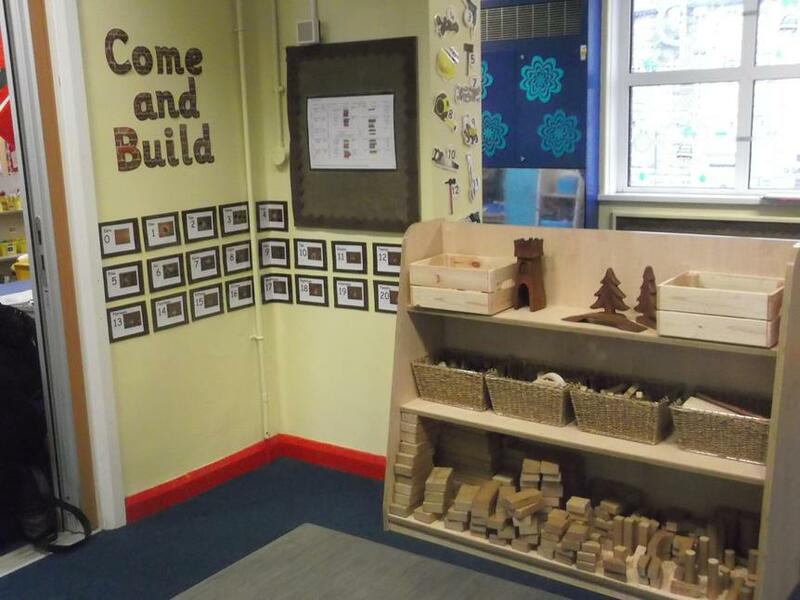 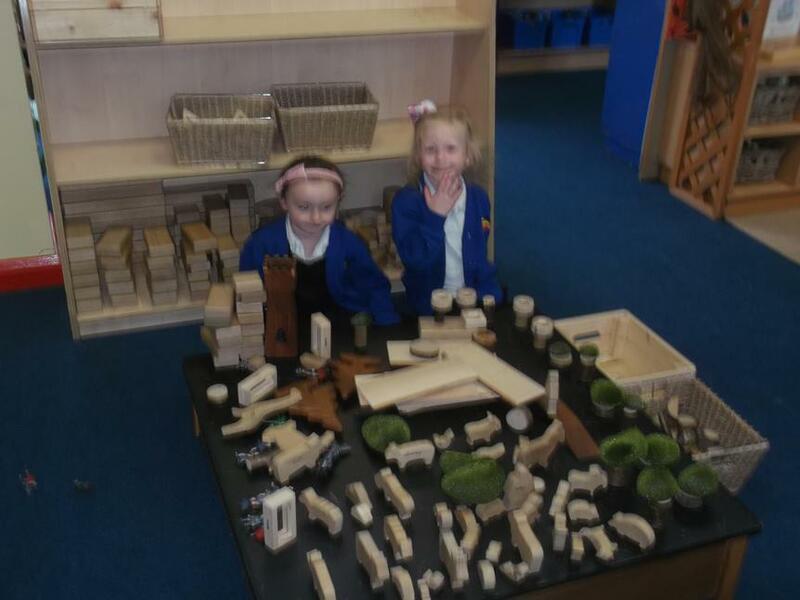 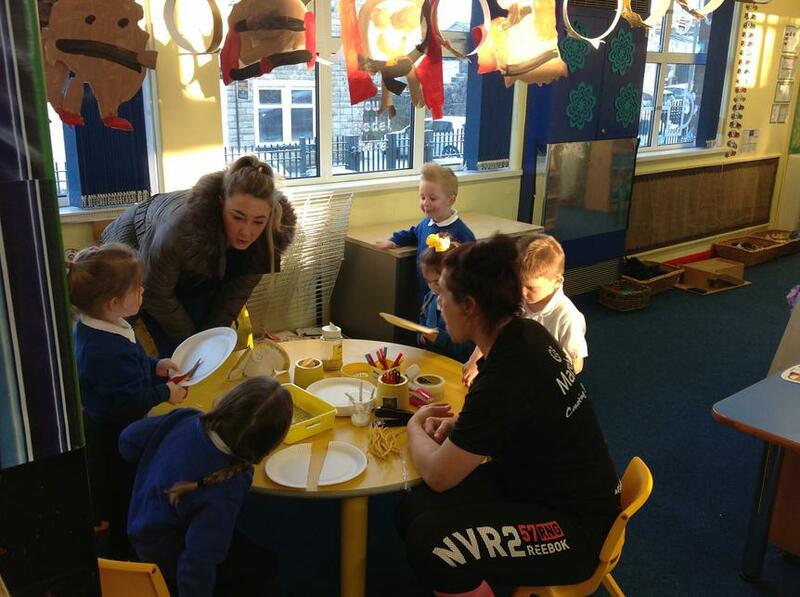 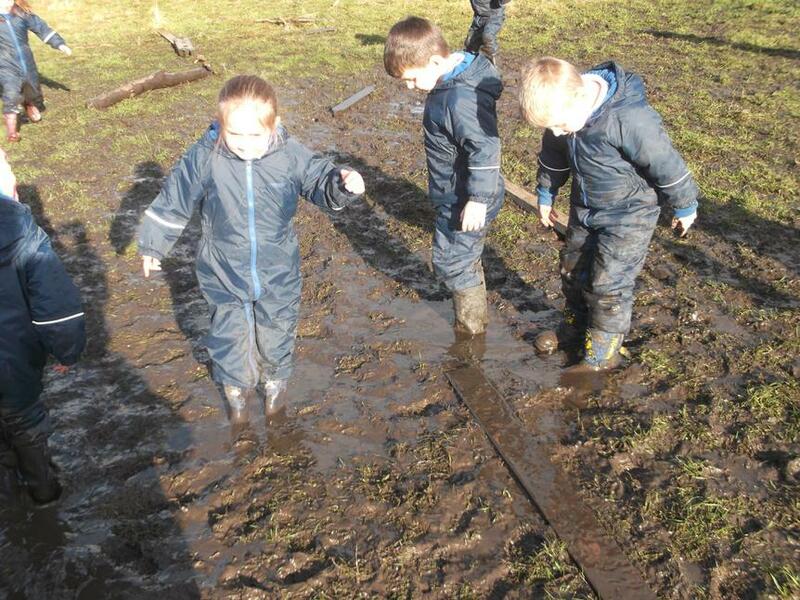 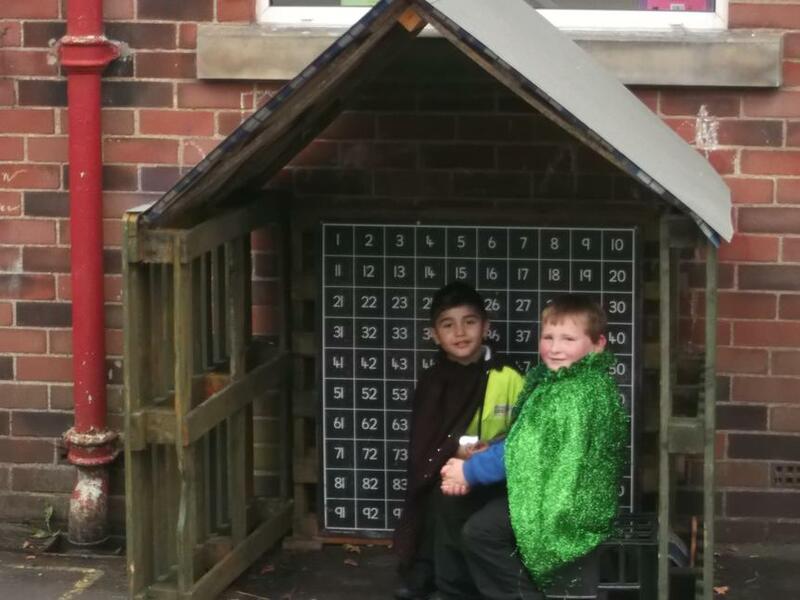 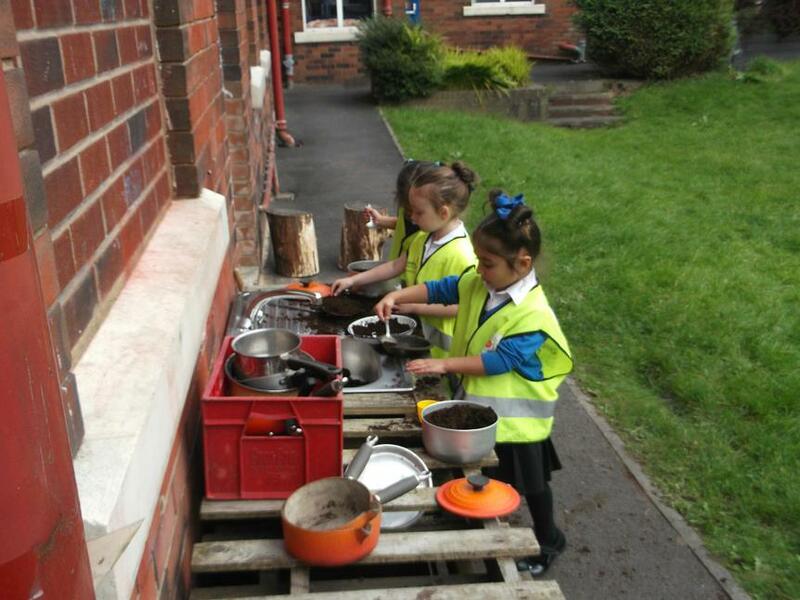 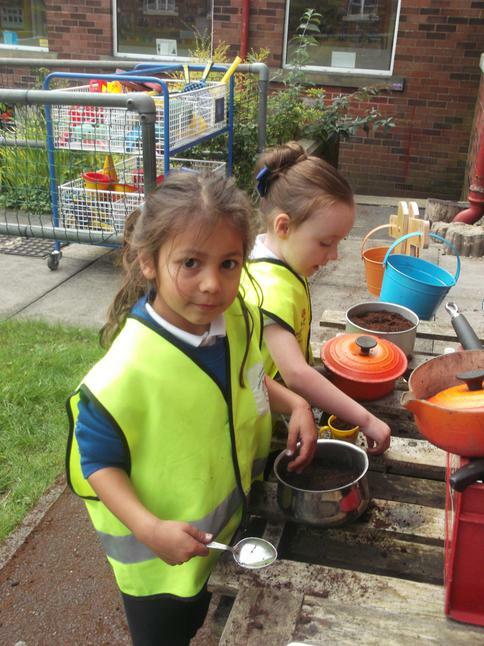 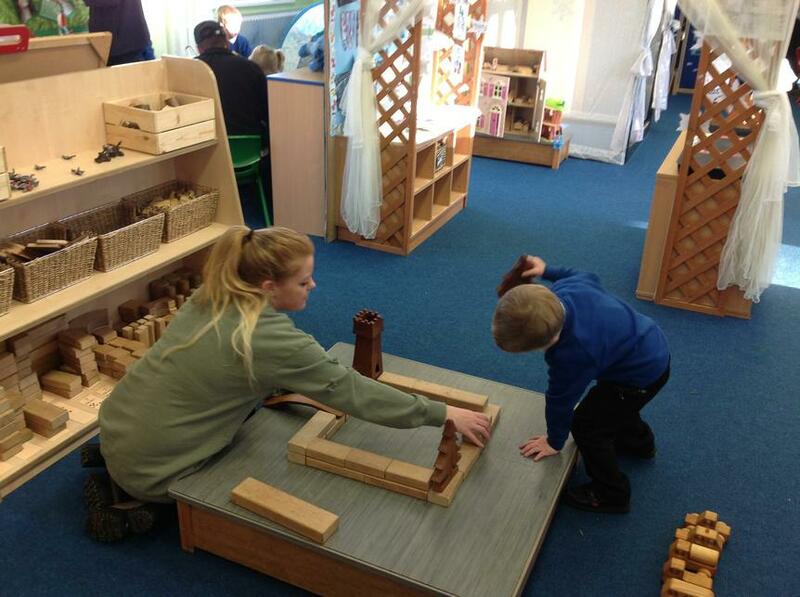 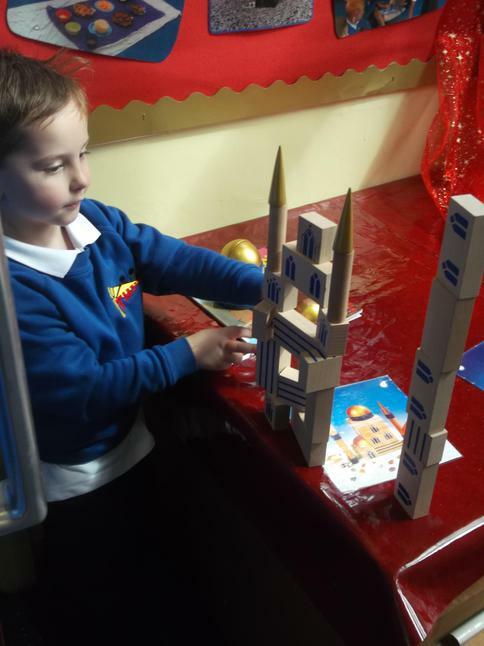 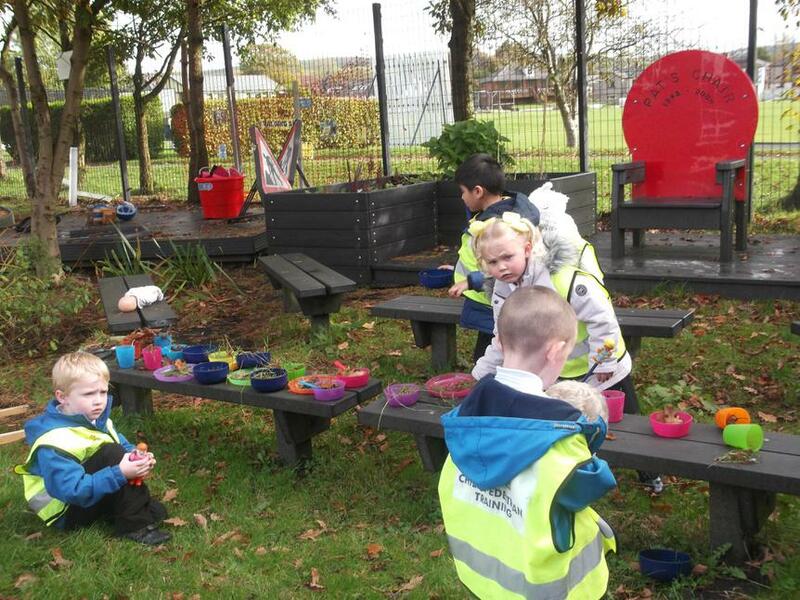 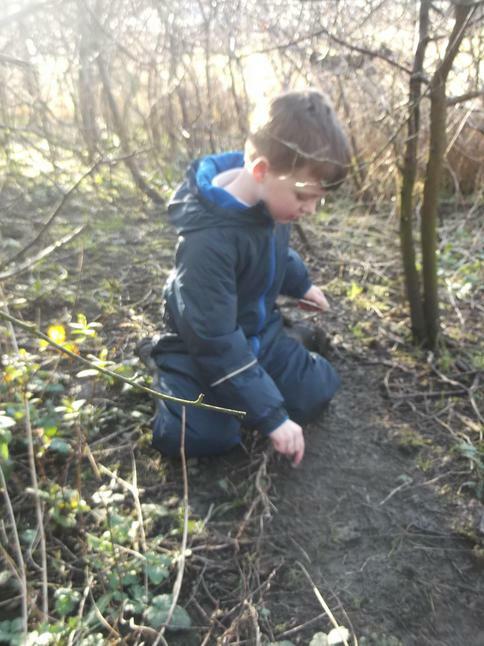 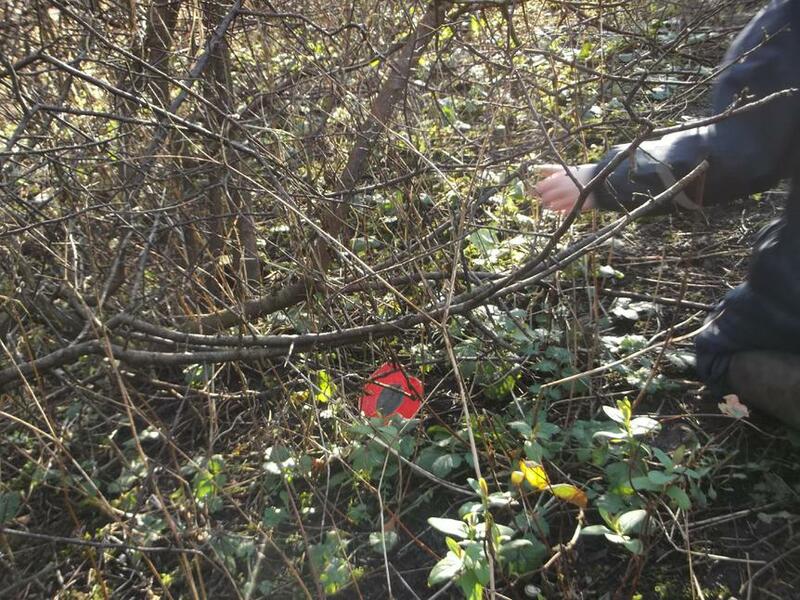 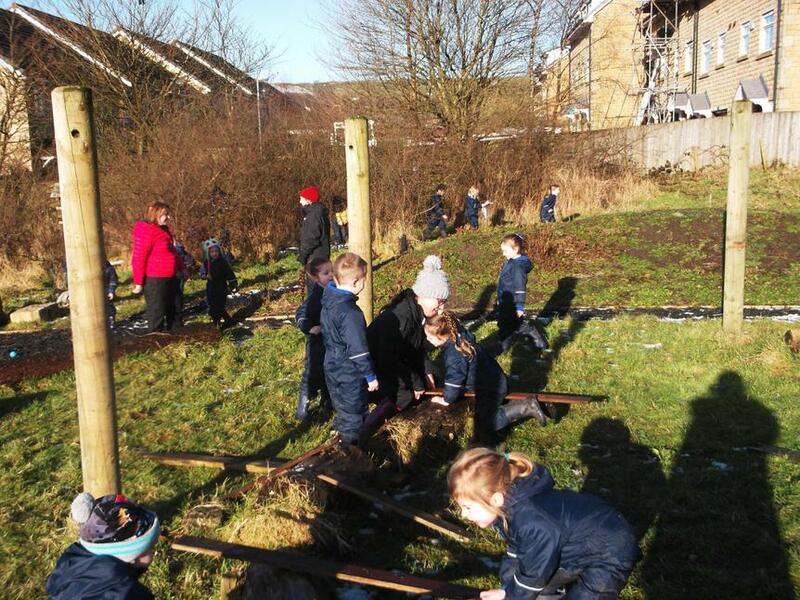 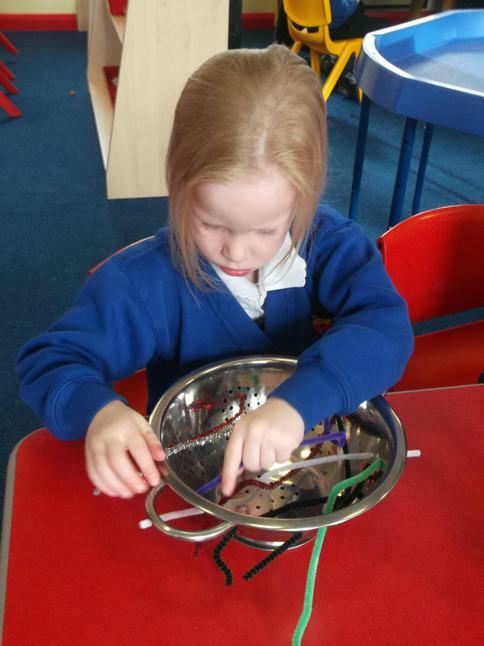 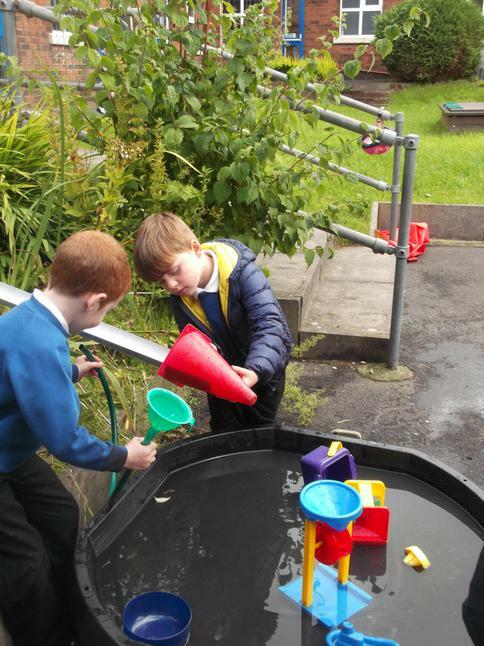 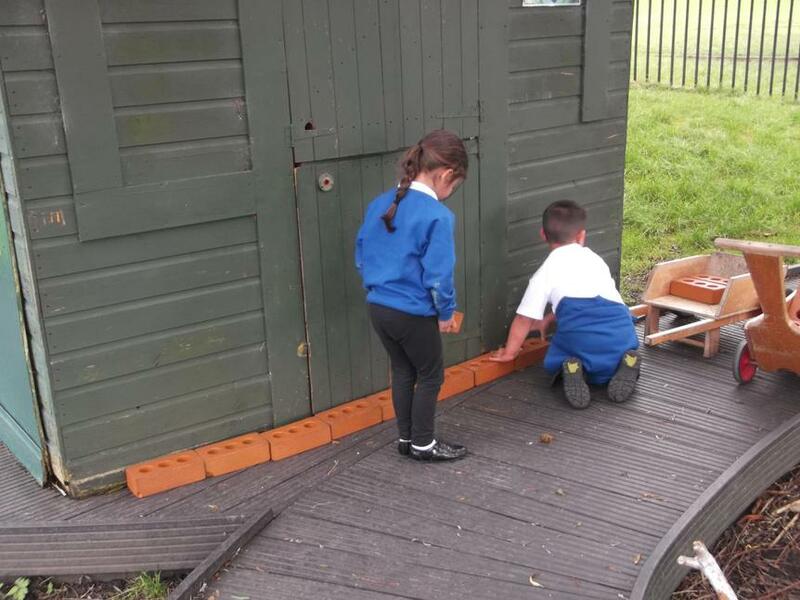 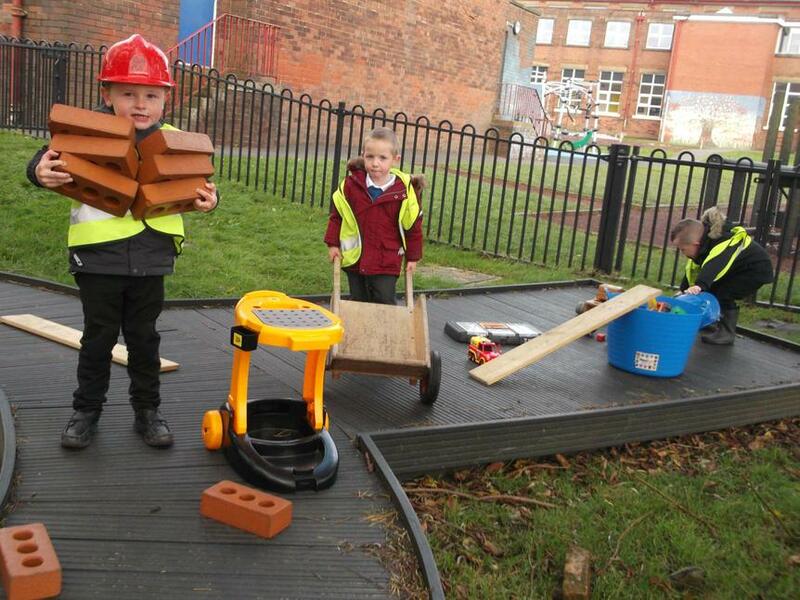 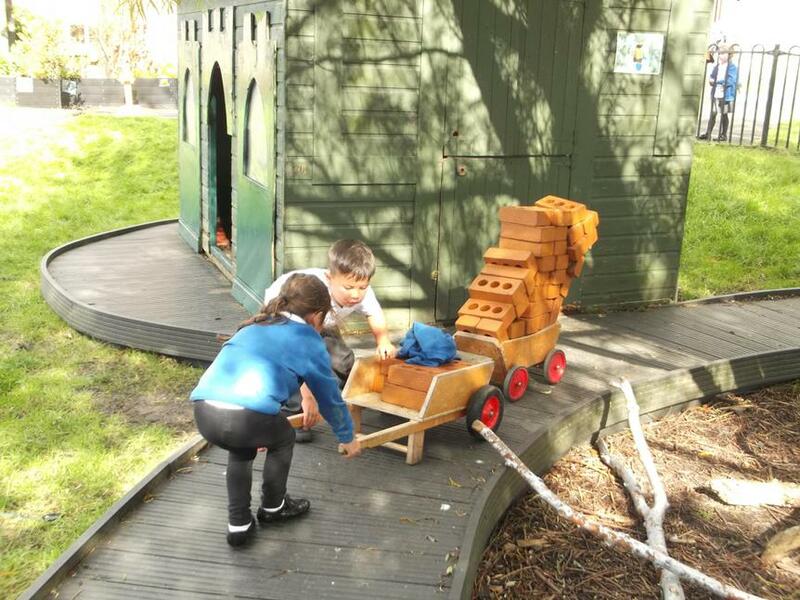 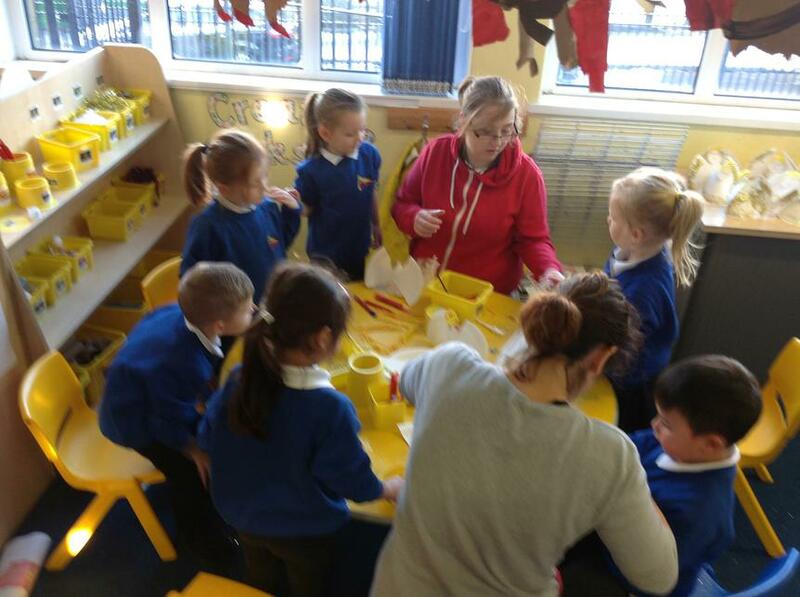 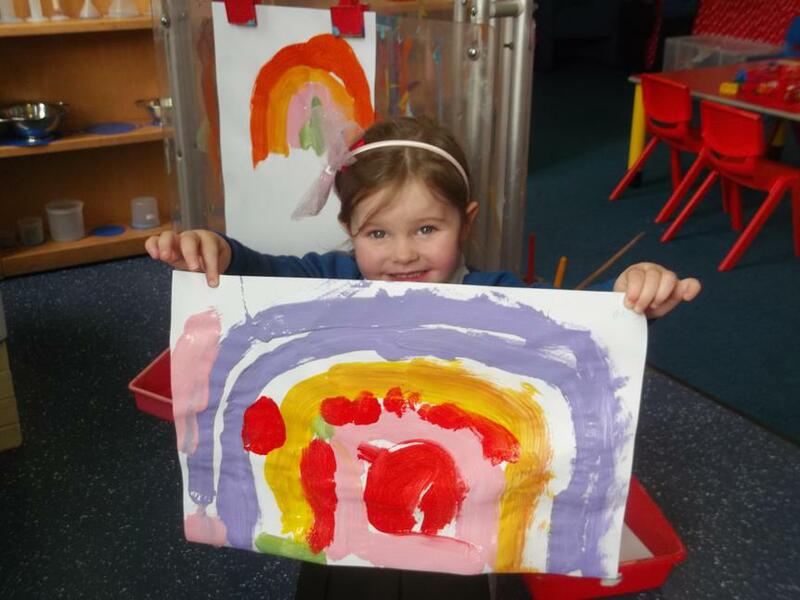 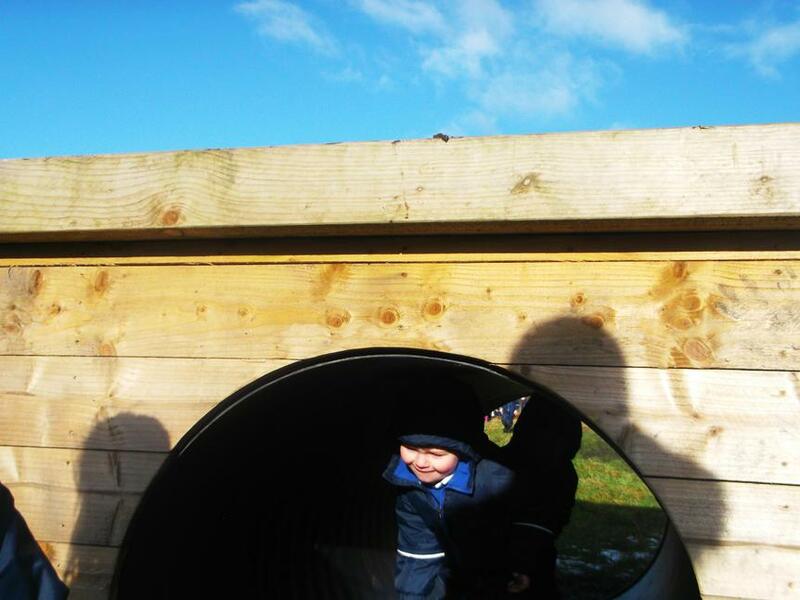 Each of the areas are carefully planned and resourced in order to provide the children with many difference learning opportunities in their play. 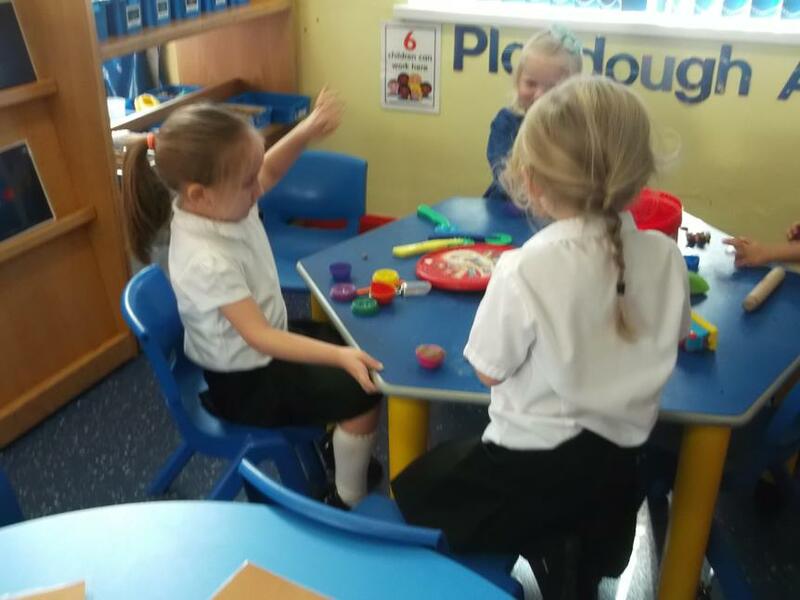 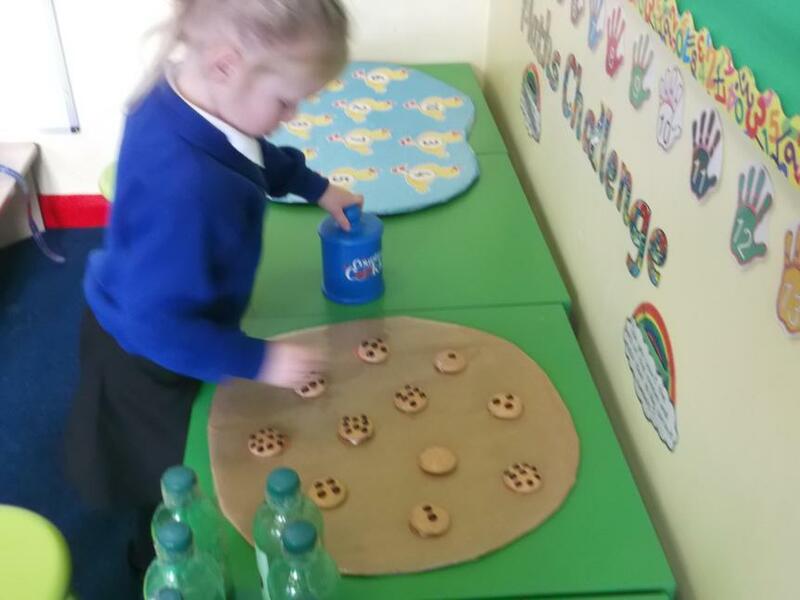 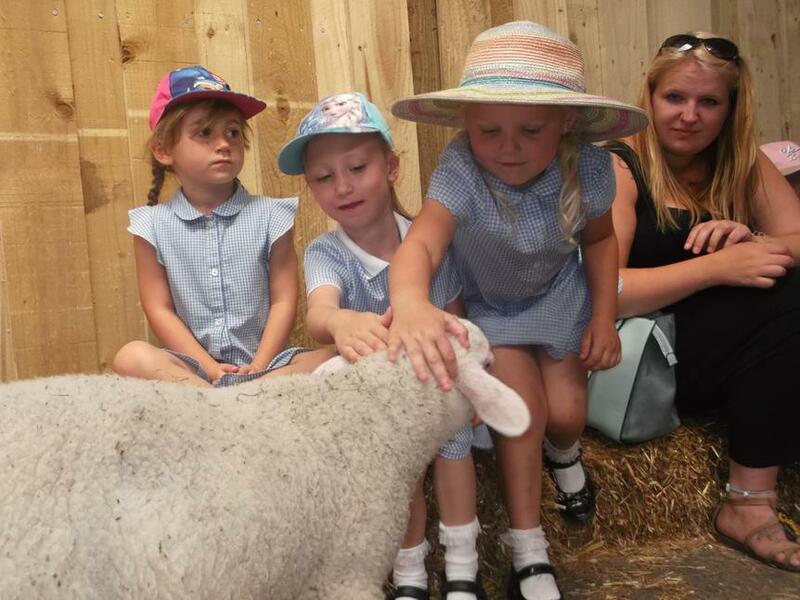 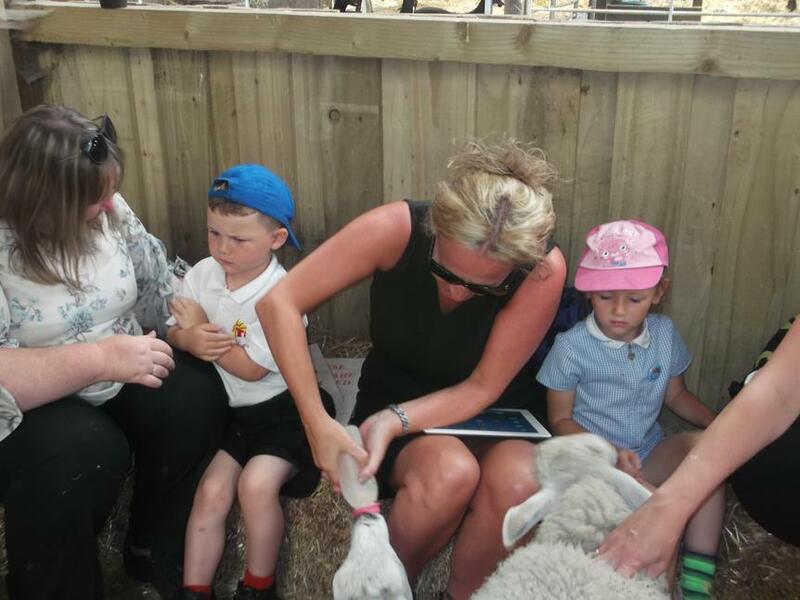 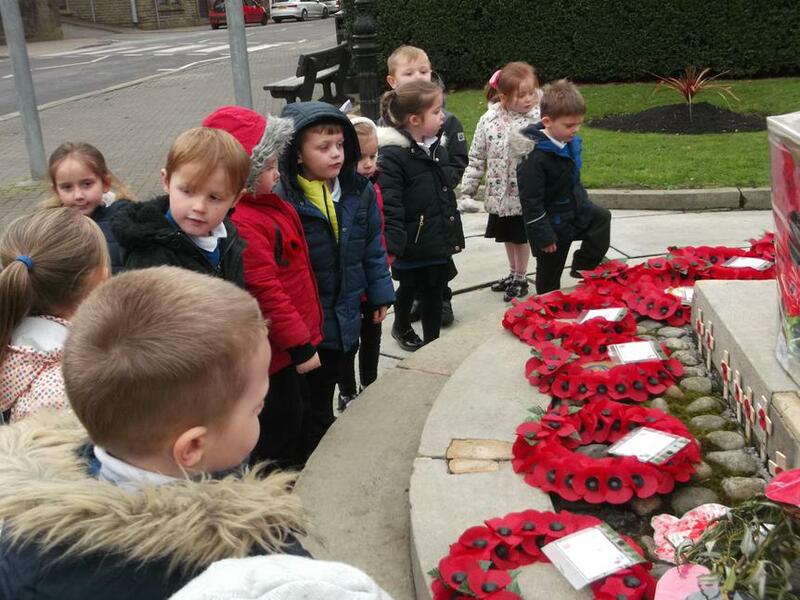 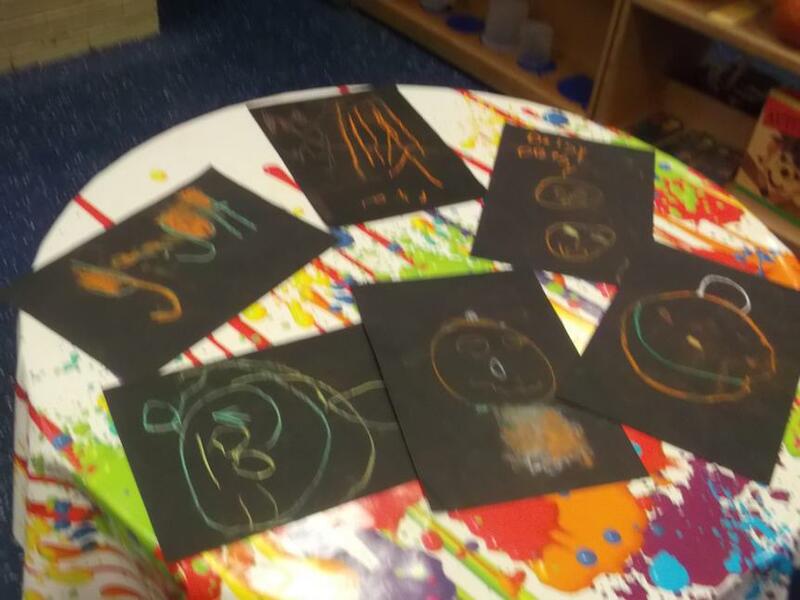 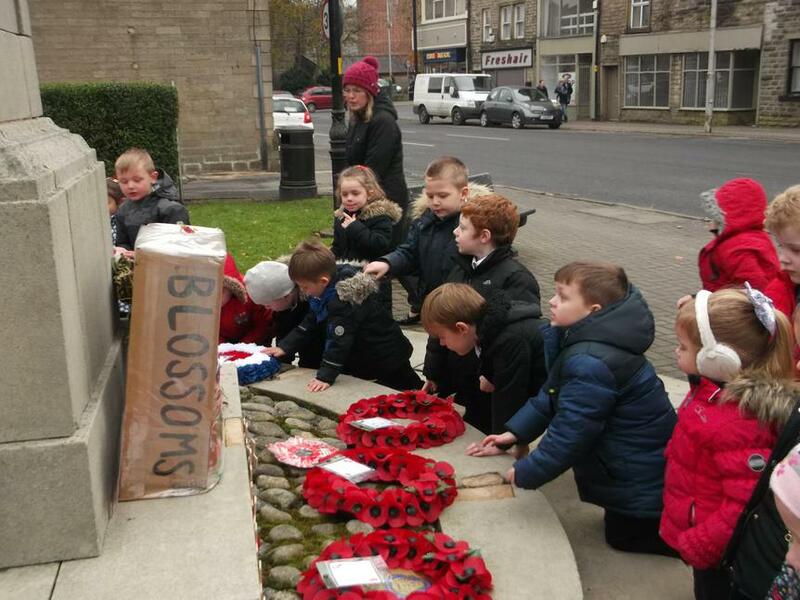 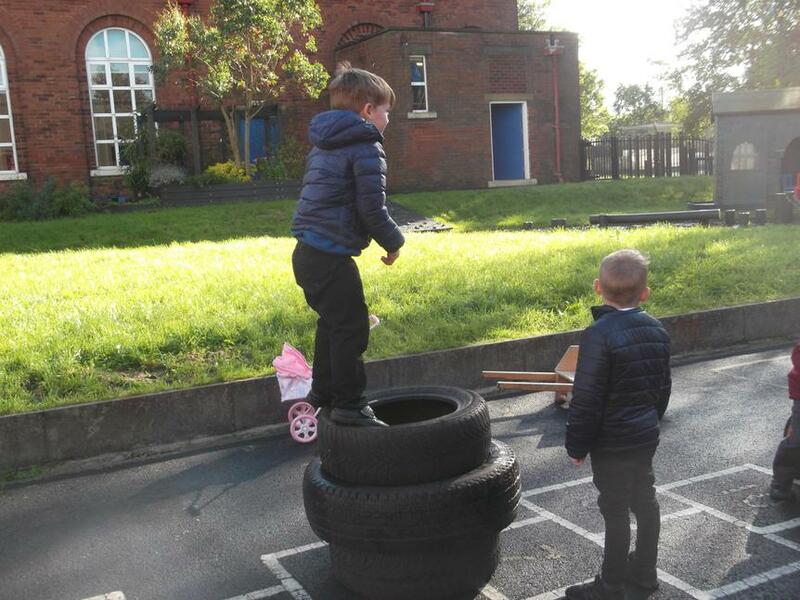 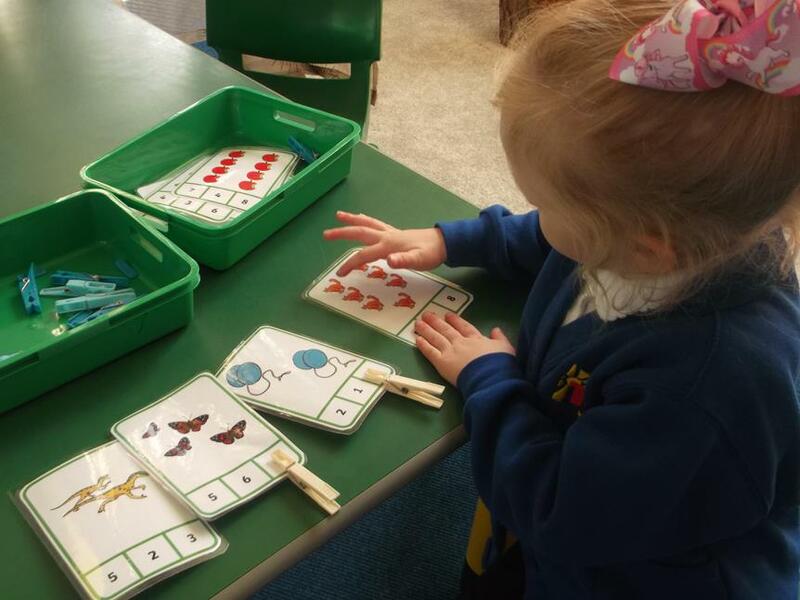 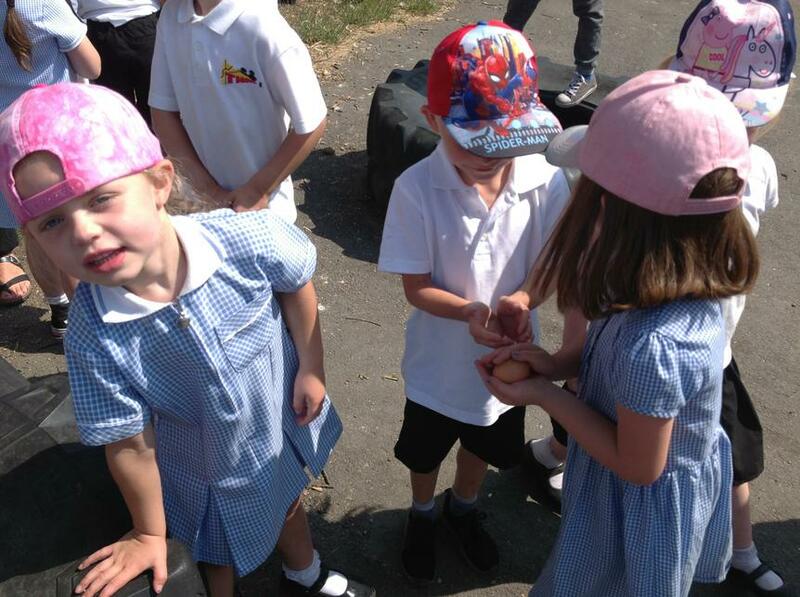 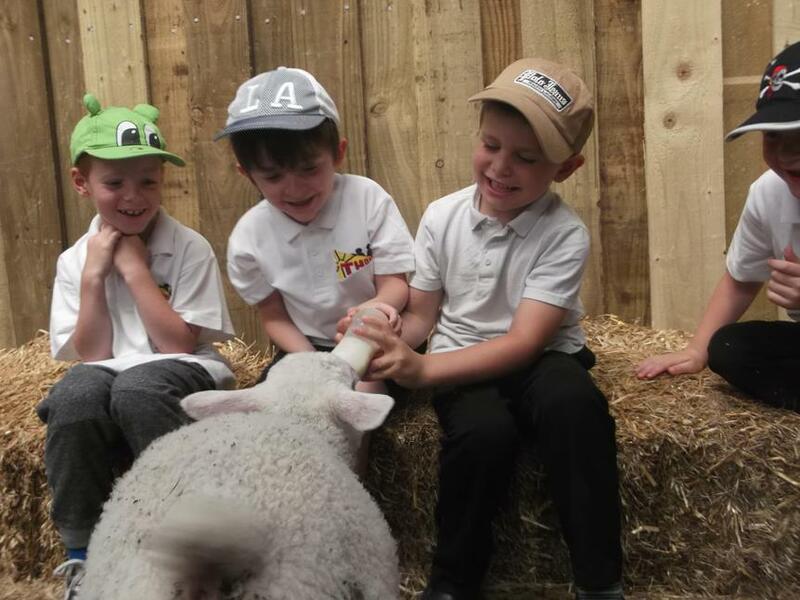 The children have seven challenges to complete throughout the week linked to the topic being covered, the EYFS Development Bands and the Early Learning Goals. 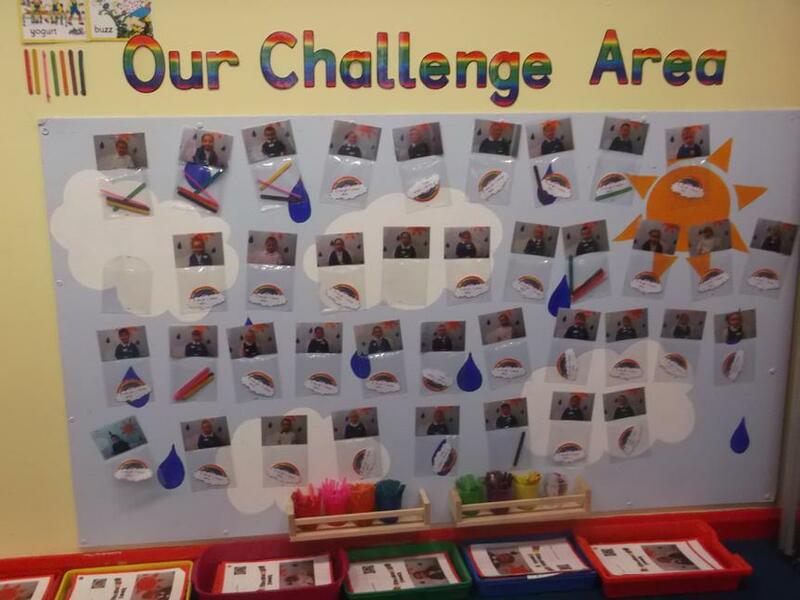 For each challenge completed the children will receive a coloured lollipop stick to create their own rainbow (displayed in class). 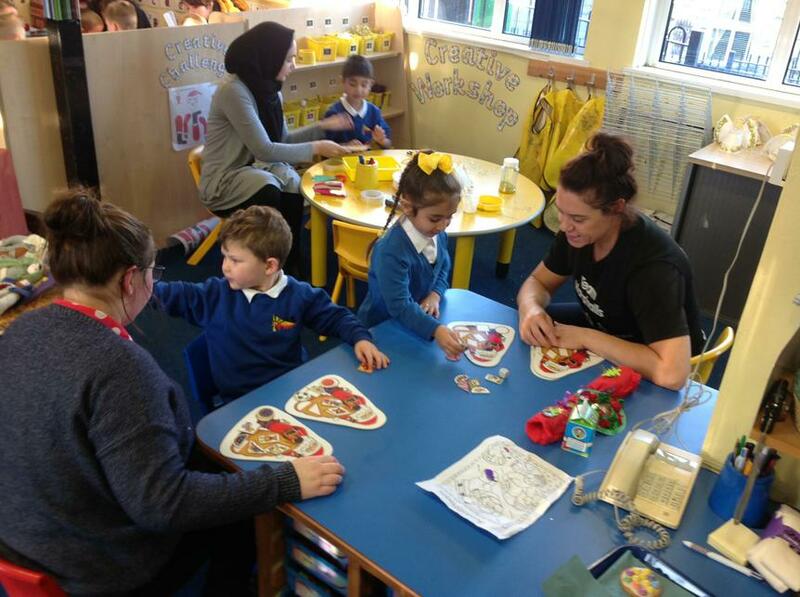 Once the children have collected all the colours they will receive a special treat to celebrate that they have successfully completed all seven challenges that week.